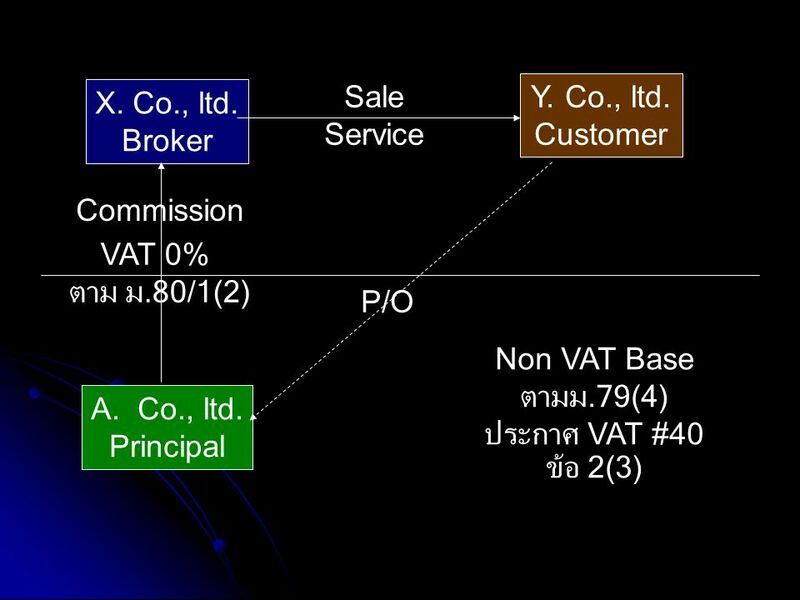 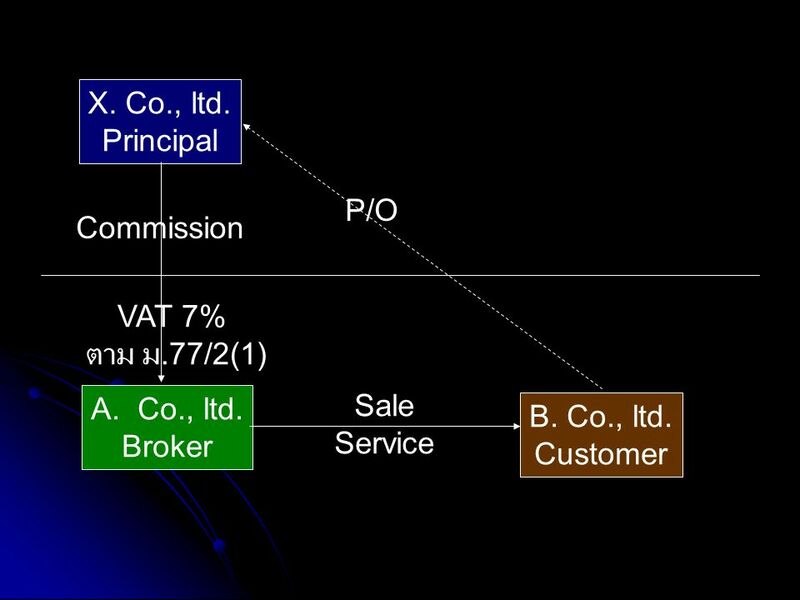 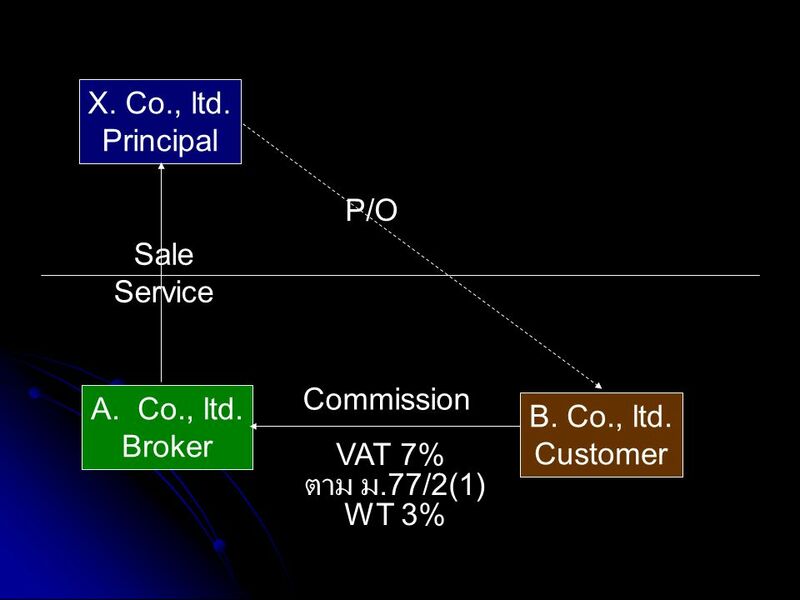 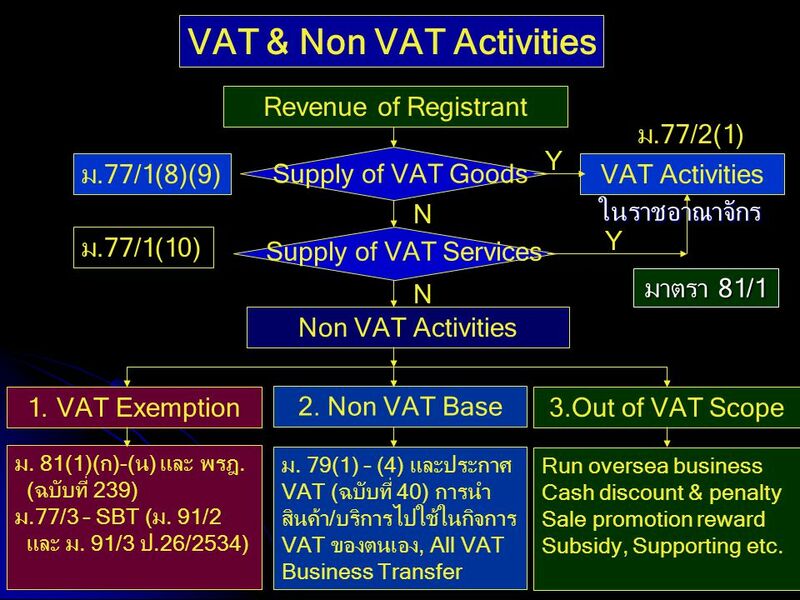 Revenue of Registrant ม.77/2(1) Y ม.77/1(8)(9) Supply of VAT Goods VAT Activities N ในราชอาณาจักร Y ม.77/1(10) Supply of VAT Services N มาตรา 81/1 Non VAT Activities 1. 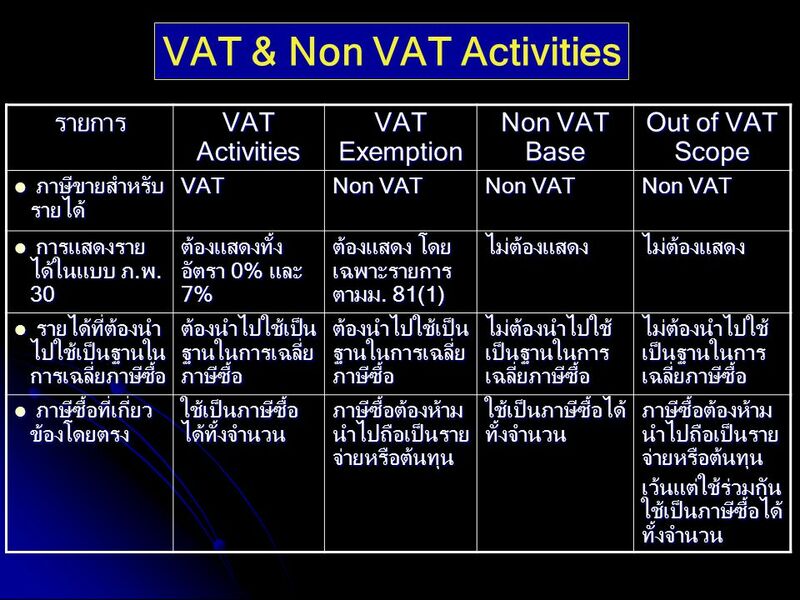 VAT Exemption 2. 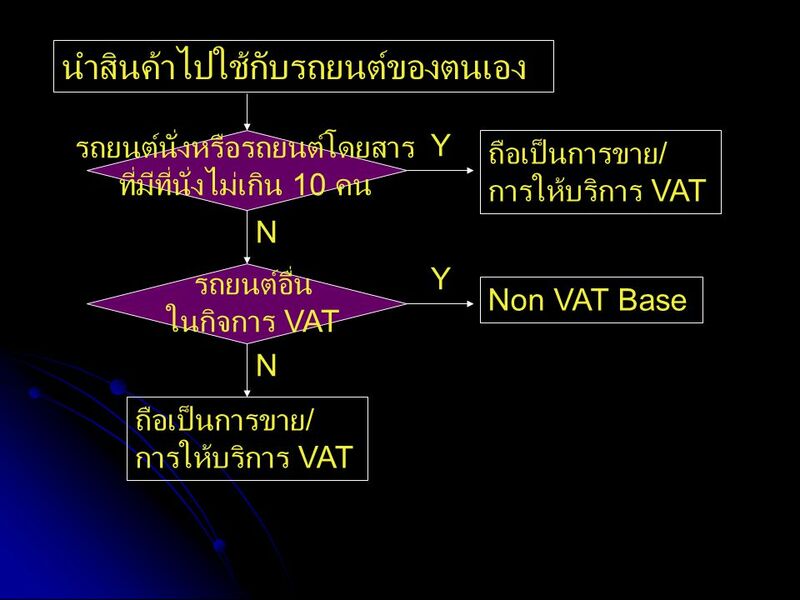 Non VAT Base 3.Out of VAT Scope ม. 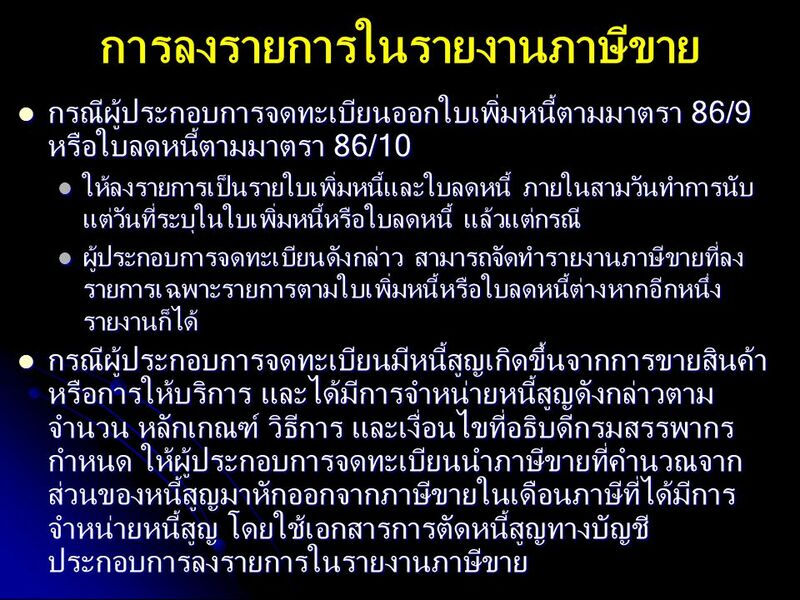 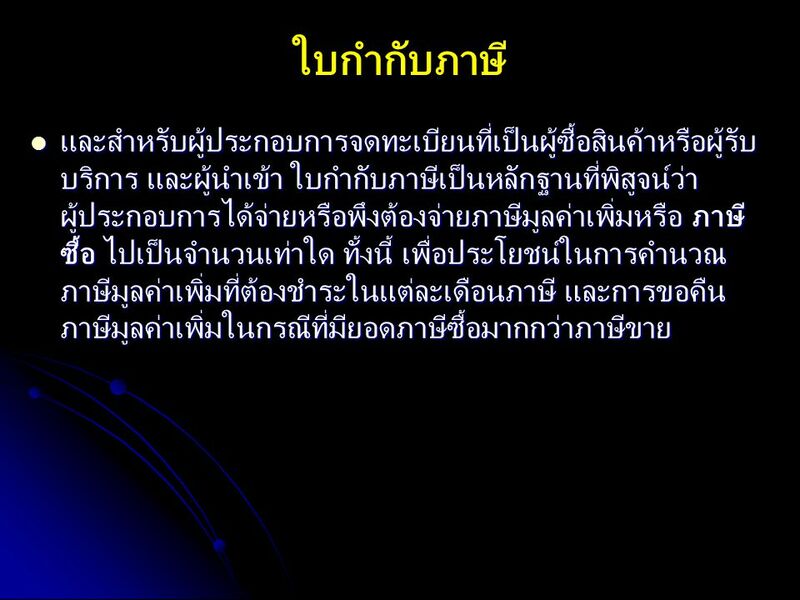 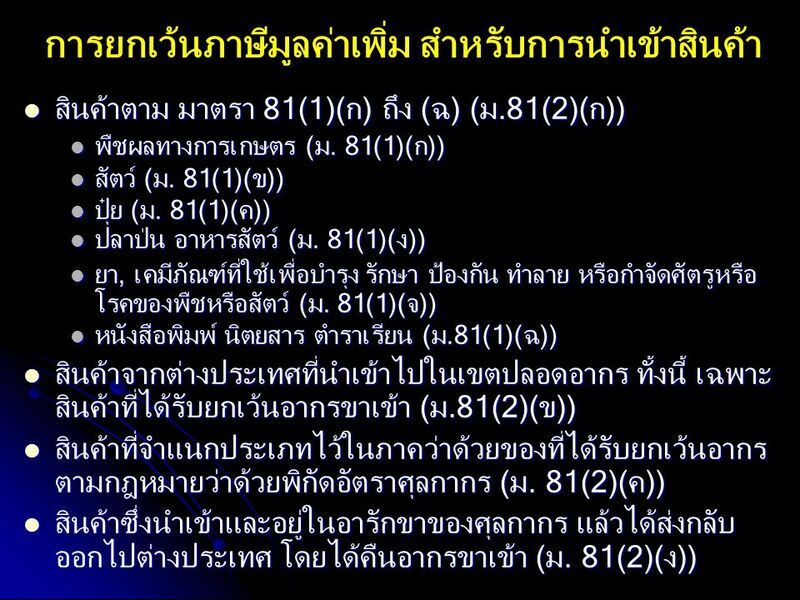 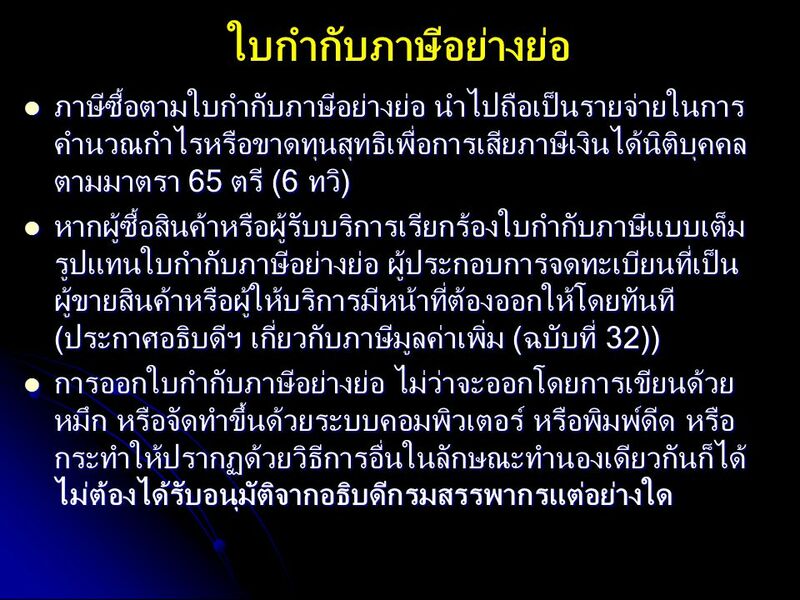 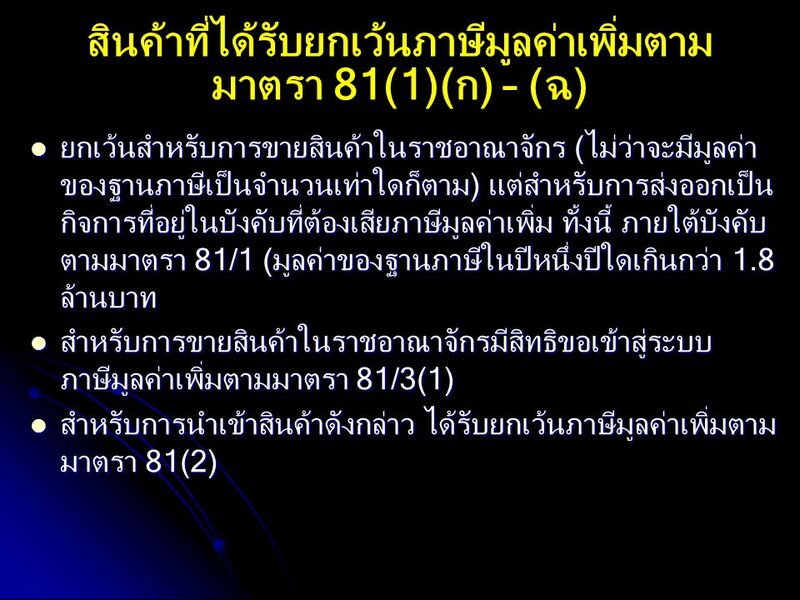 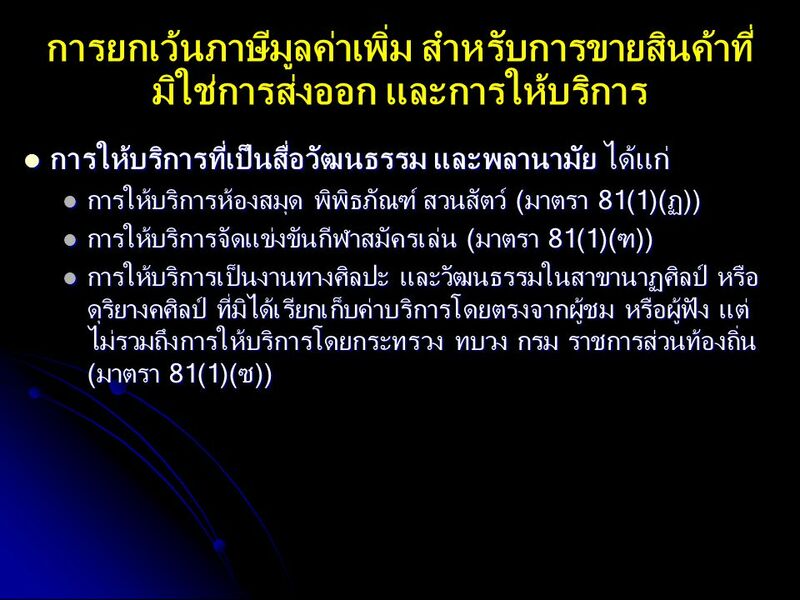 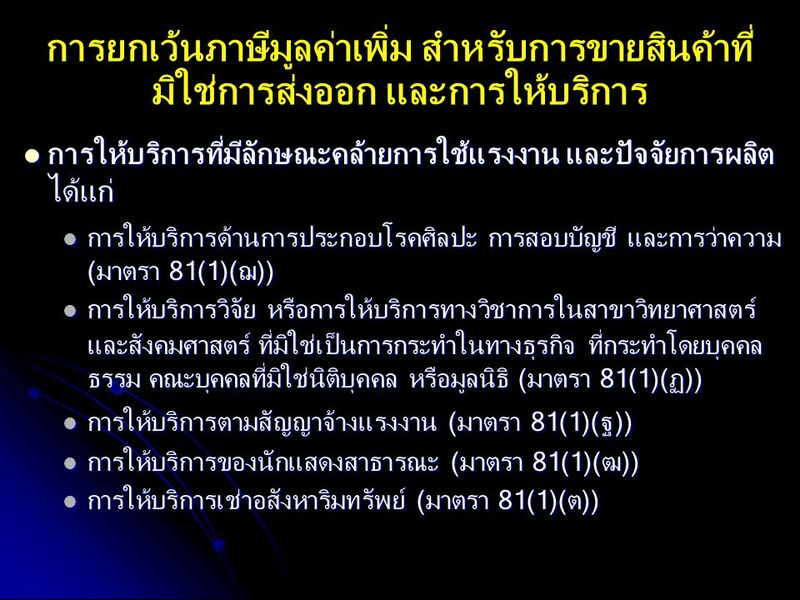 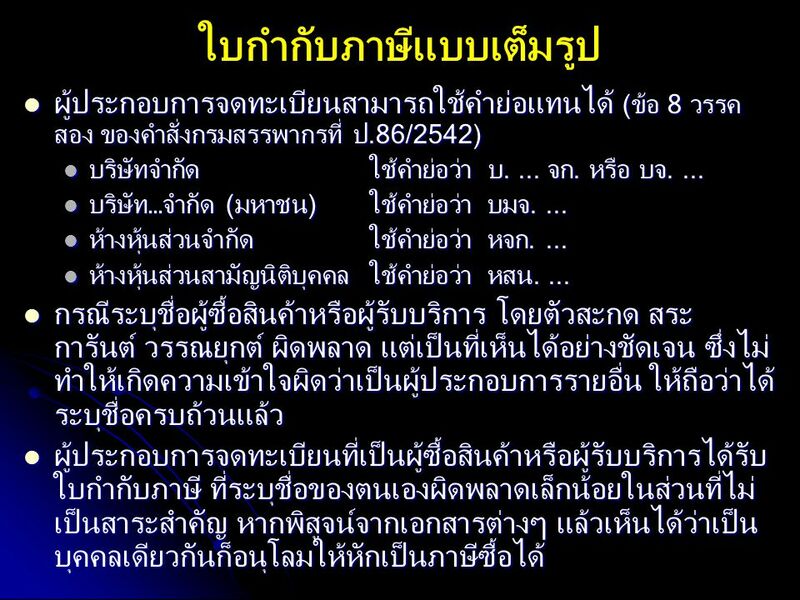 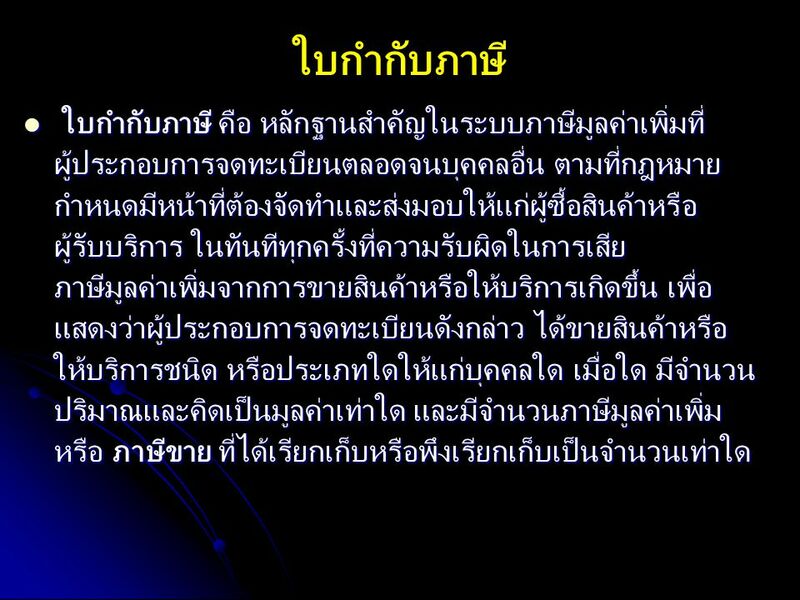 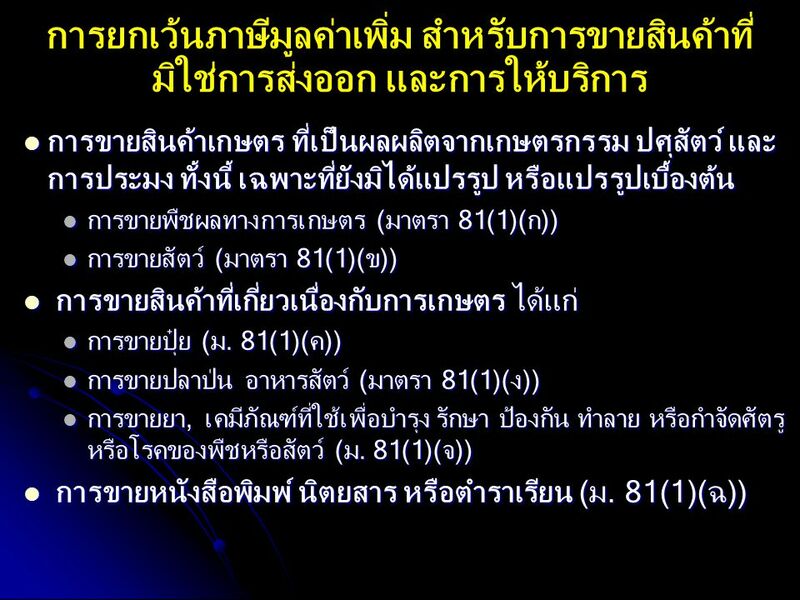 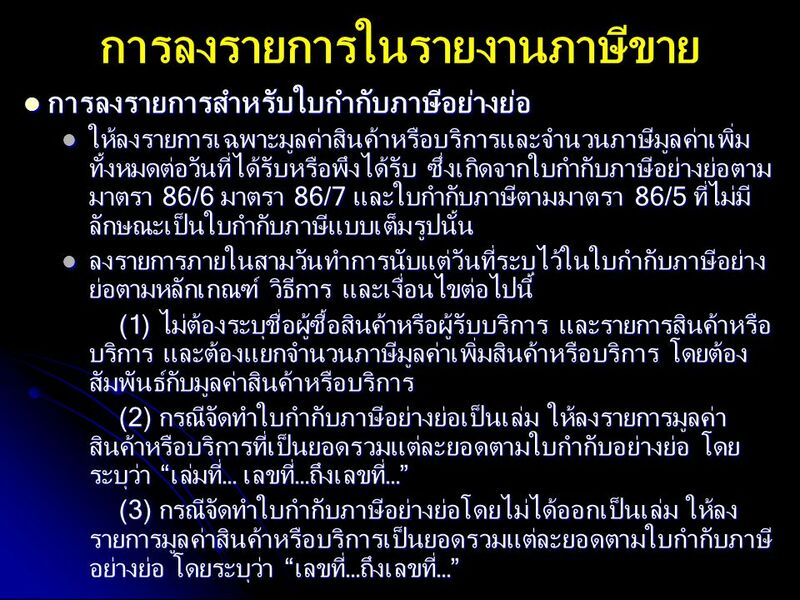 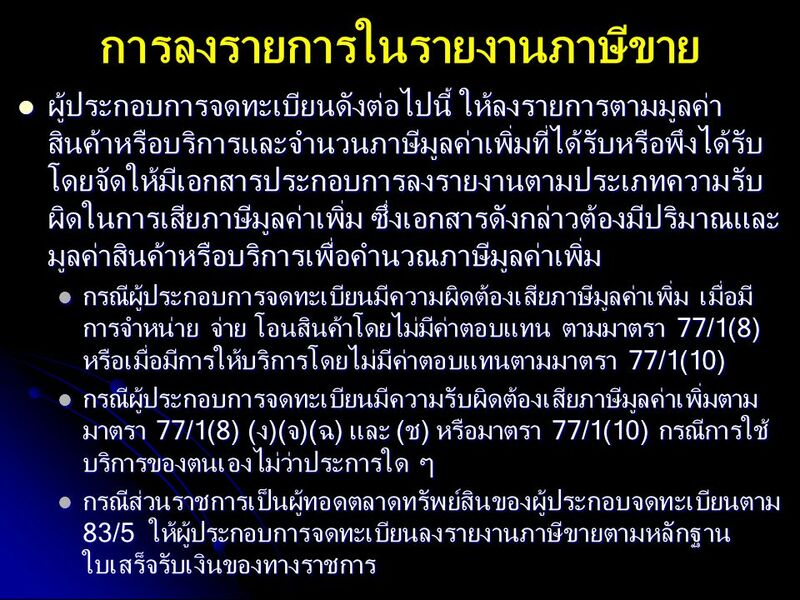 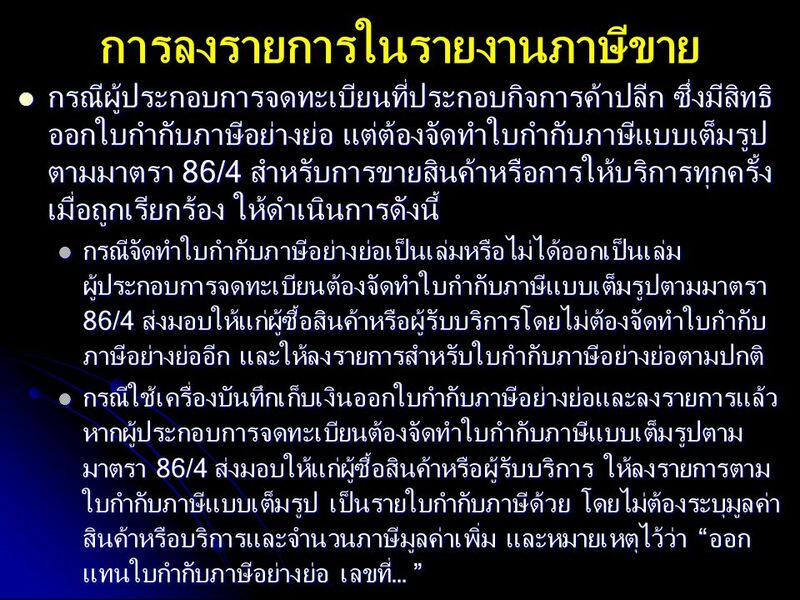 81(1)(ก)-(น) และ พรฎ. 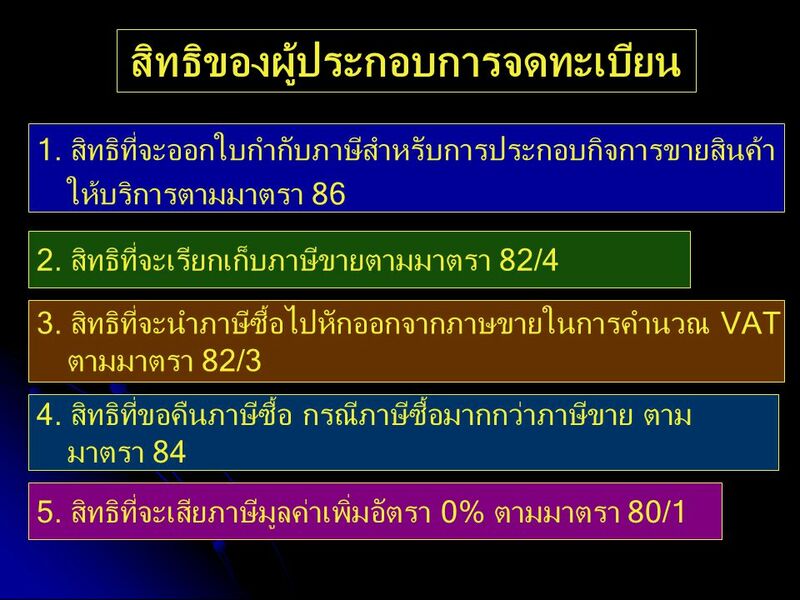 (ฉบับที่ 239) ม.77/3 – SBT (ม. 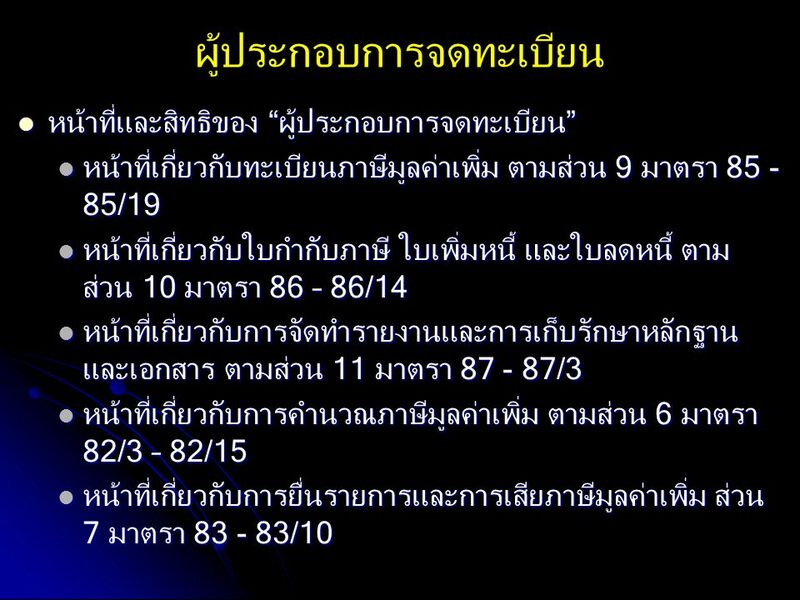 91/2 และ ม. 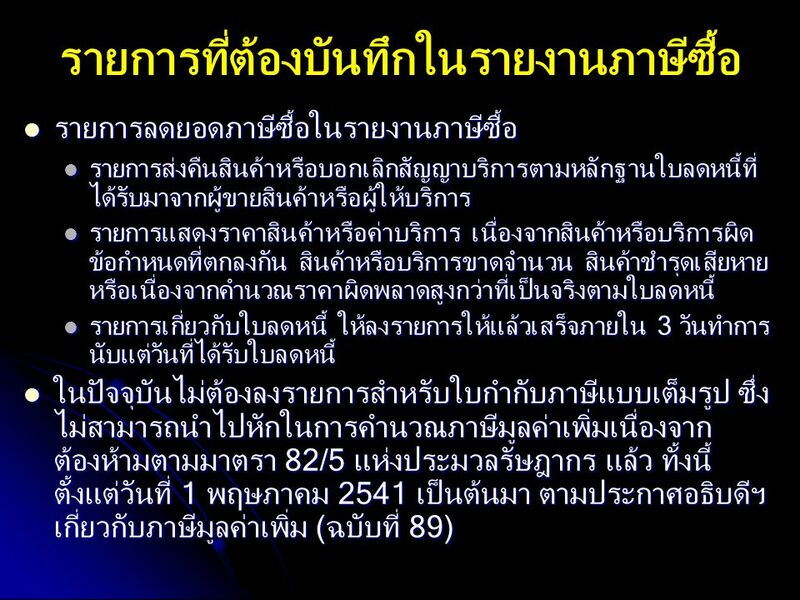 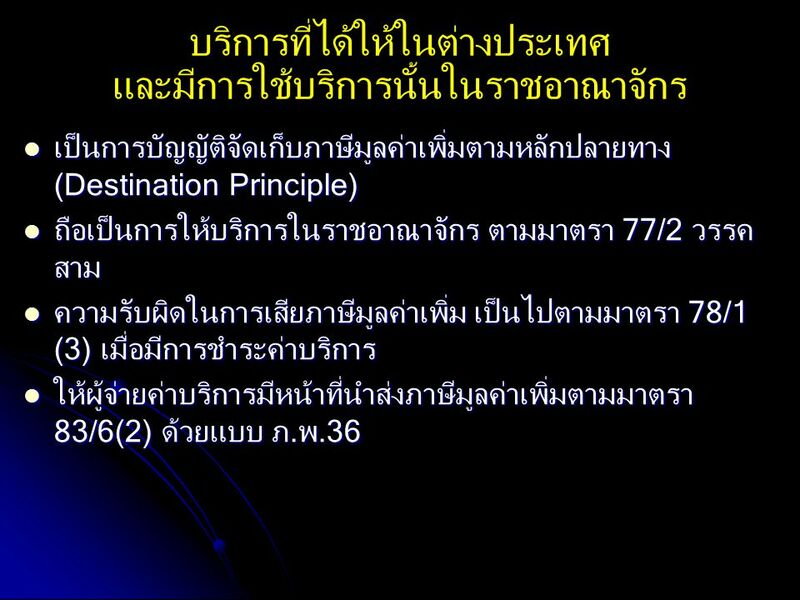 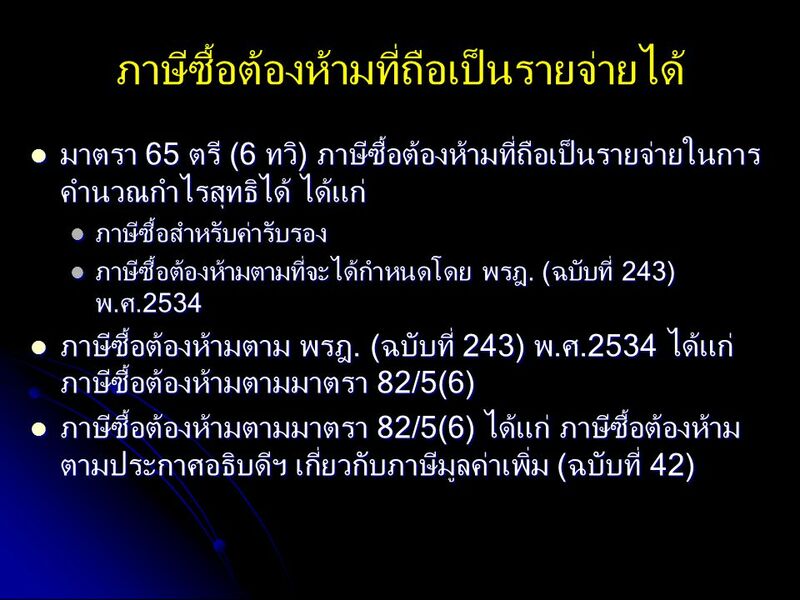 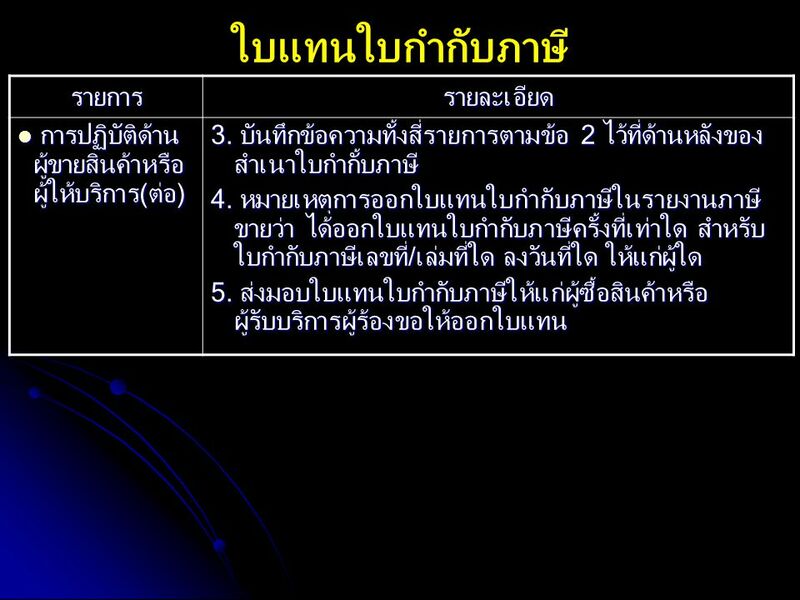 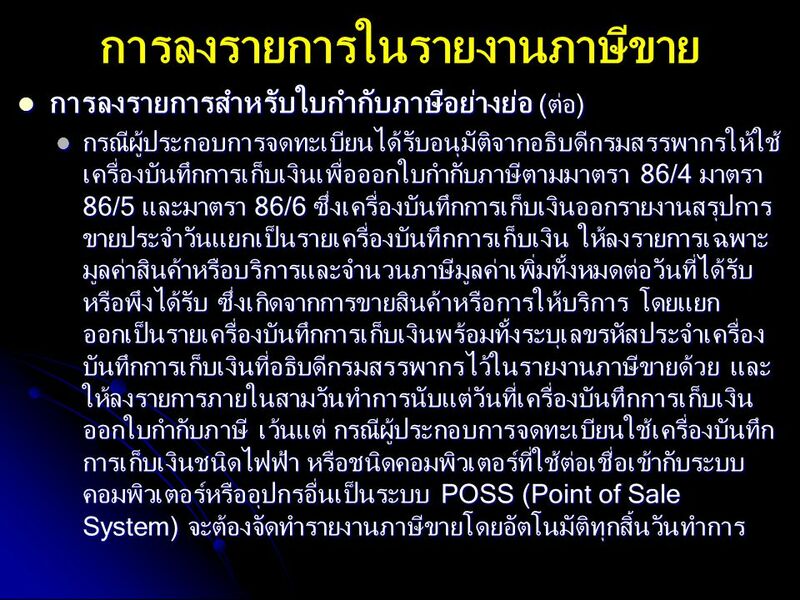 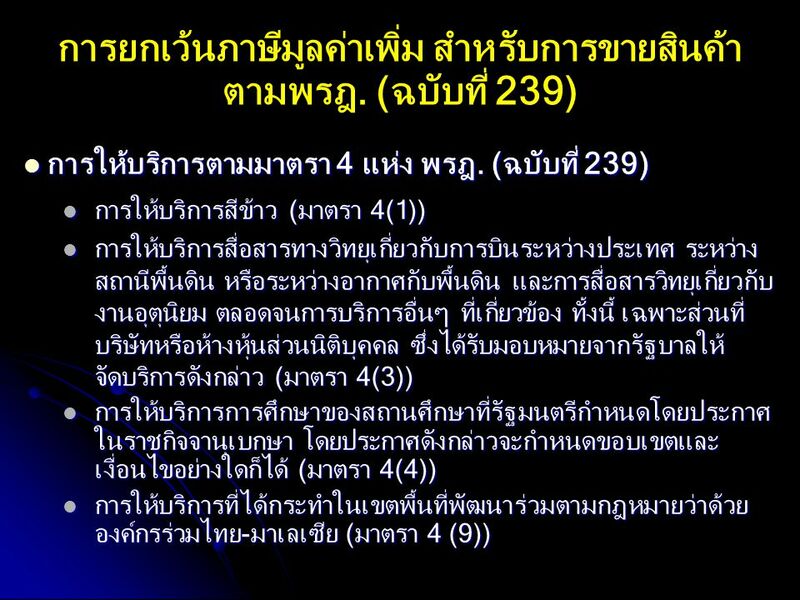 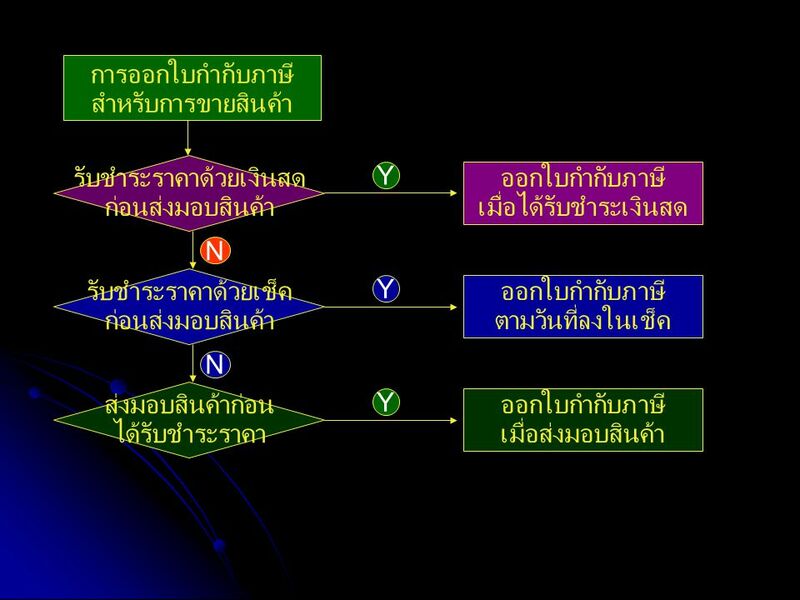 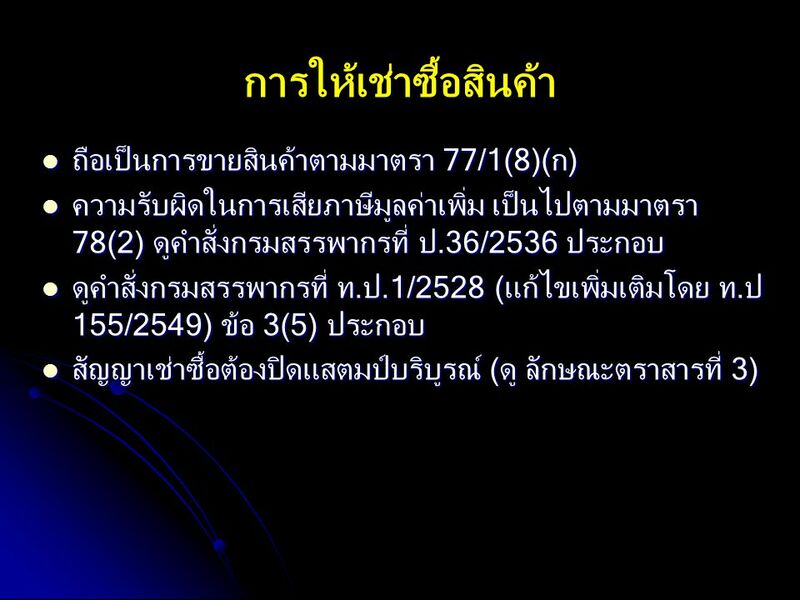 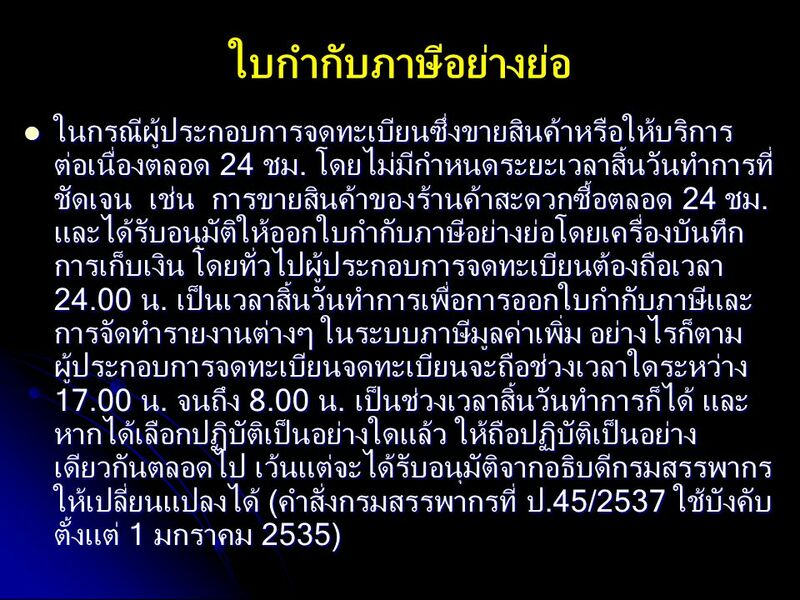 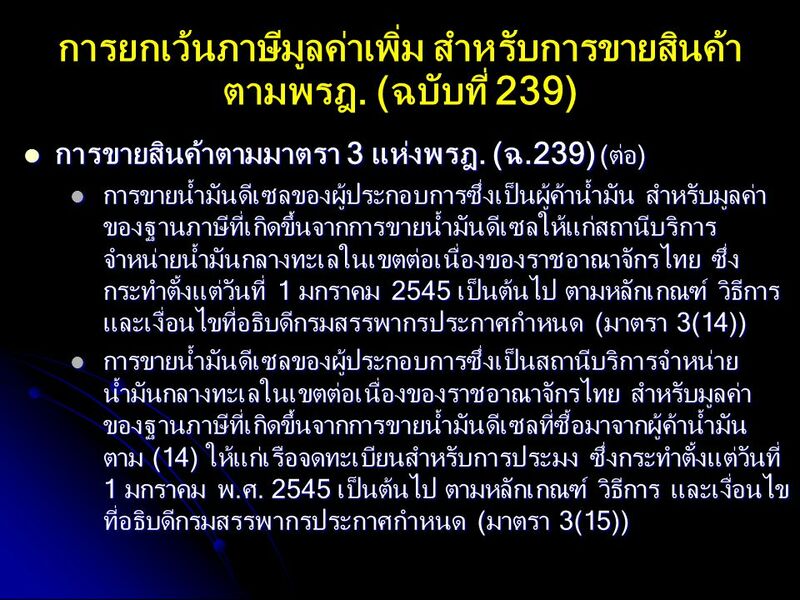 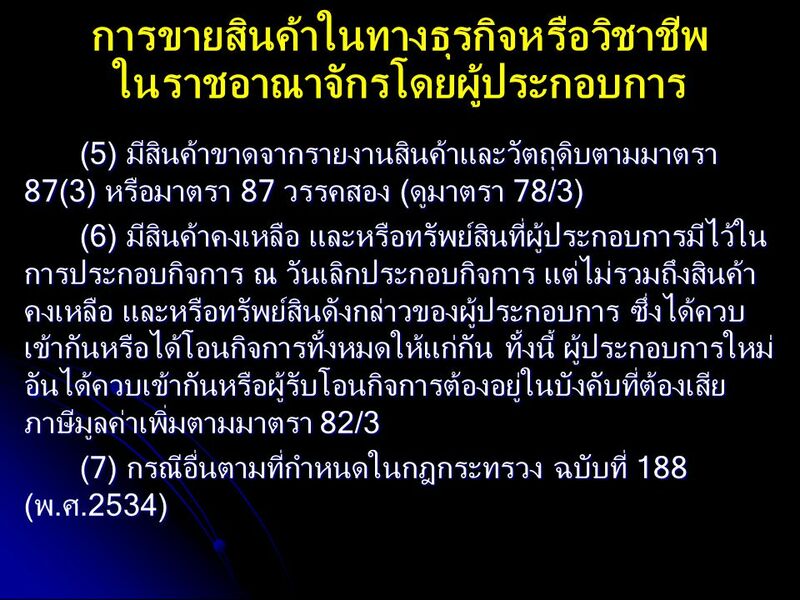 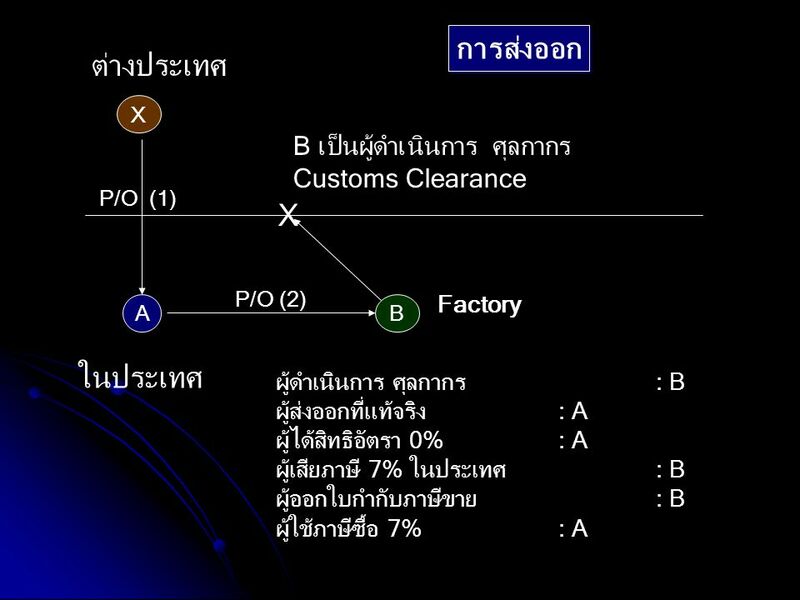 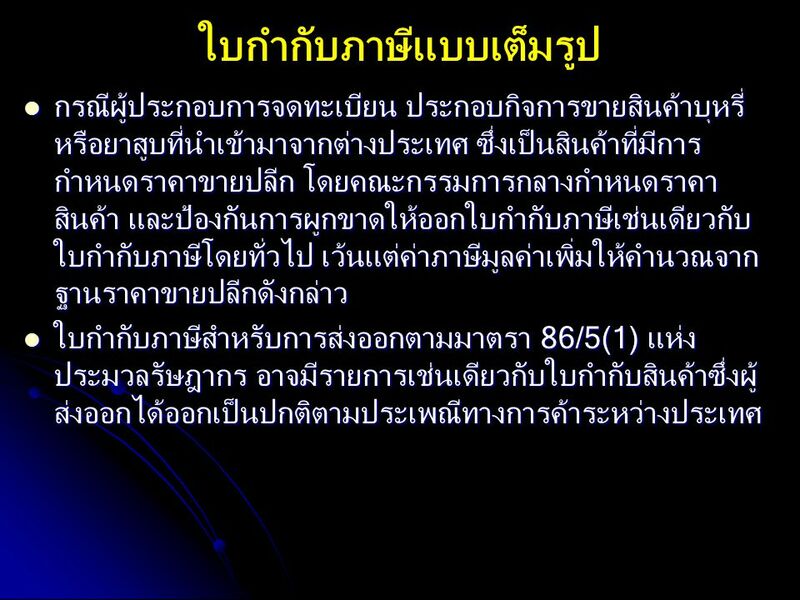 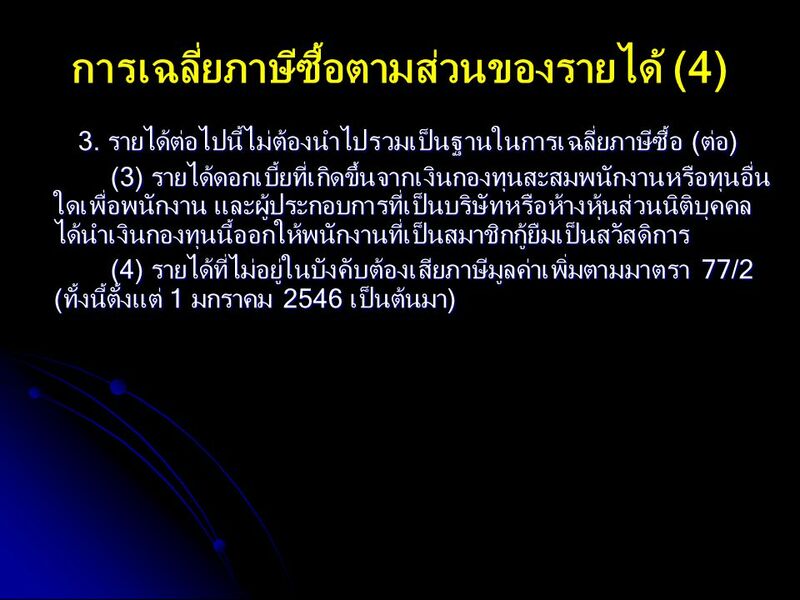 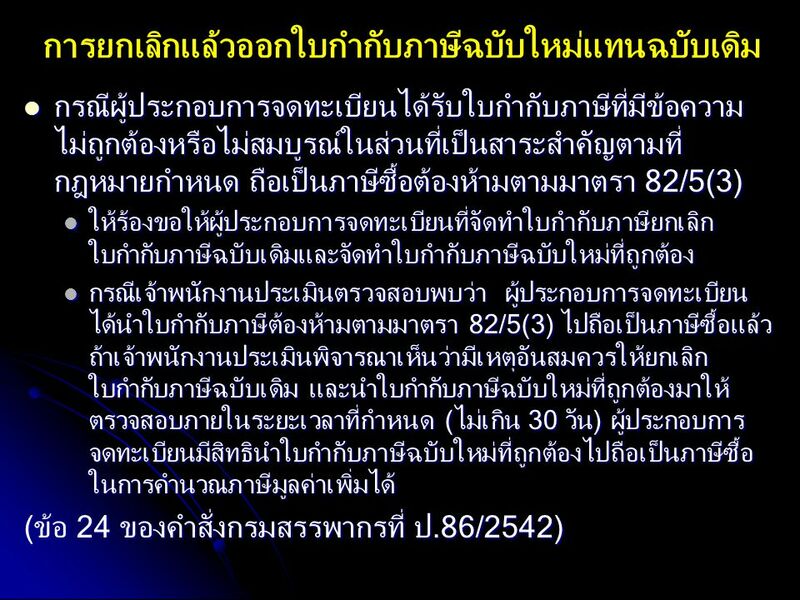 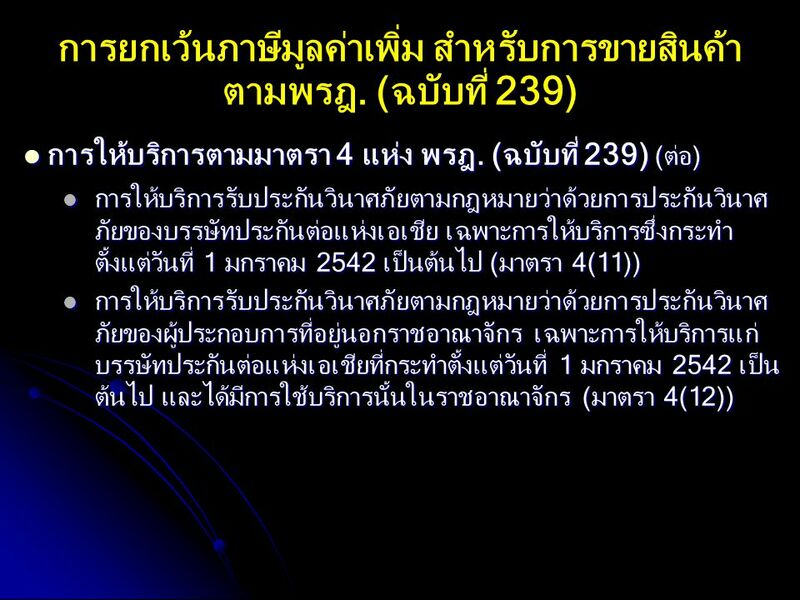 91/3 ป.26/2534) ม. 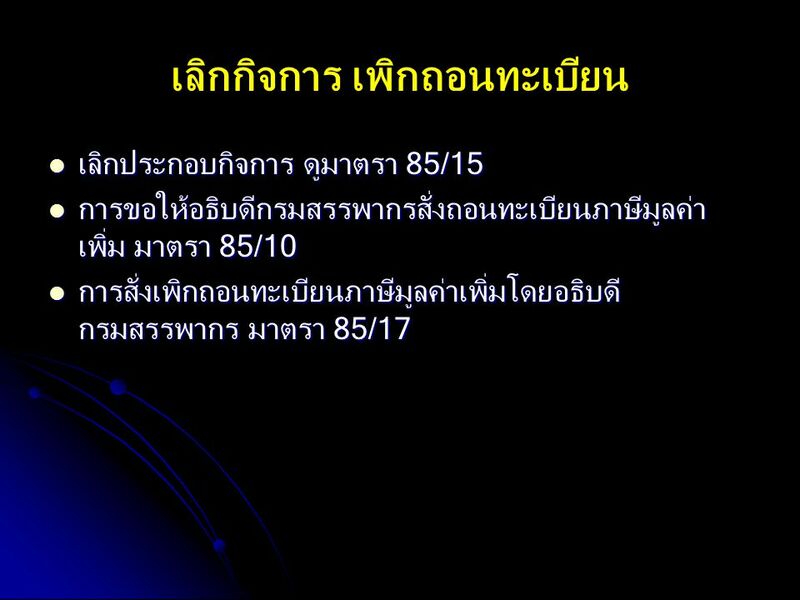 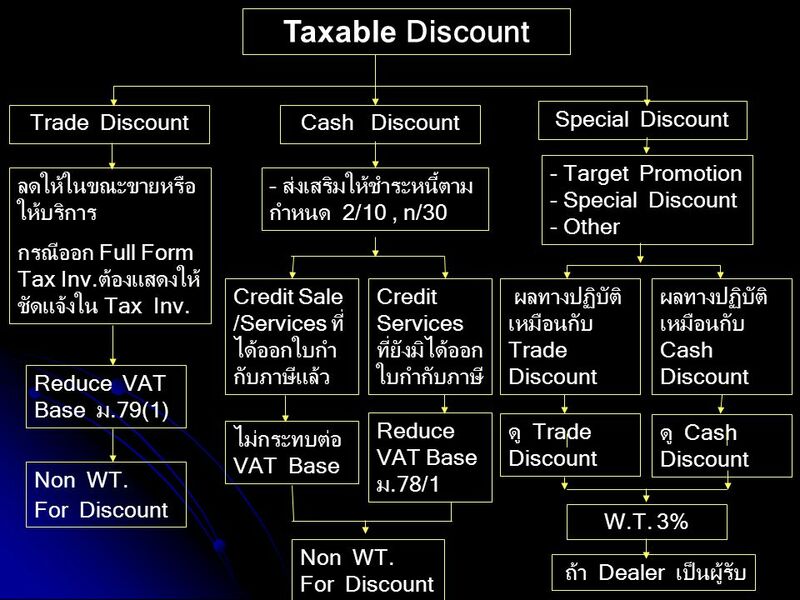 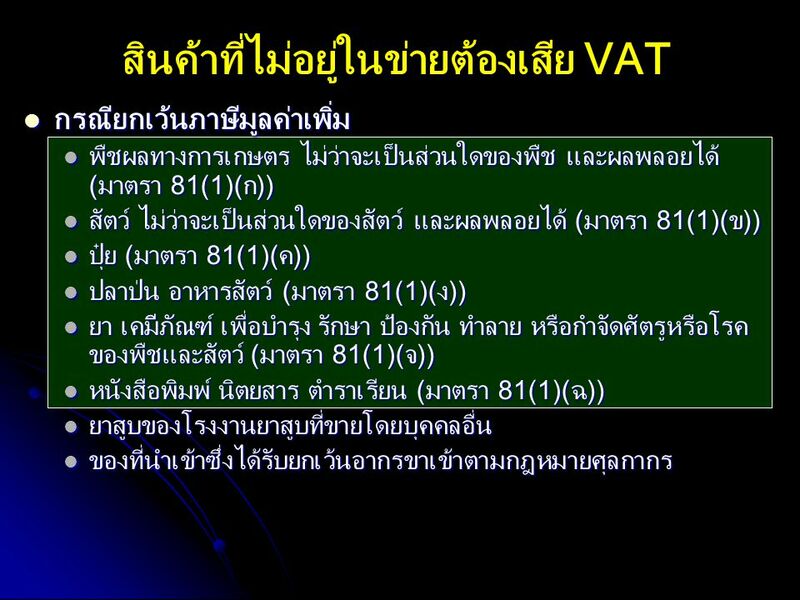 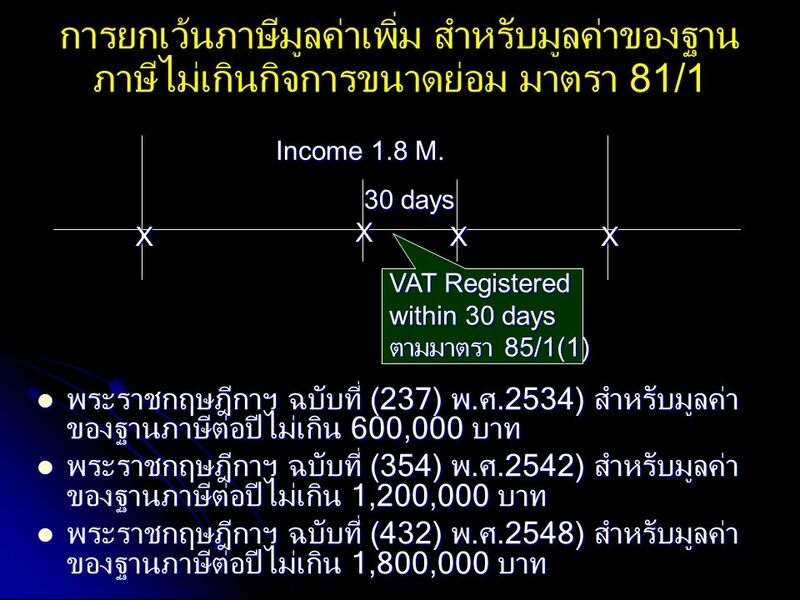 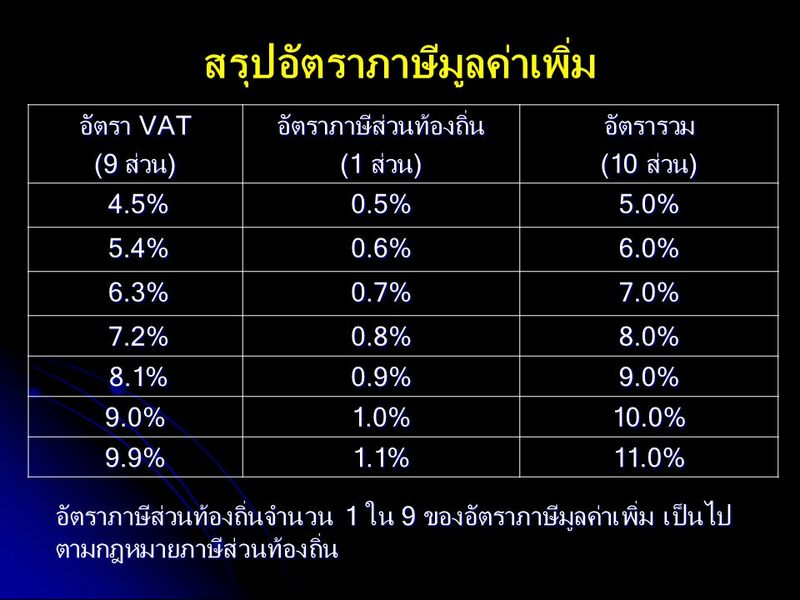 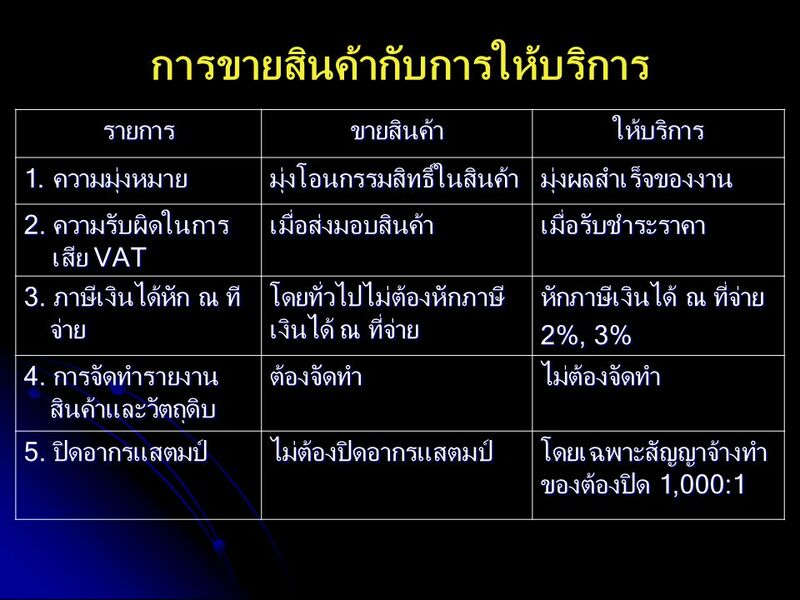 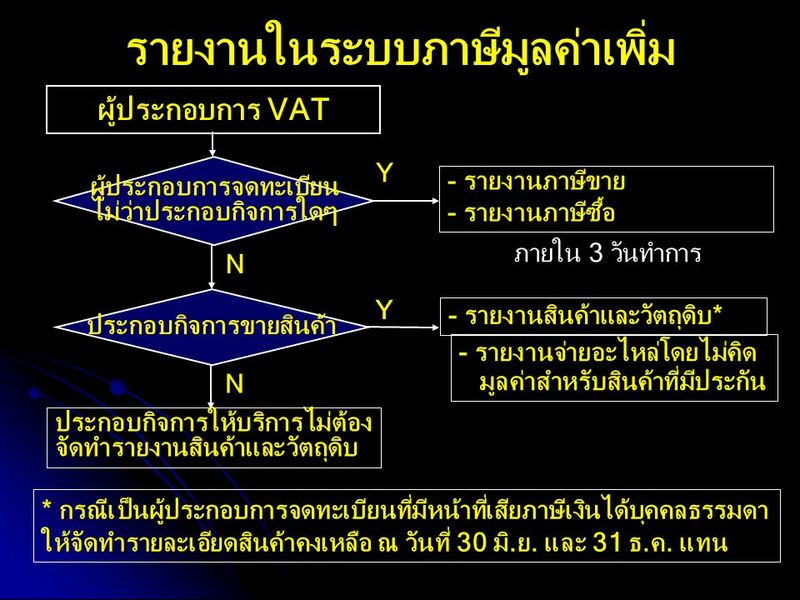 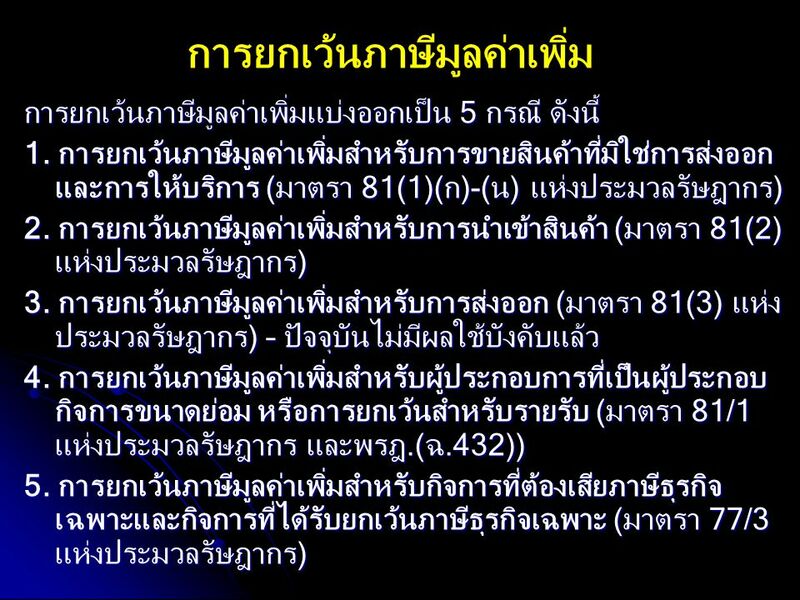 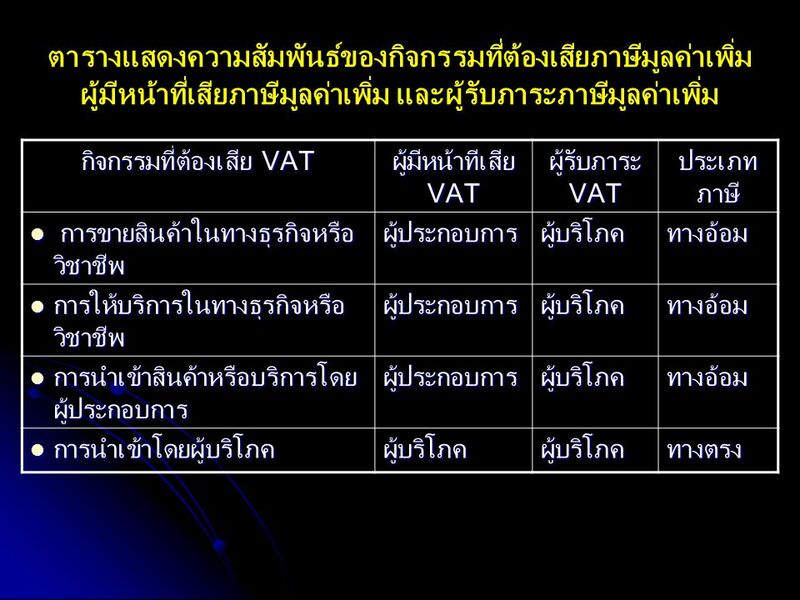 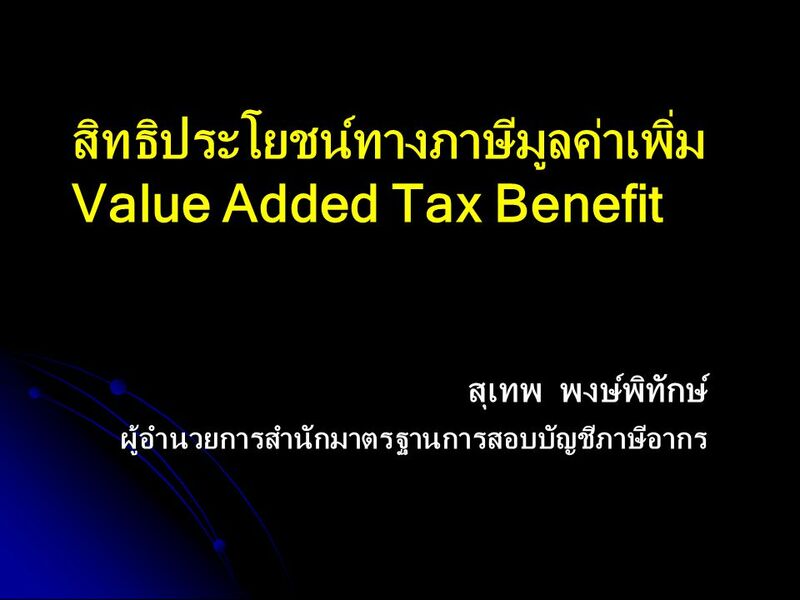 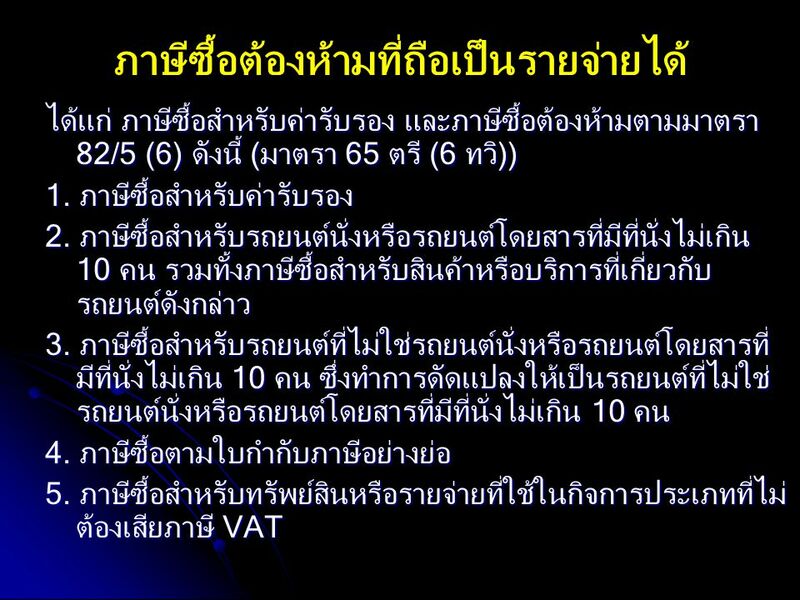 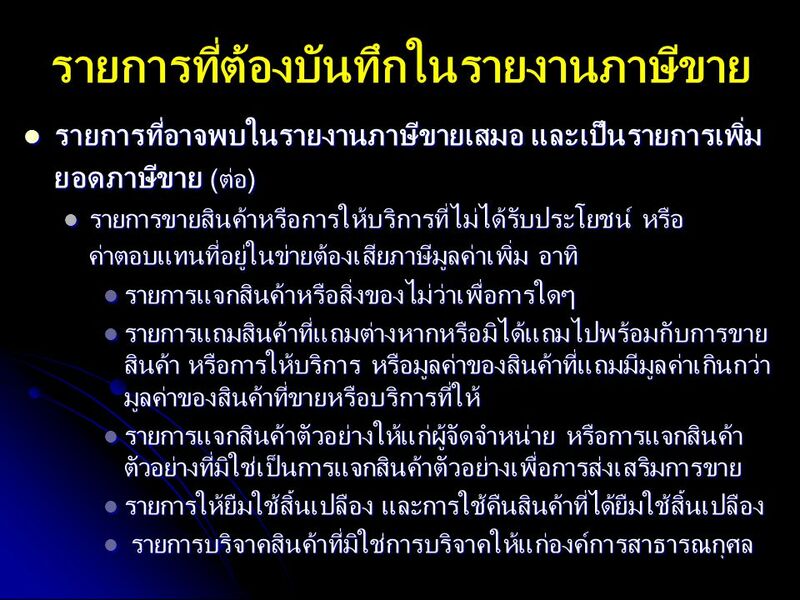 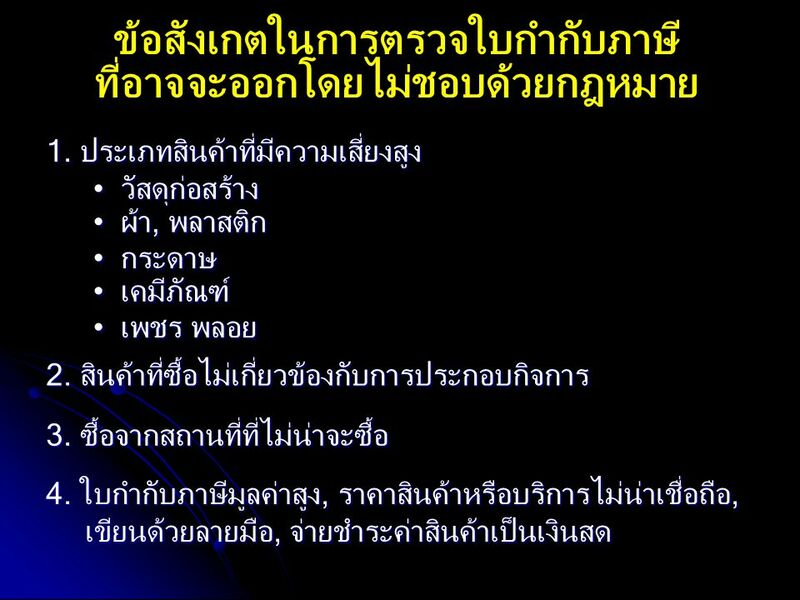 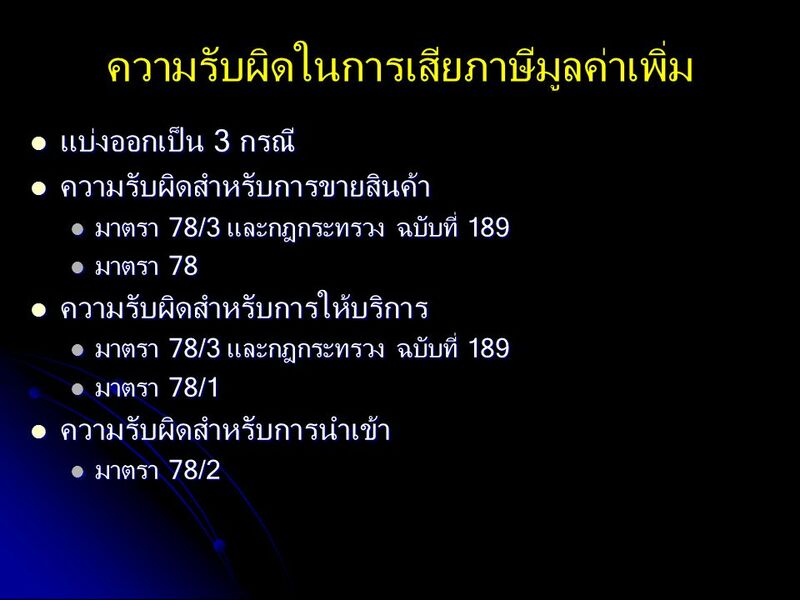 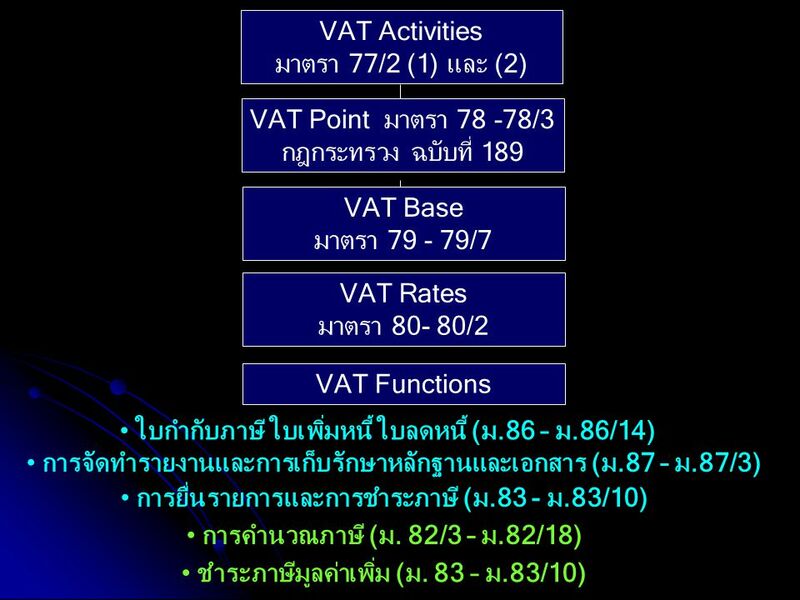 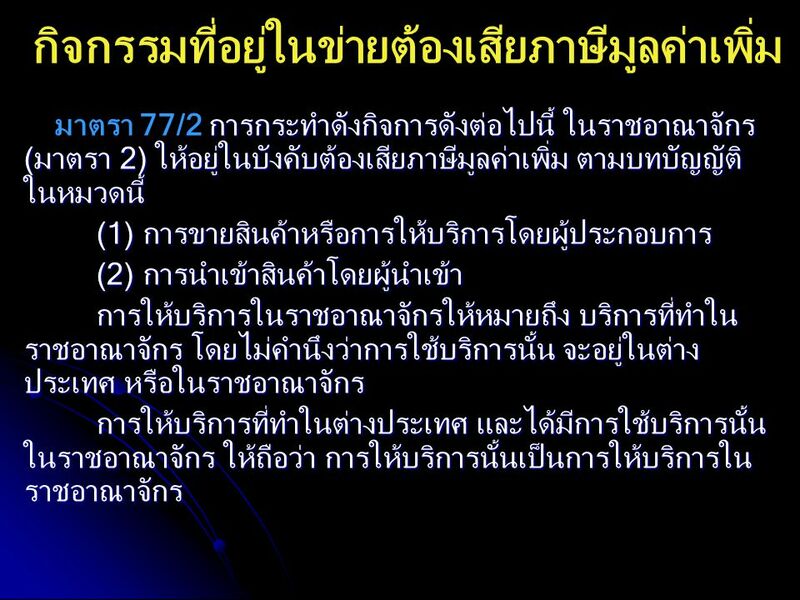 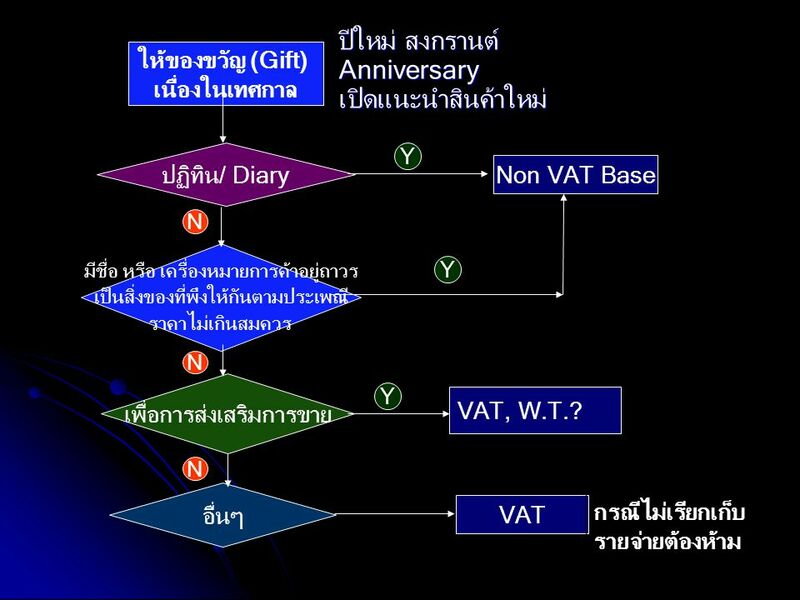 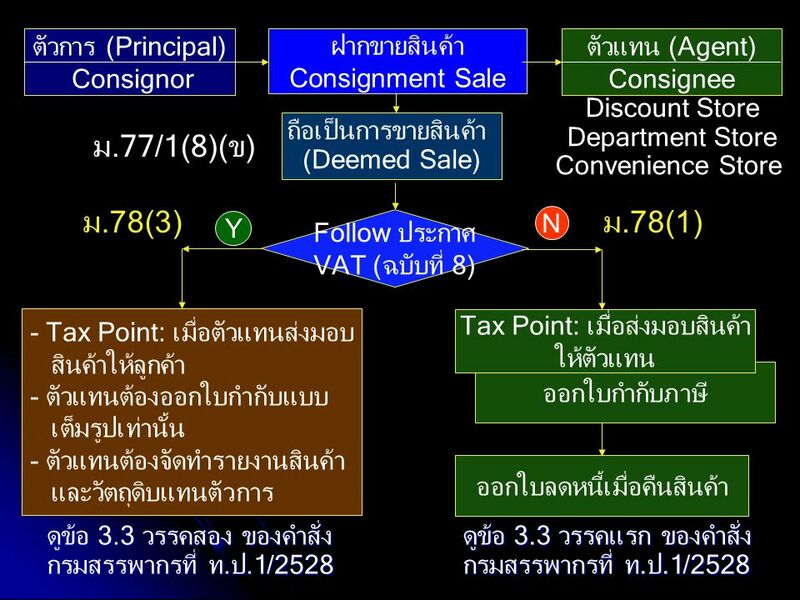 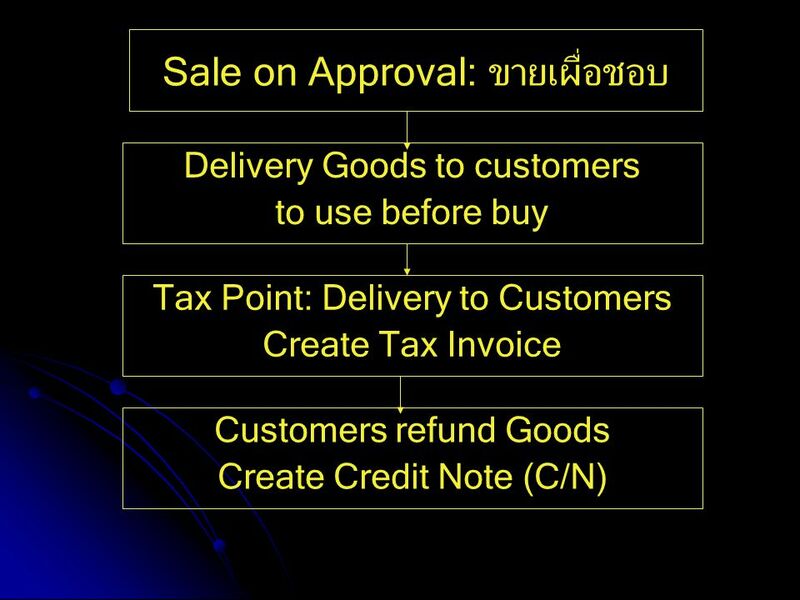 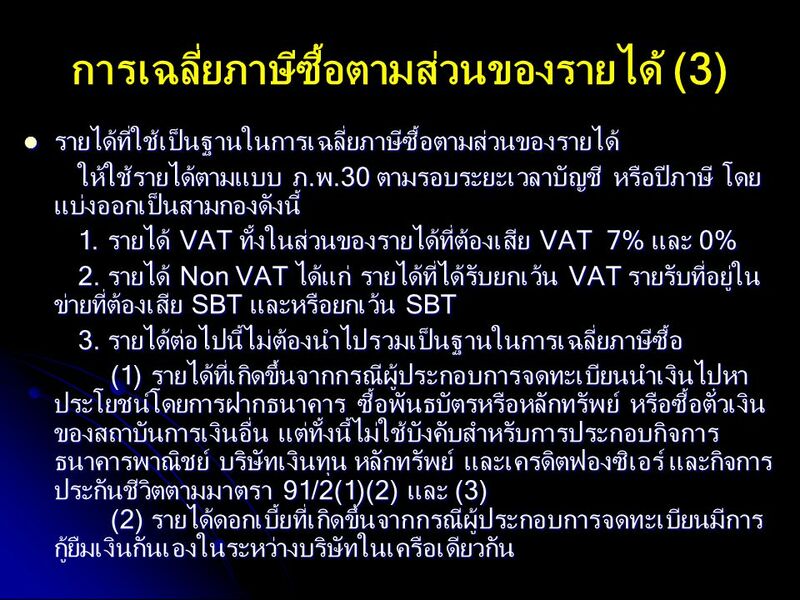 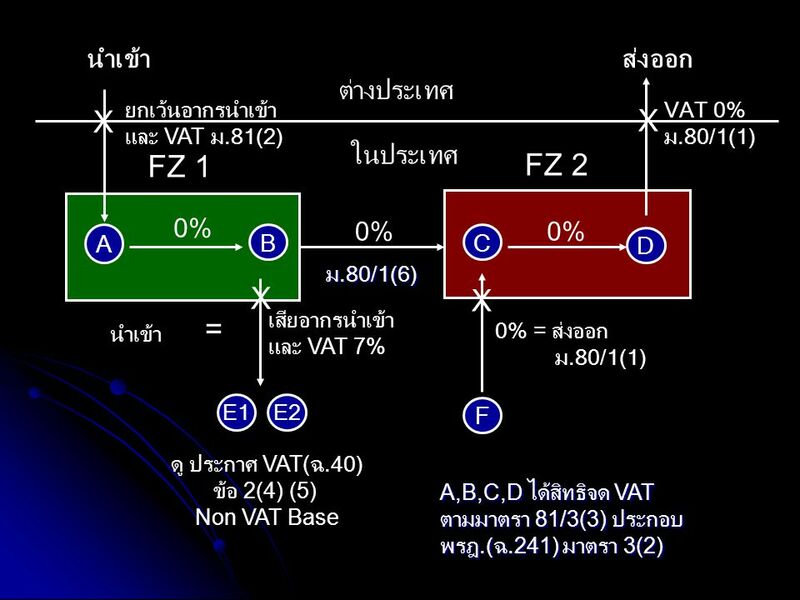 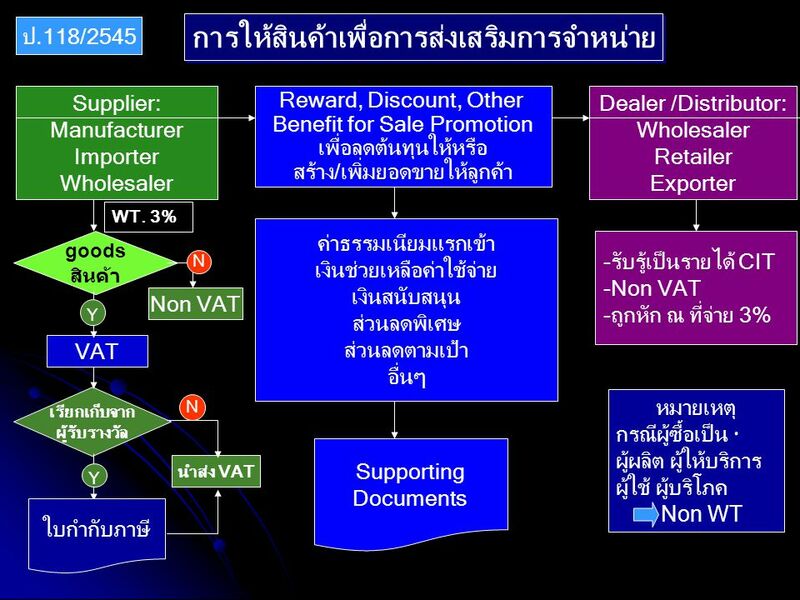 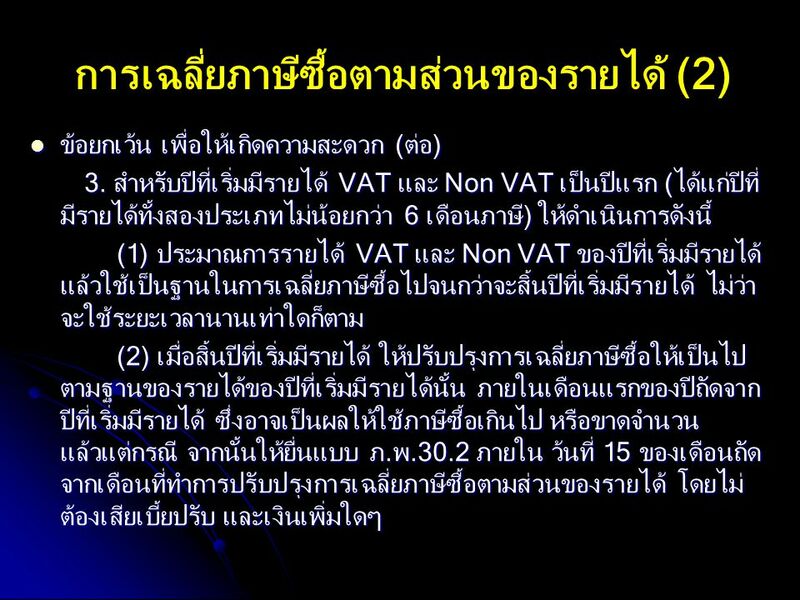 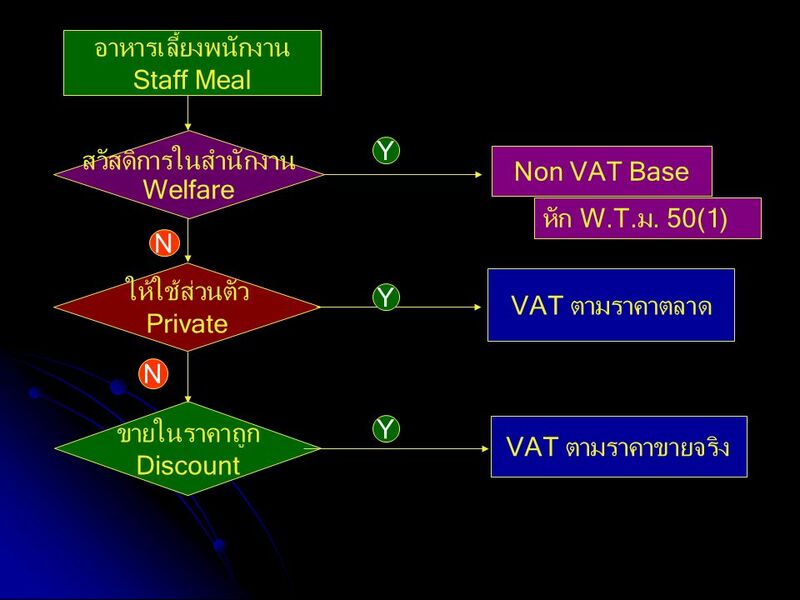 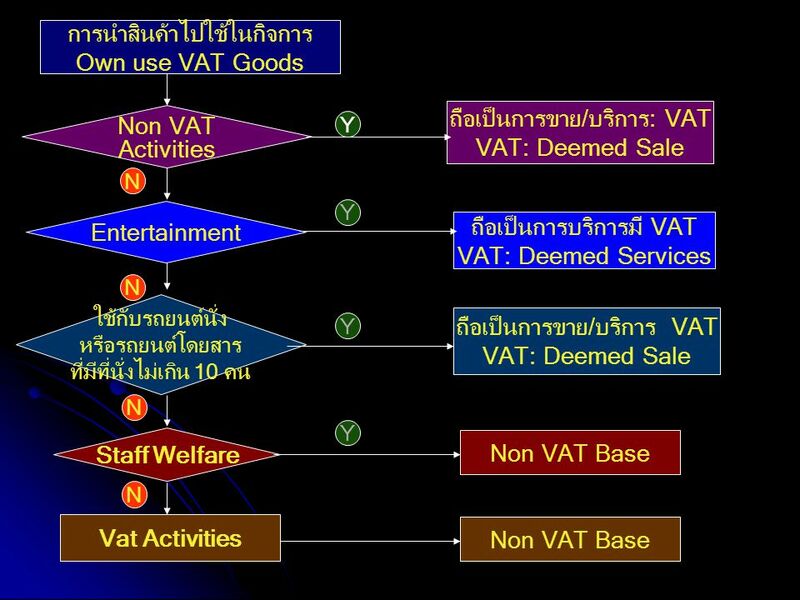 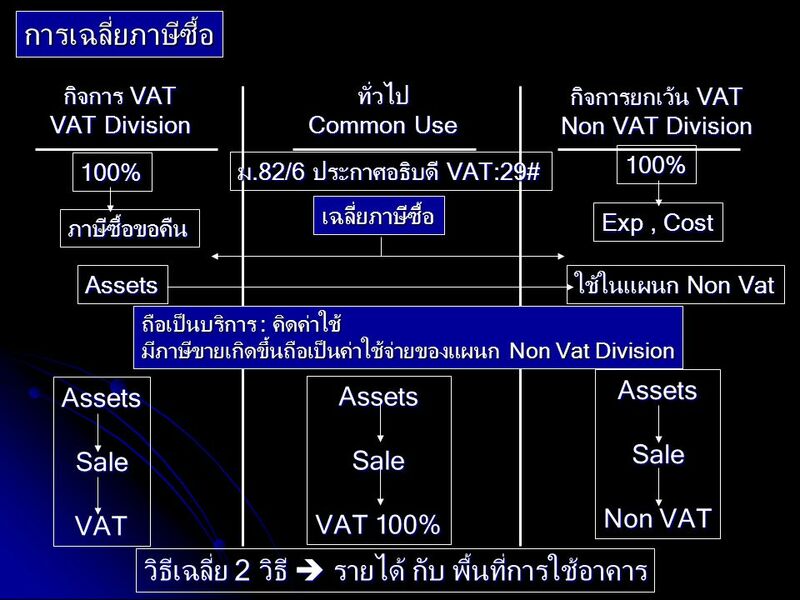 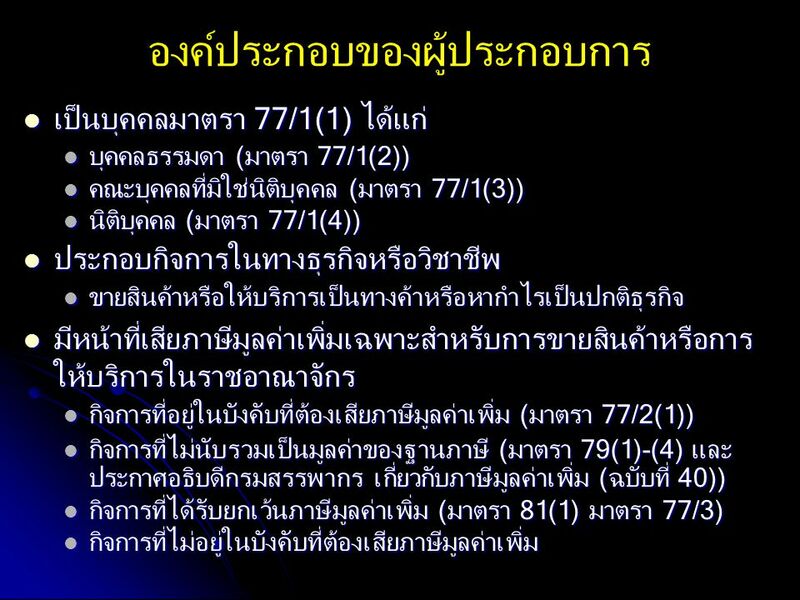 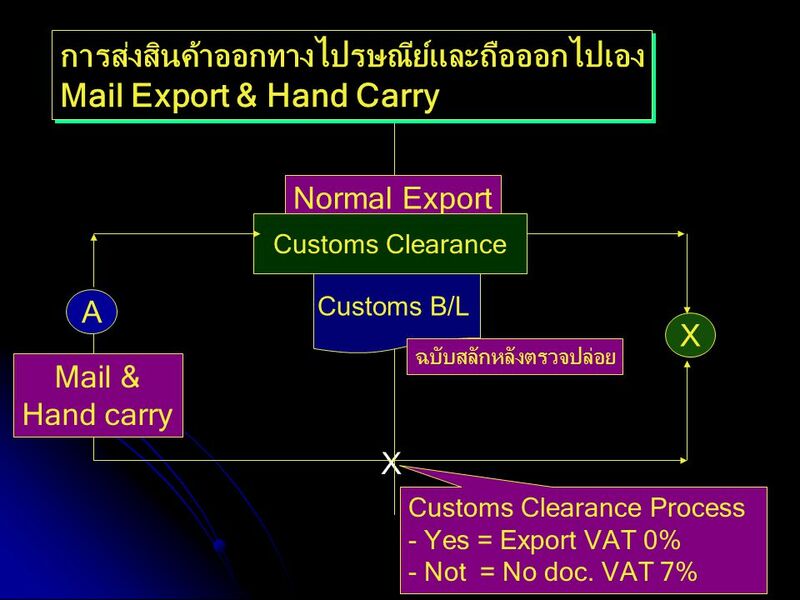 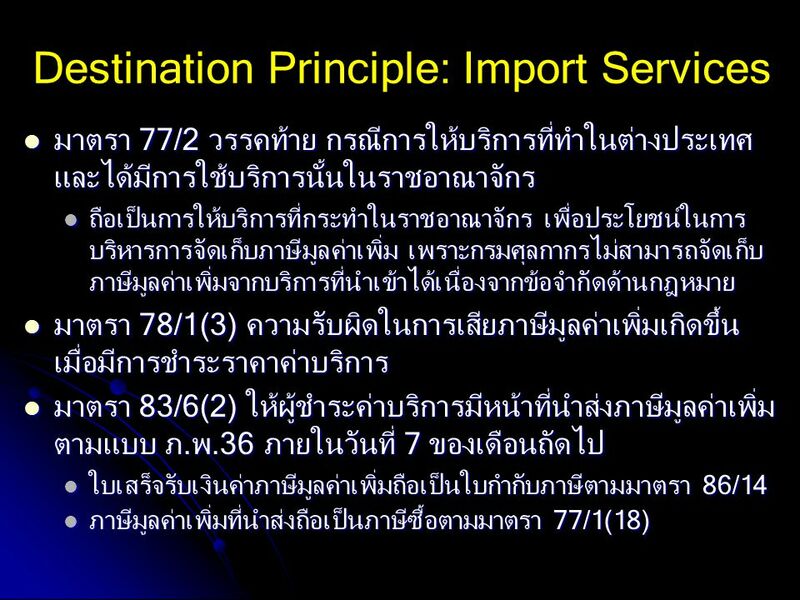 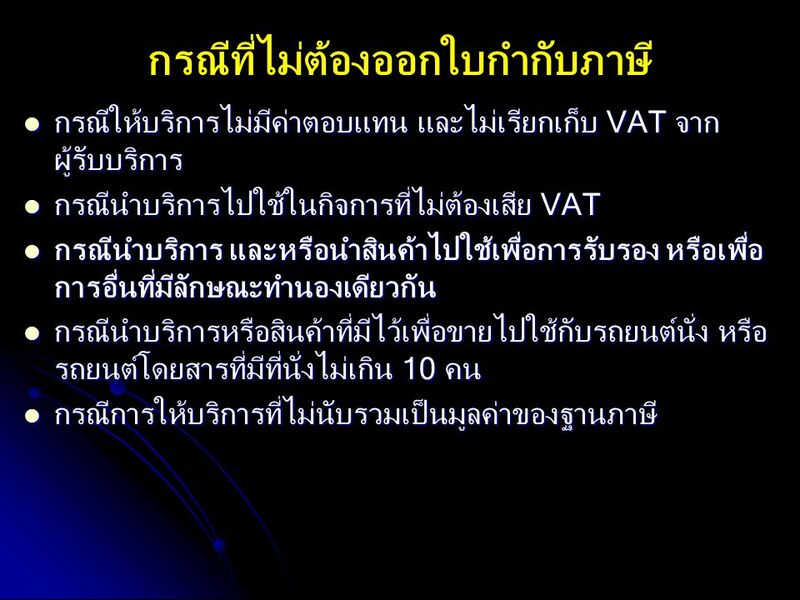 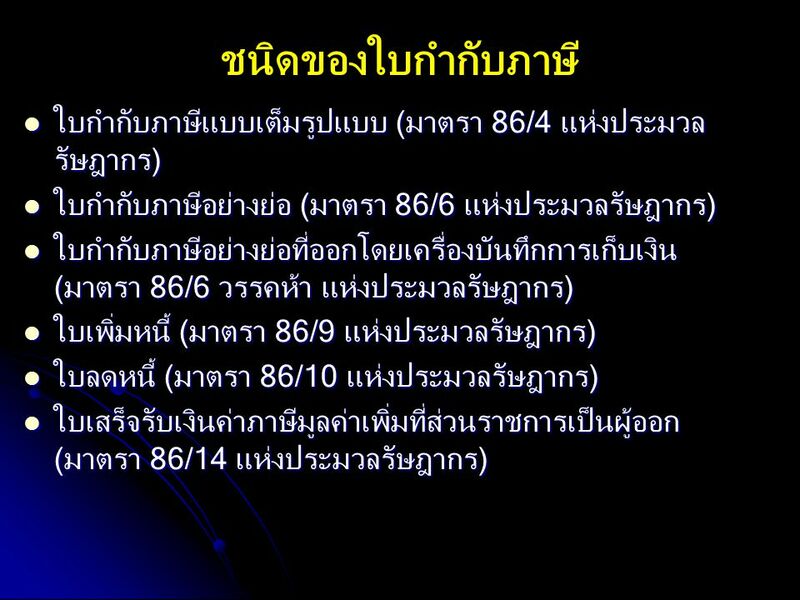 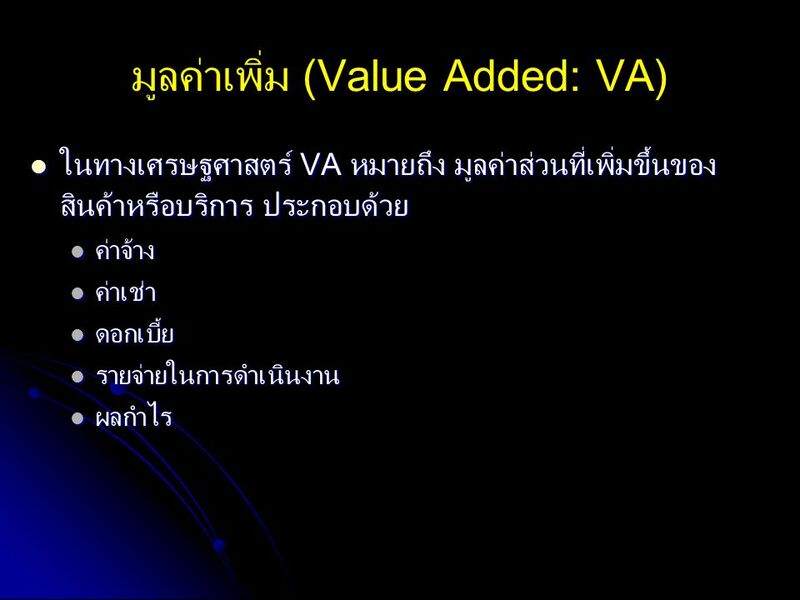 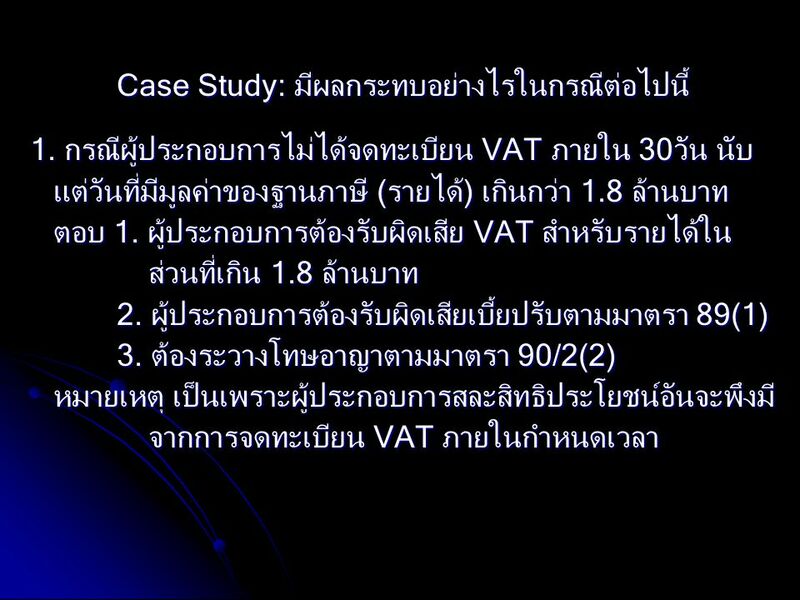 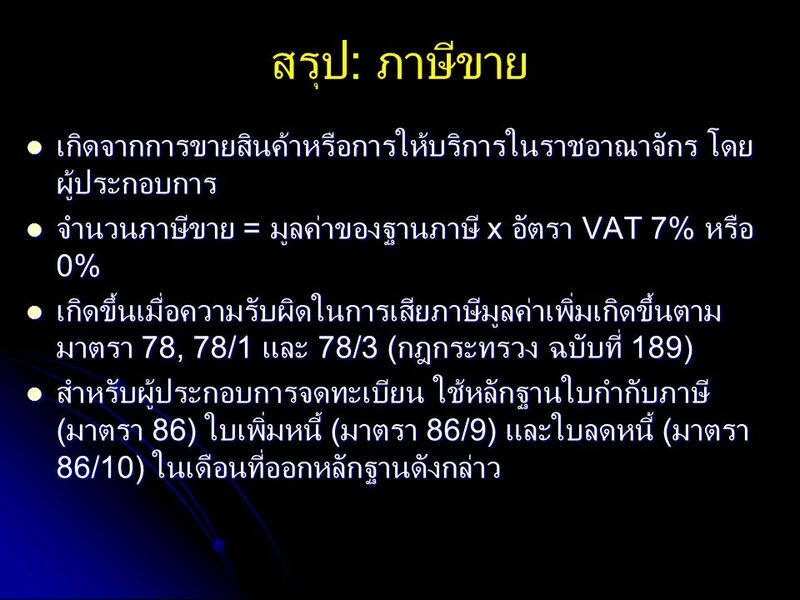 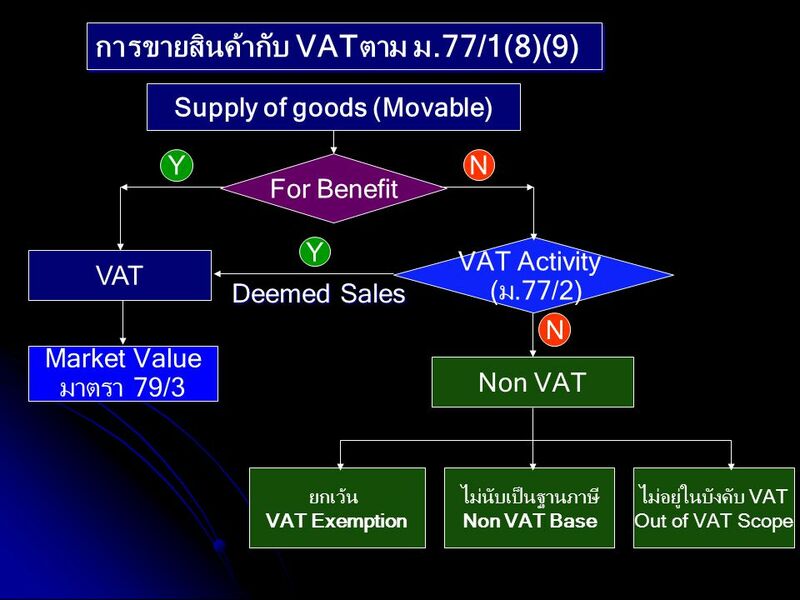 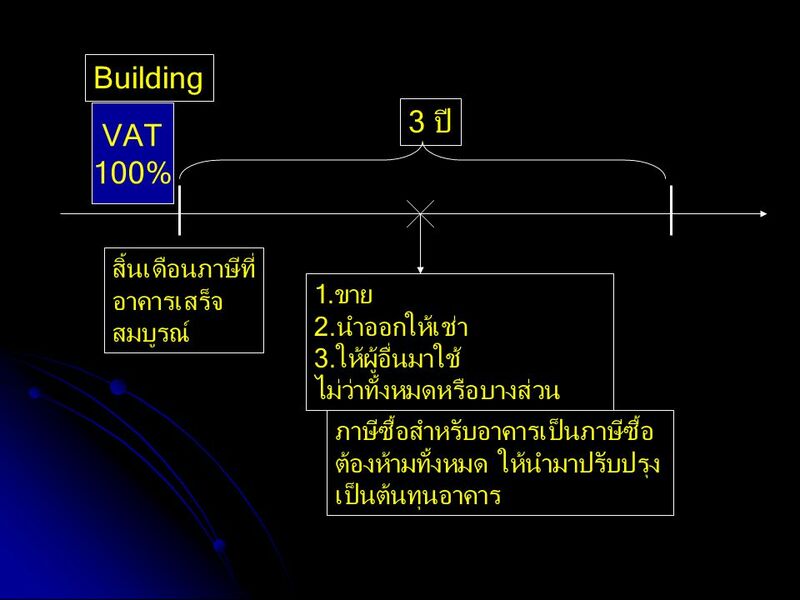 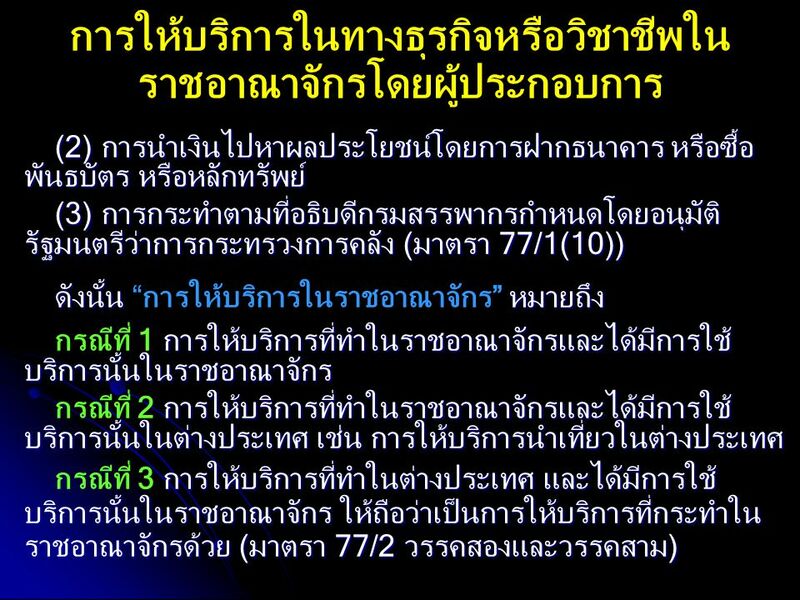 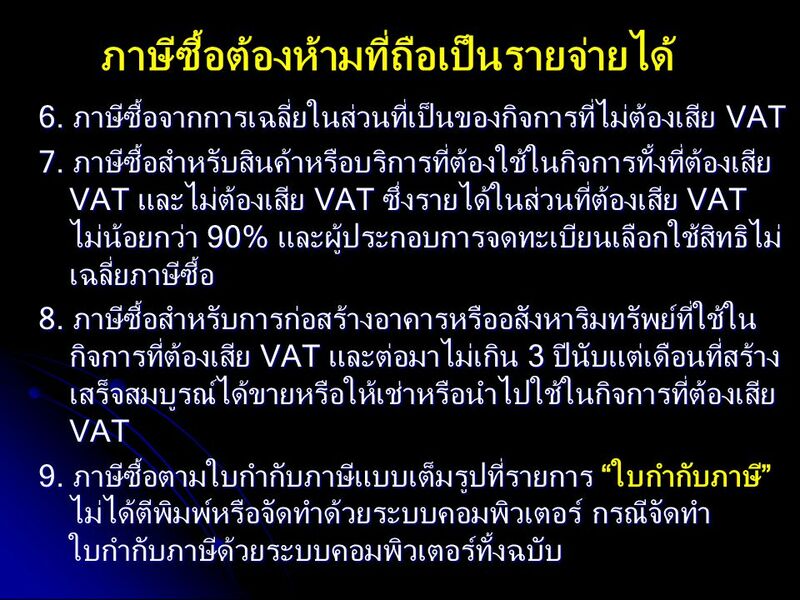 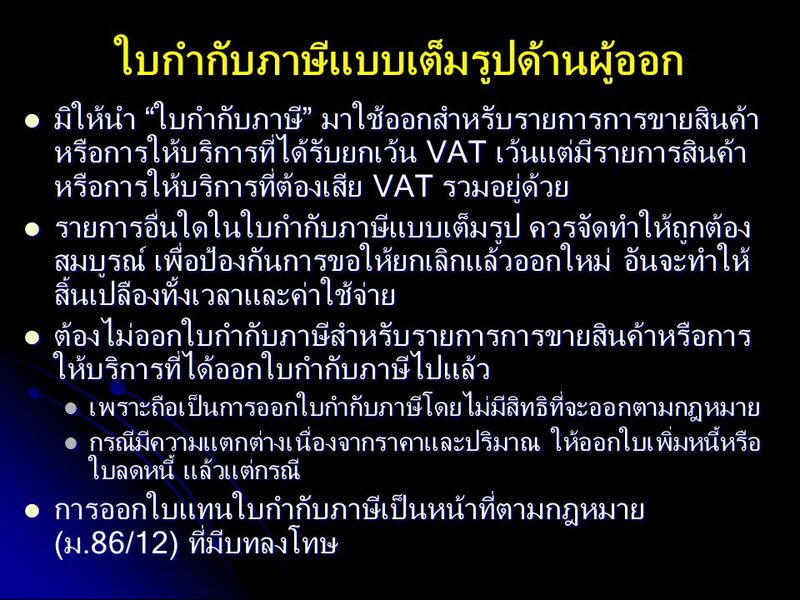 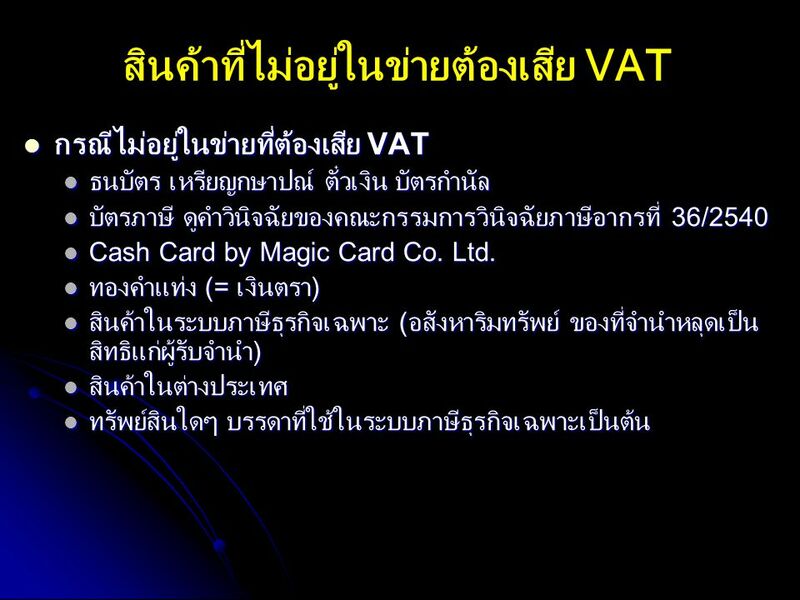 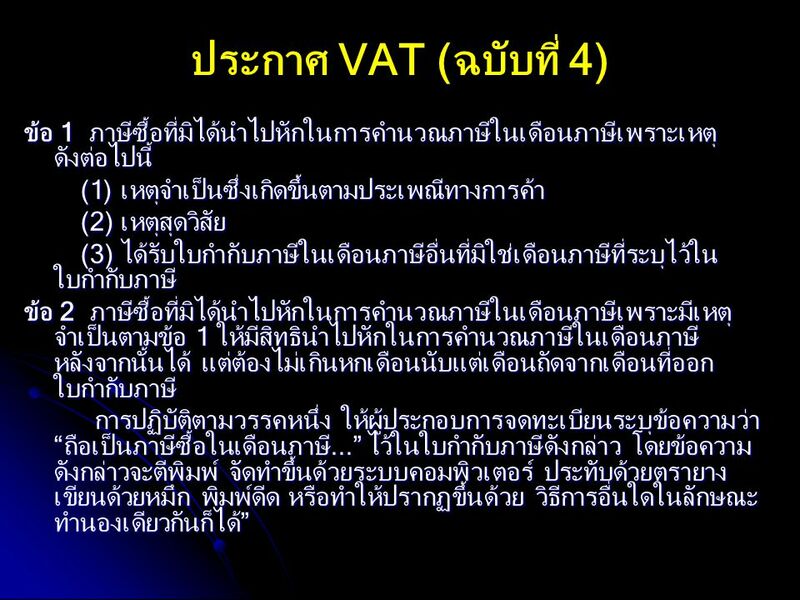 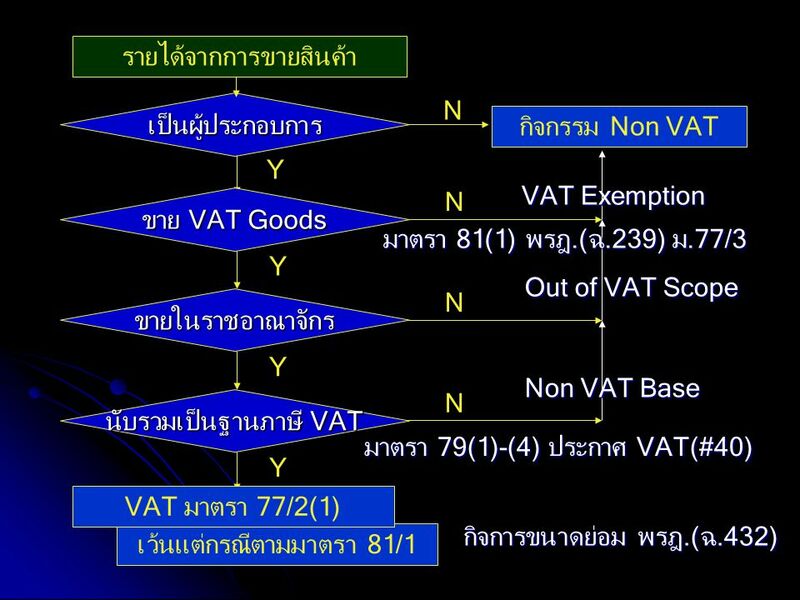 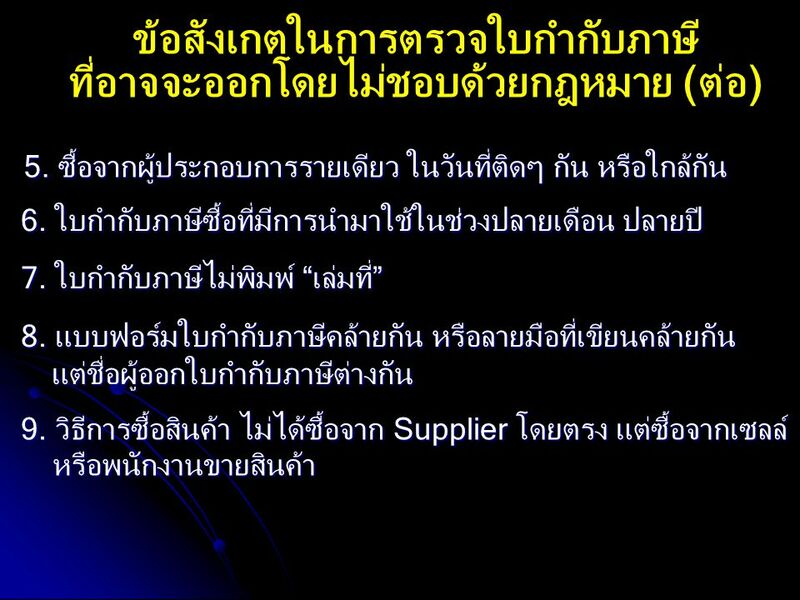 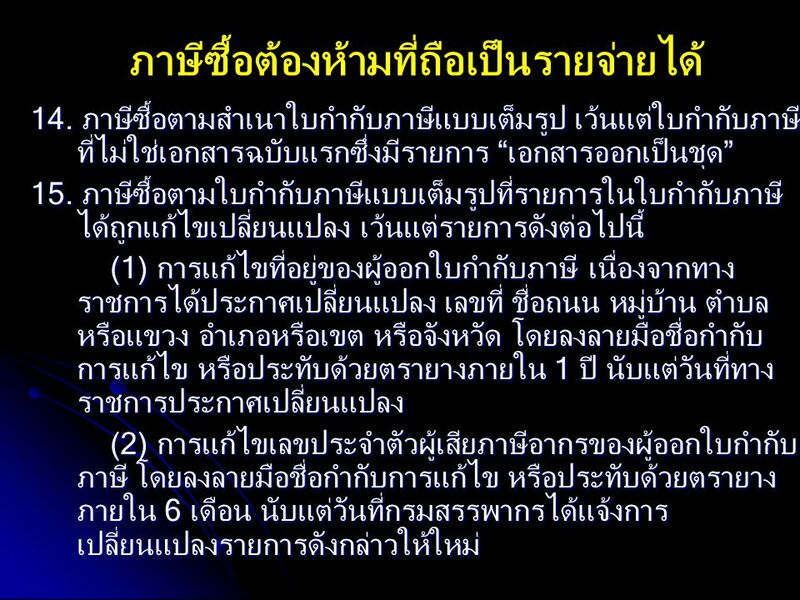 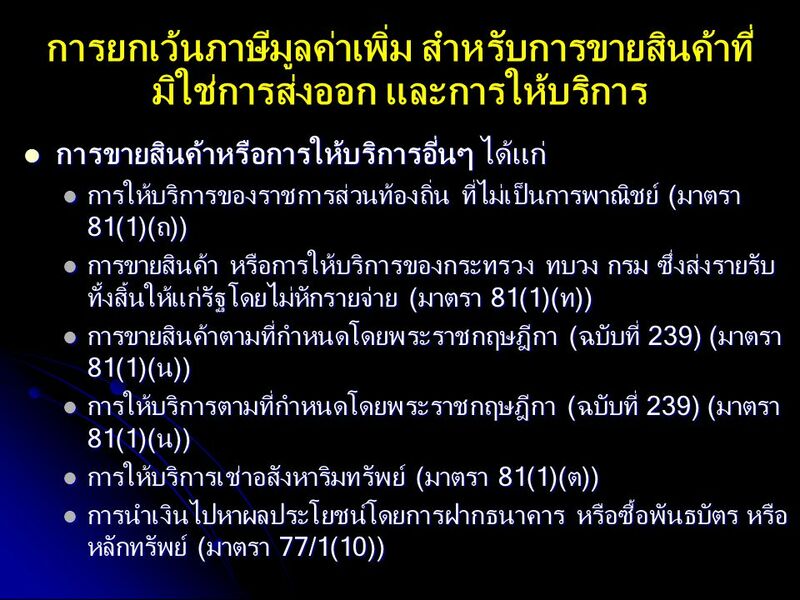 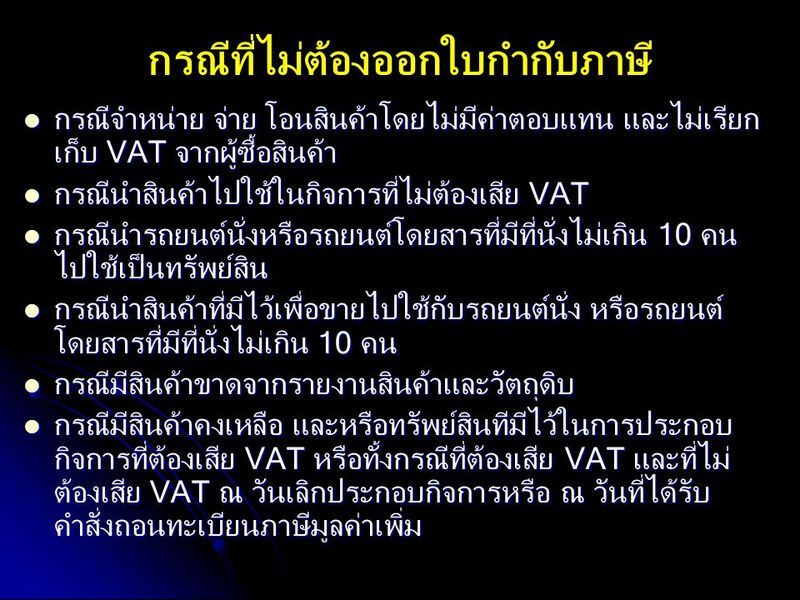 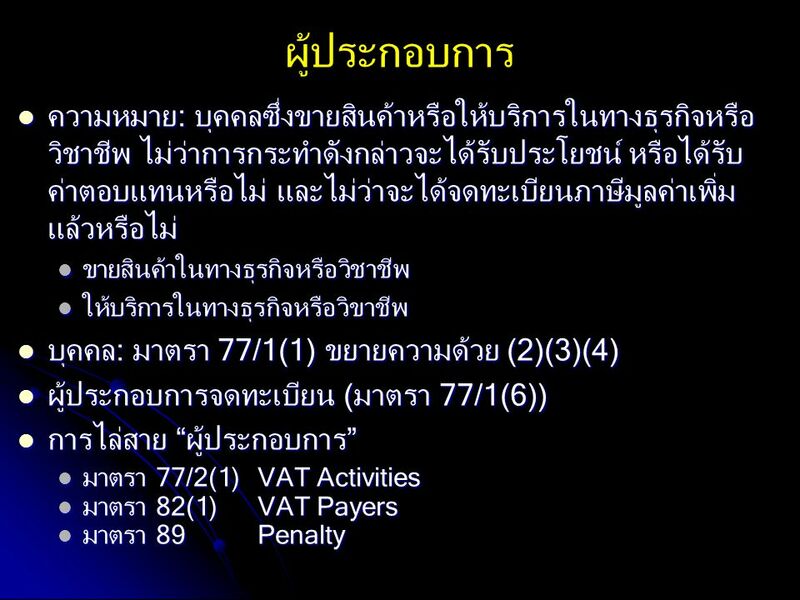 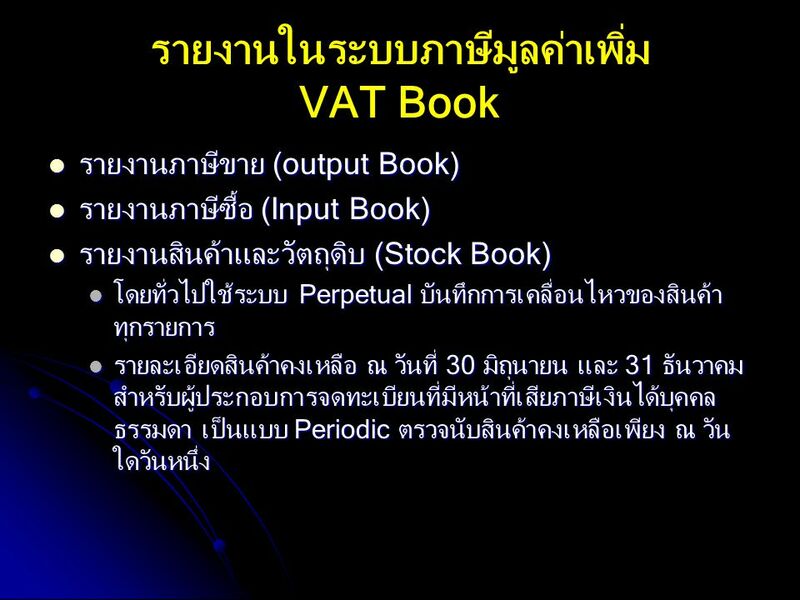 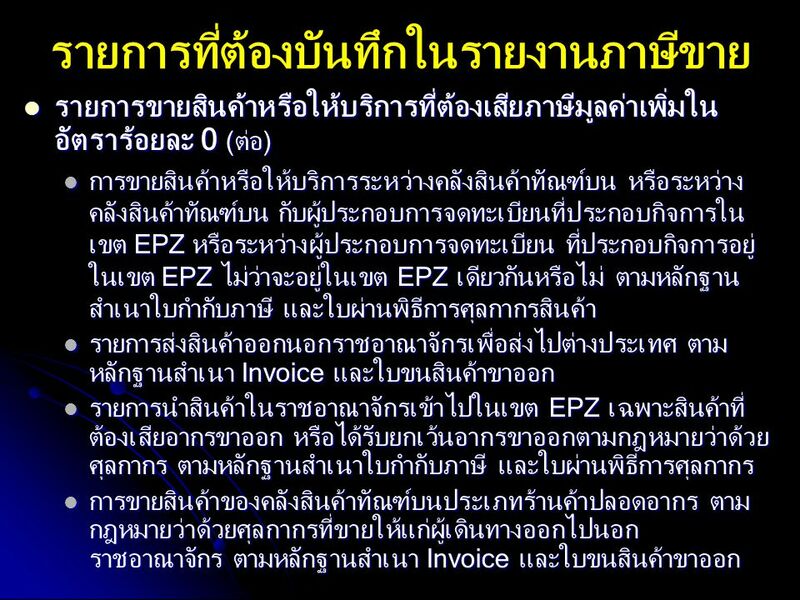 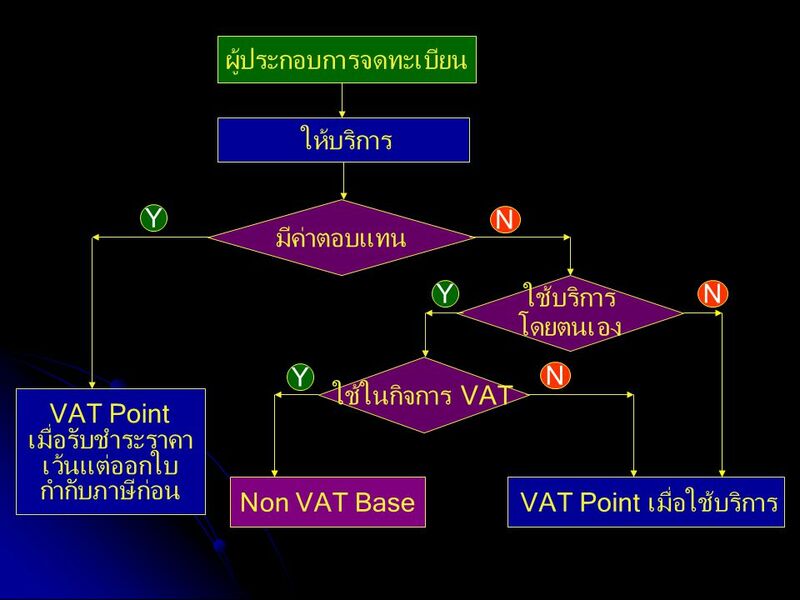 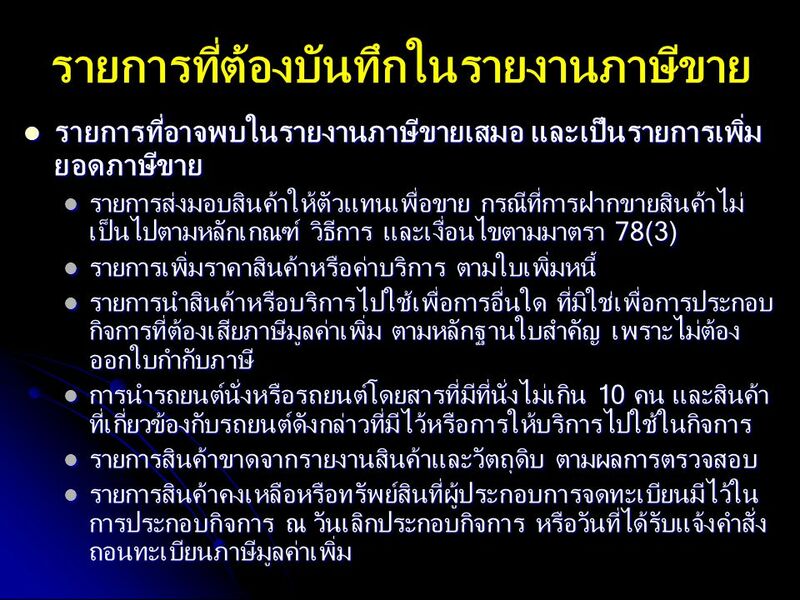 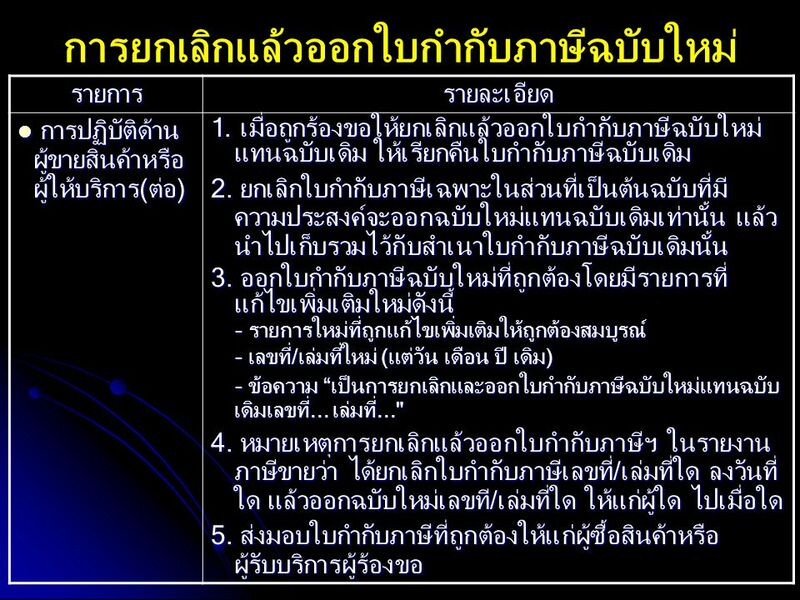 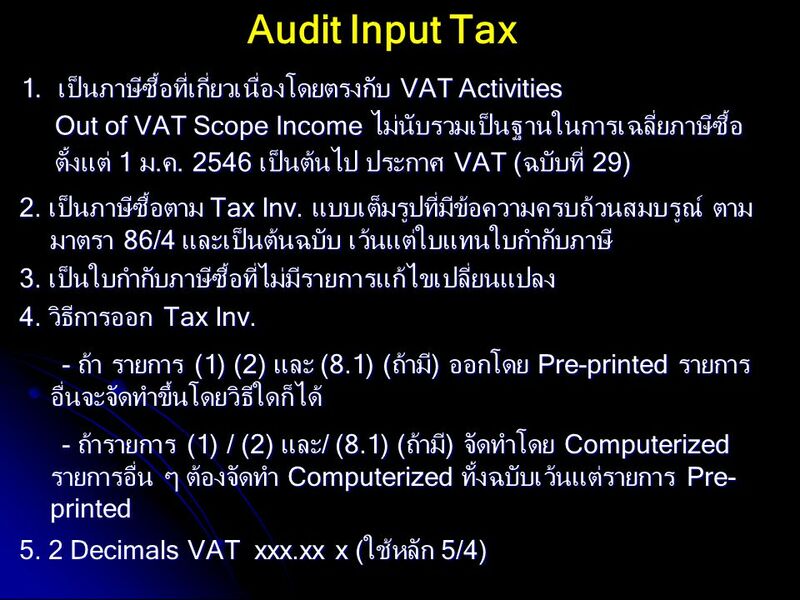 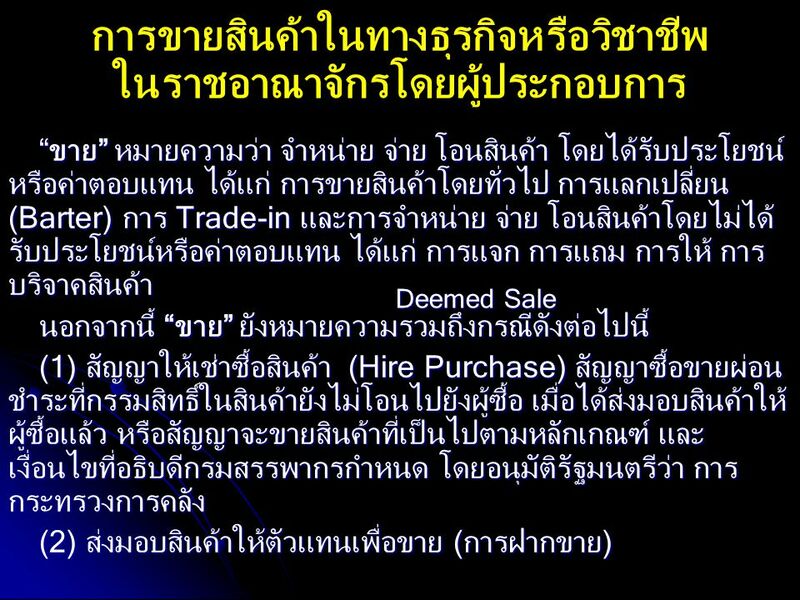 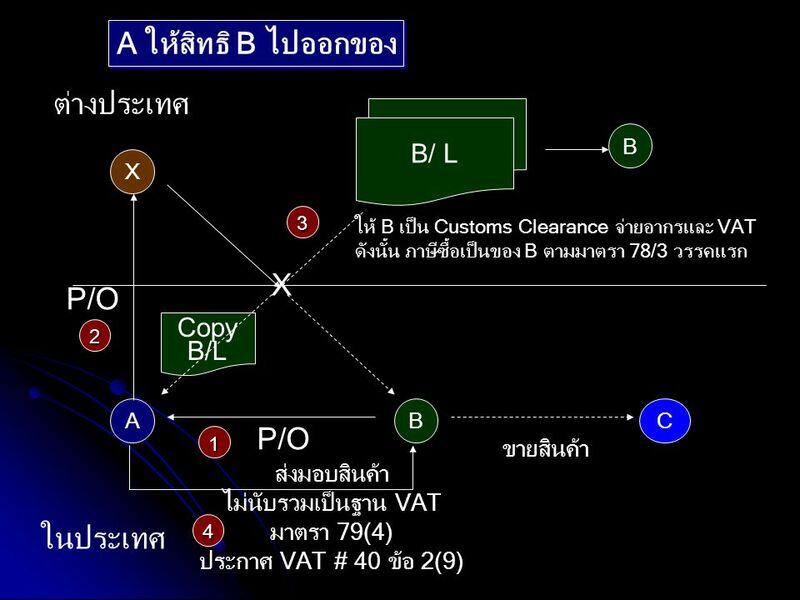 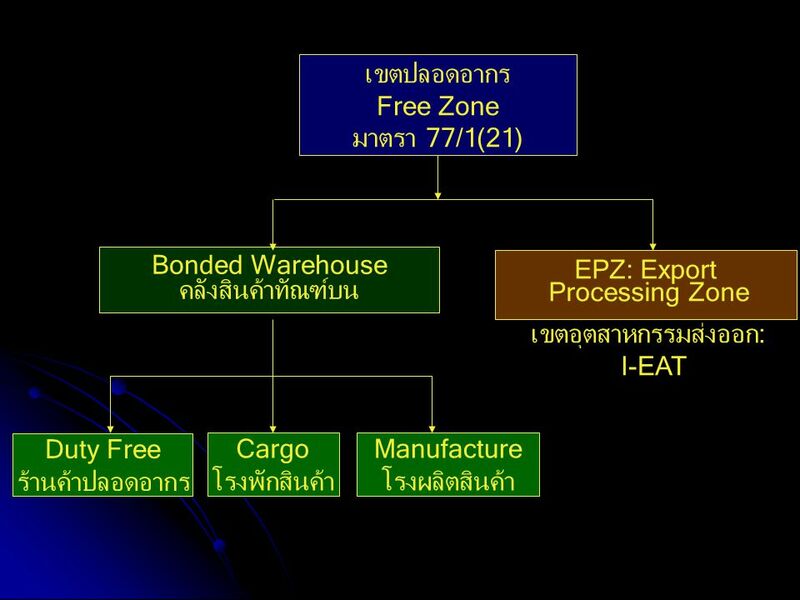 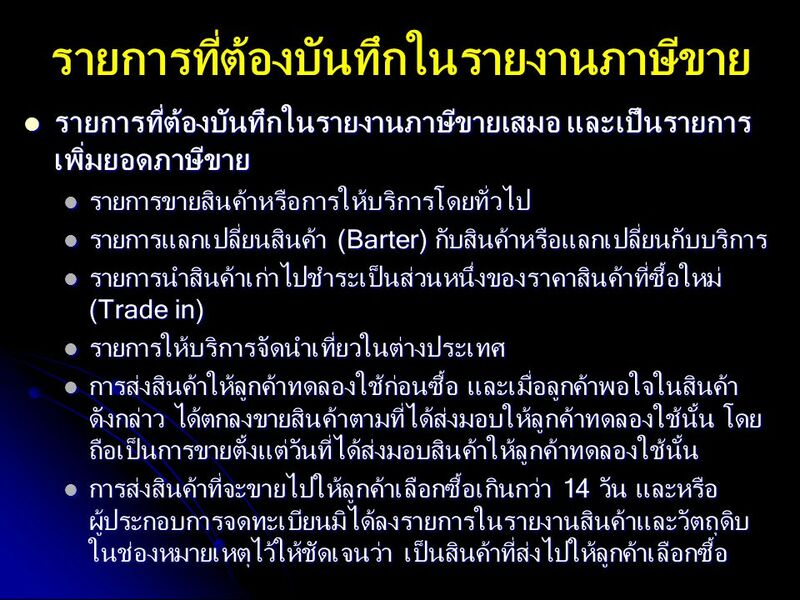 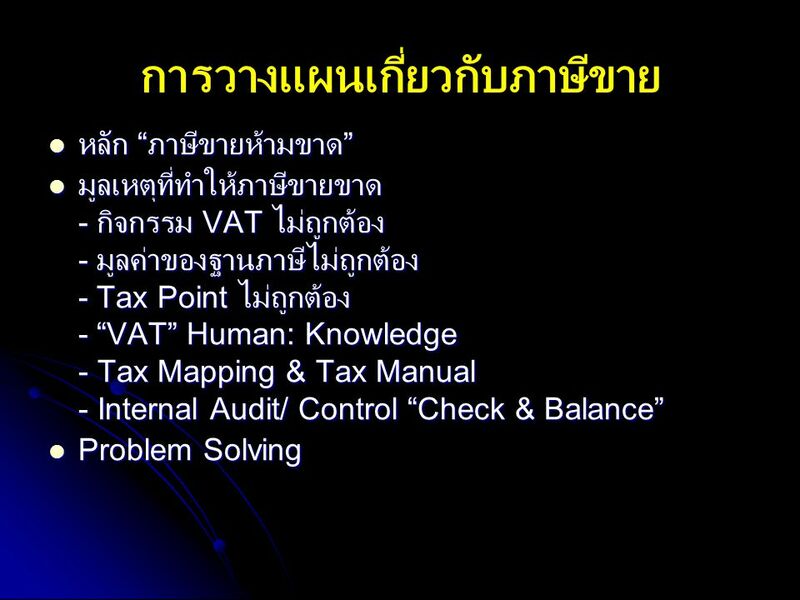 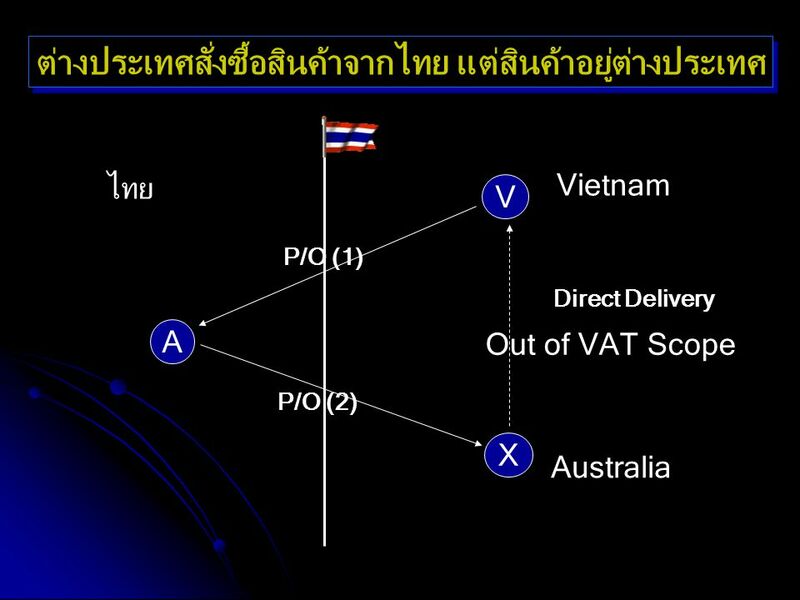 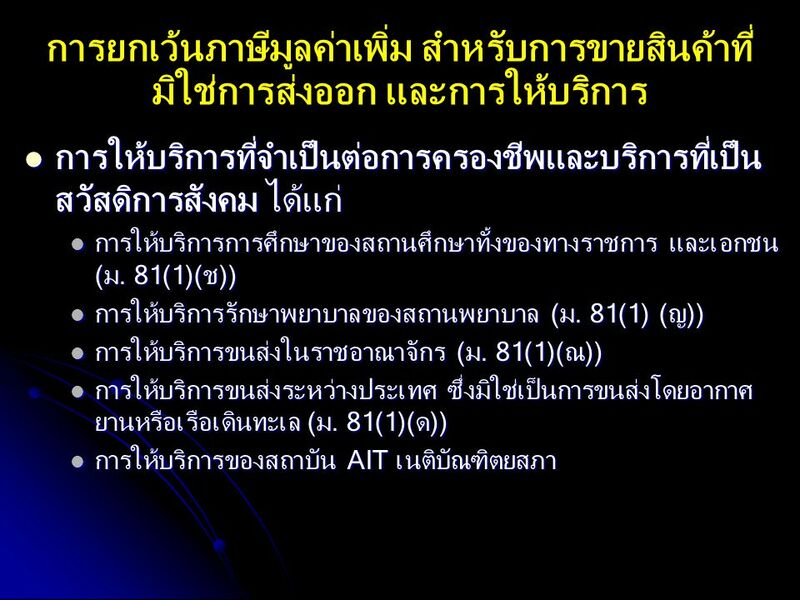 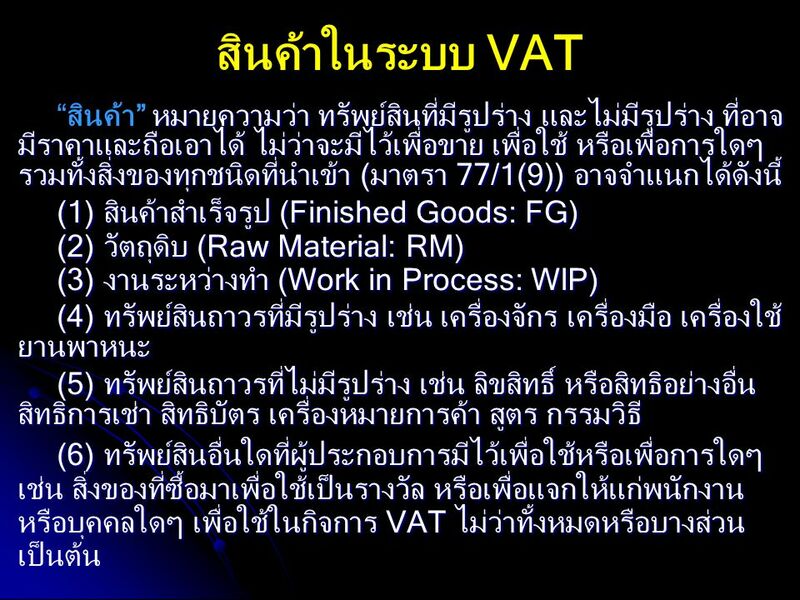 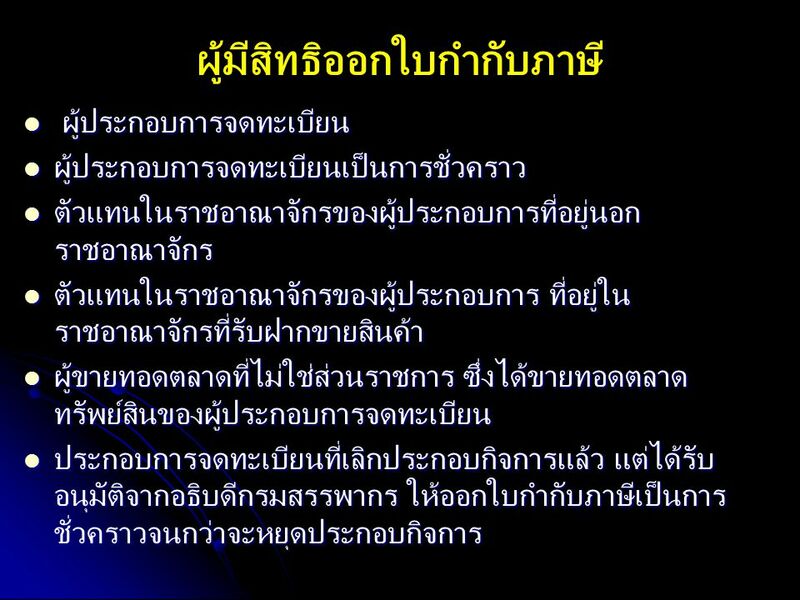 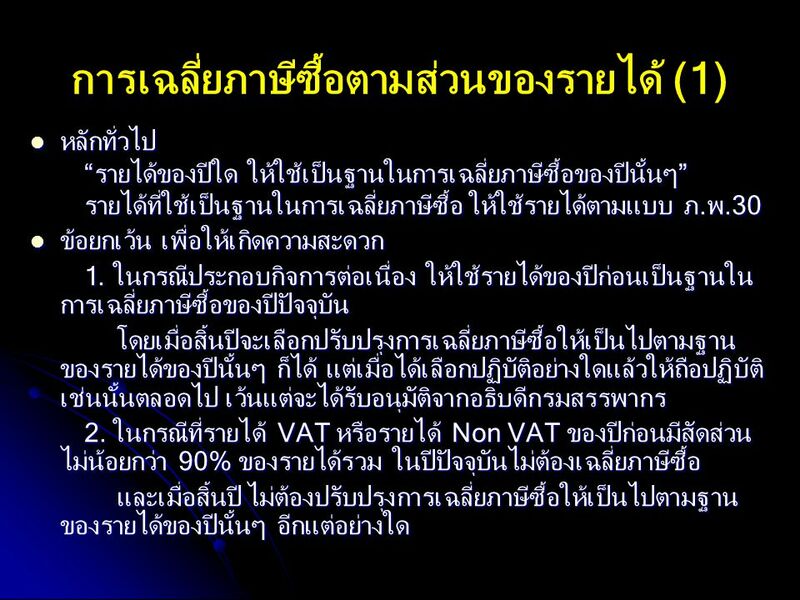 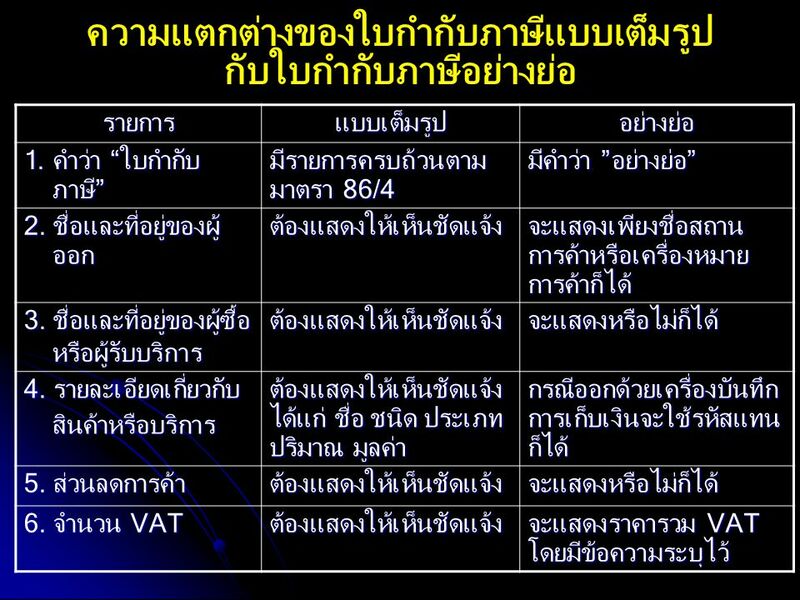 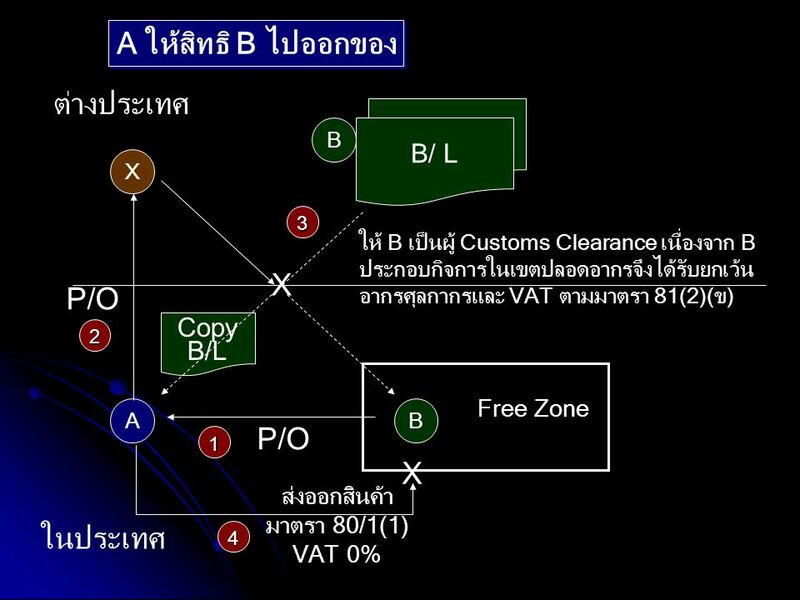 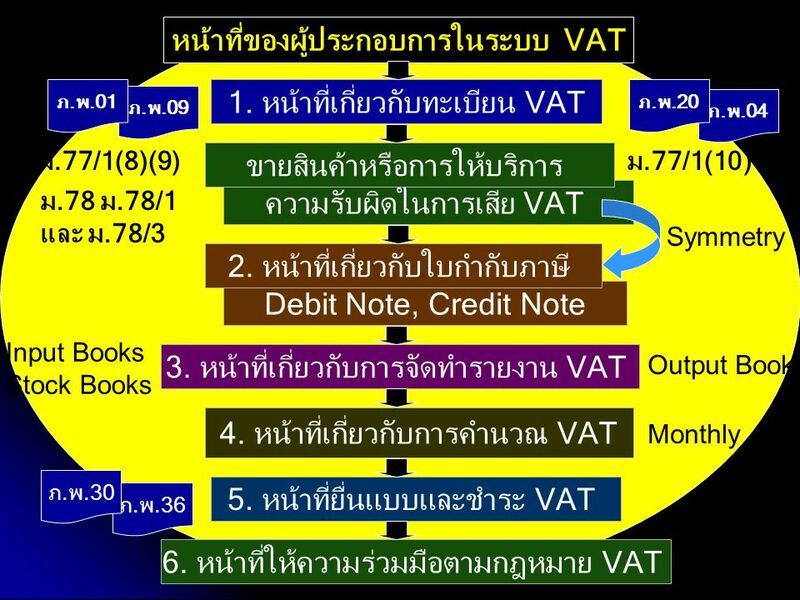 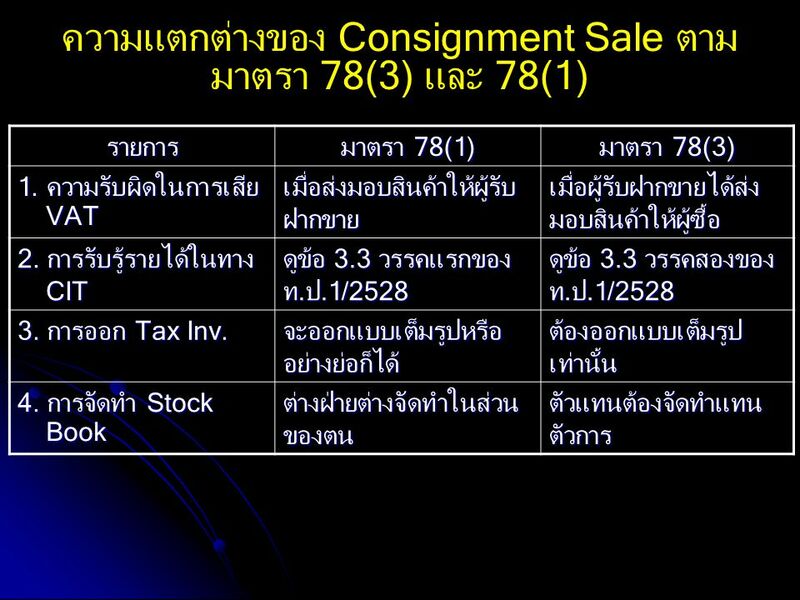 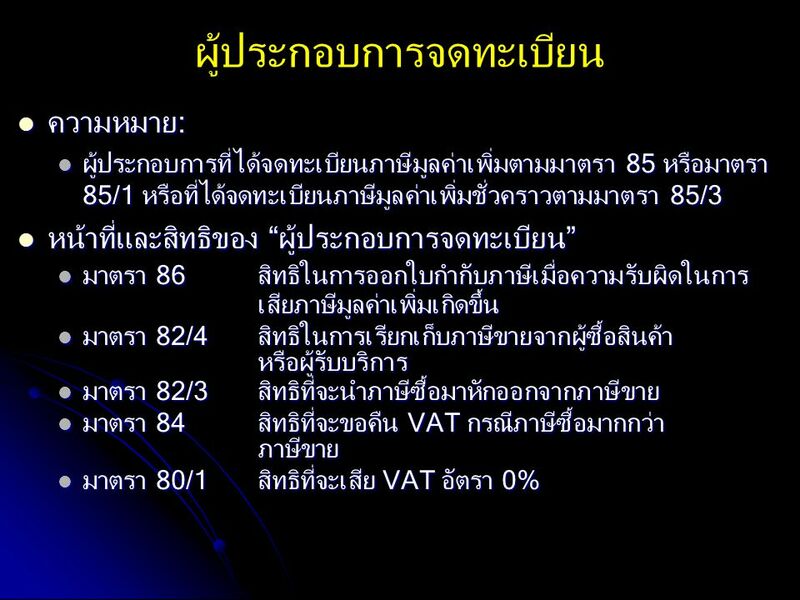 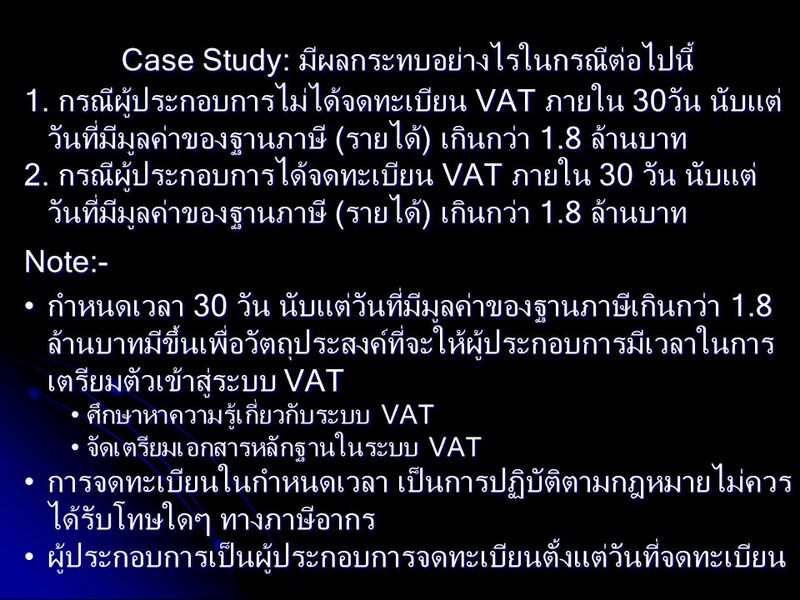 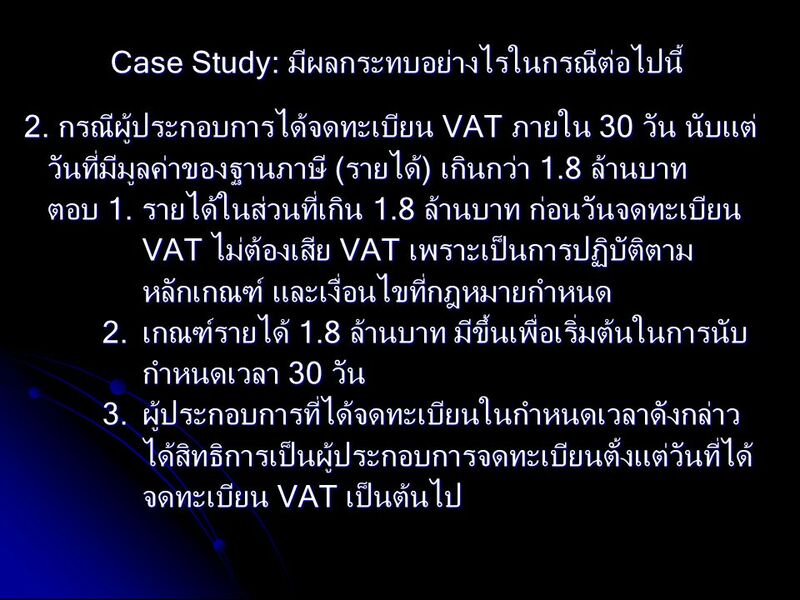 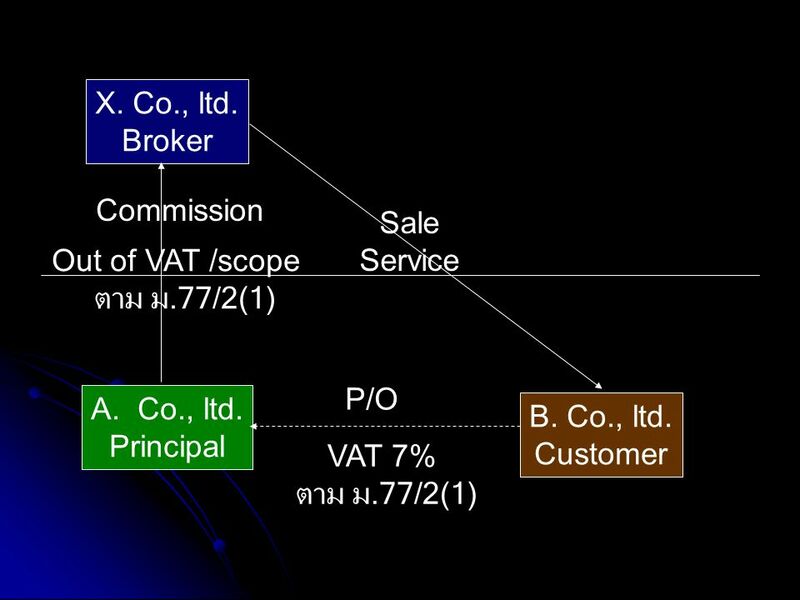 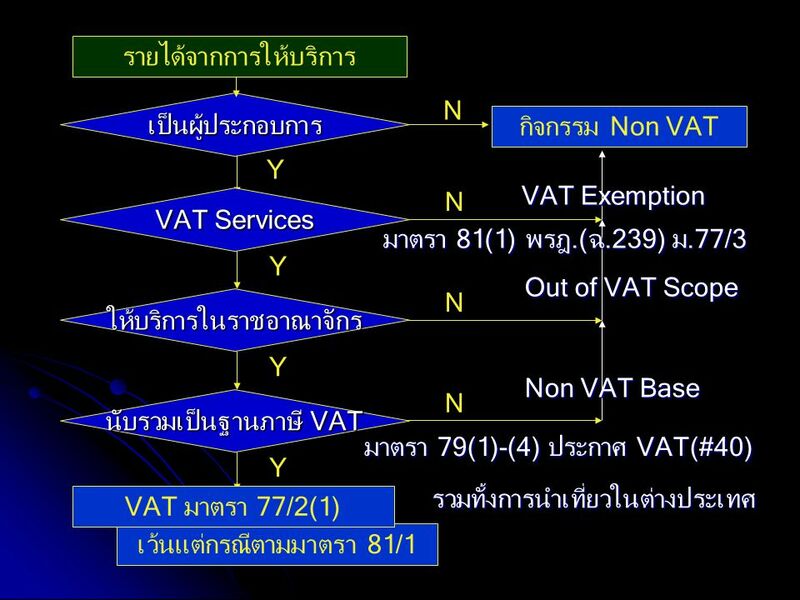 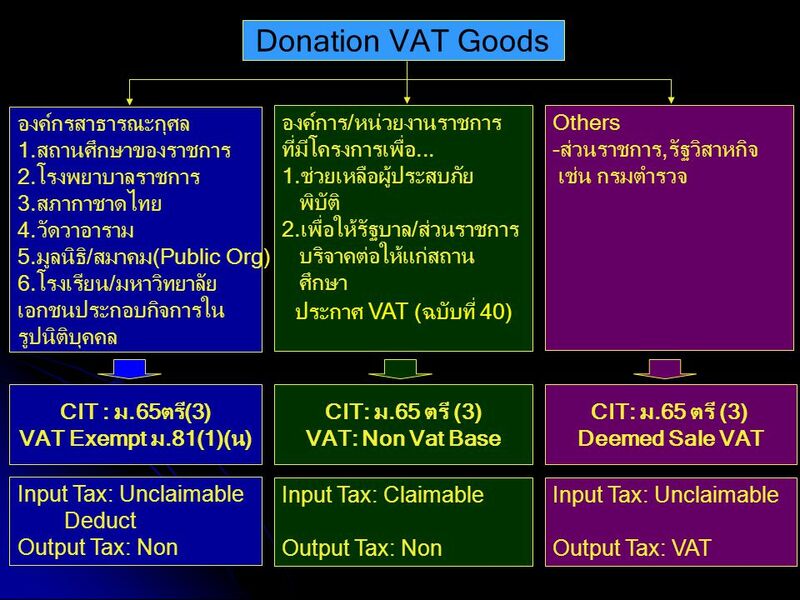 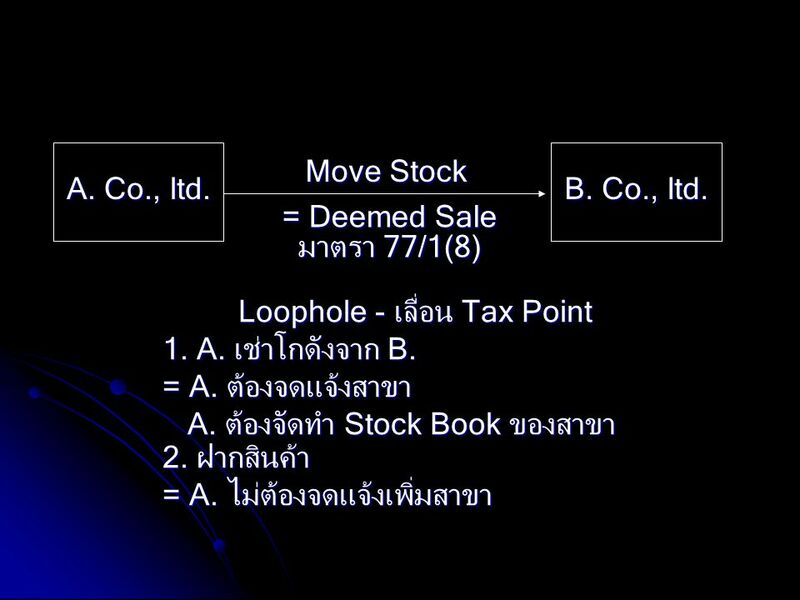 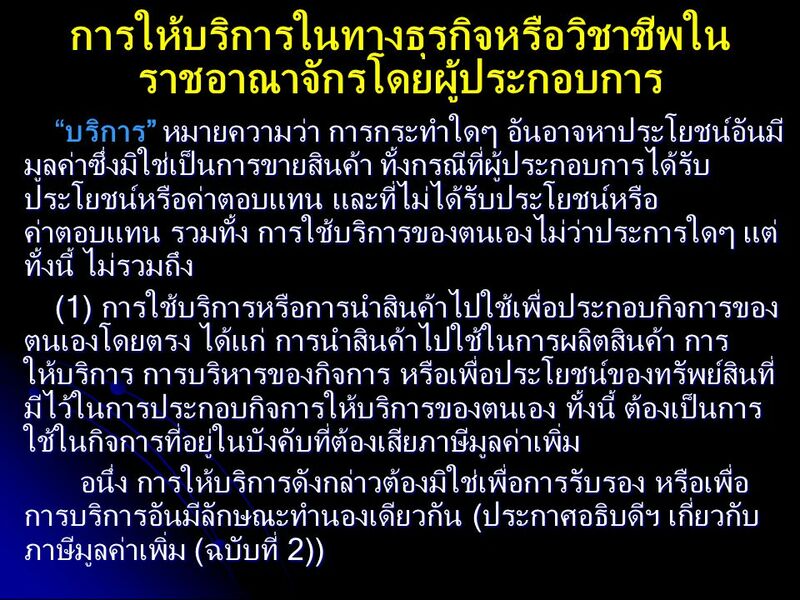 79(1) – (4) และประกาศ VAT (ฉบับที่ 40) การนำ สินค้า/บริการไปใช้ในกิจการ VAT ของตนเอง, All VAT Business Transfer Run oversea business Cash discount & penalty Sale promotion reward Subsidy, Supporting etc. 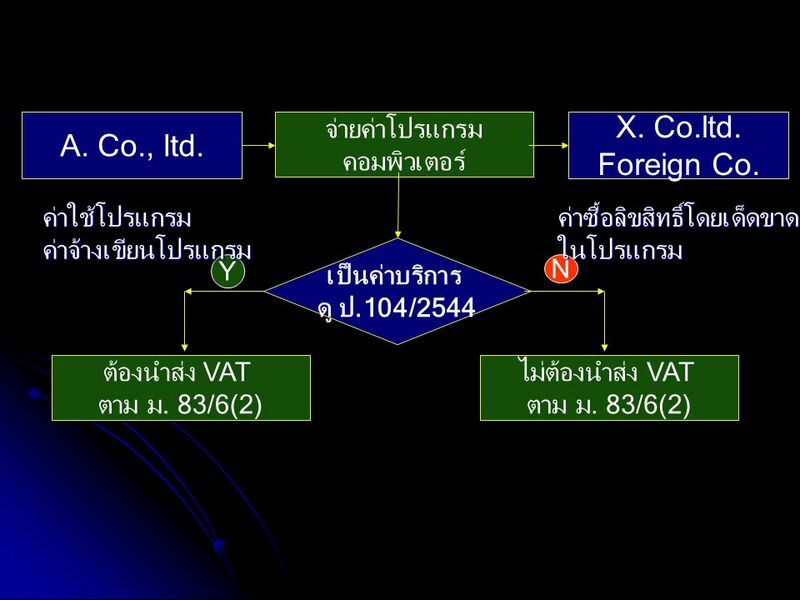 No Benefit A. Co.,Ltd. 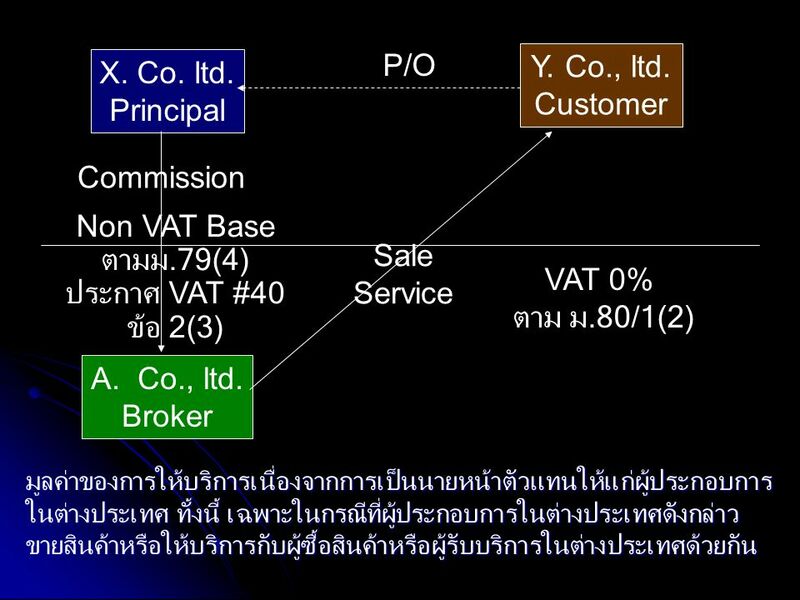 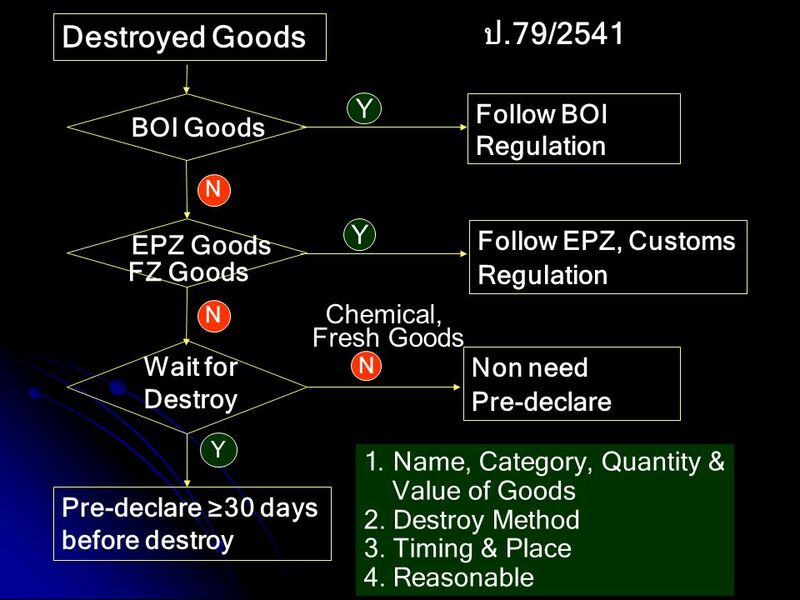 B. Co.,Ltd. 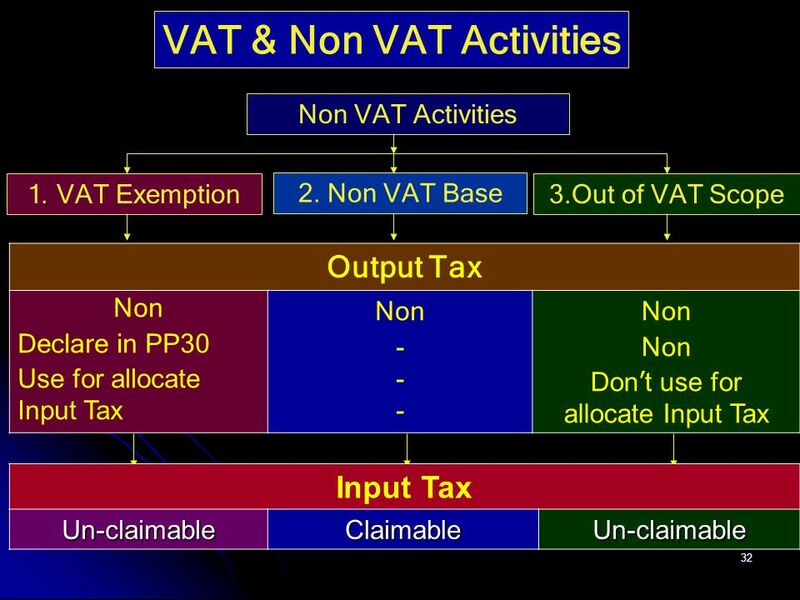 Y Charge VAT N No need to Issue Tax Inv. 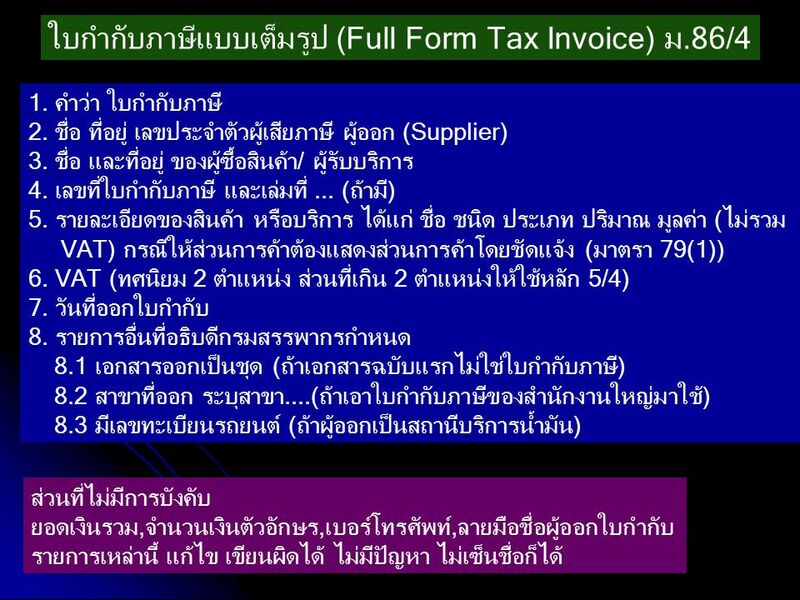 Issue Tax Invoice - WT. 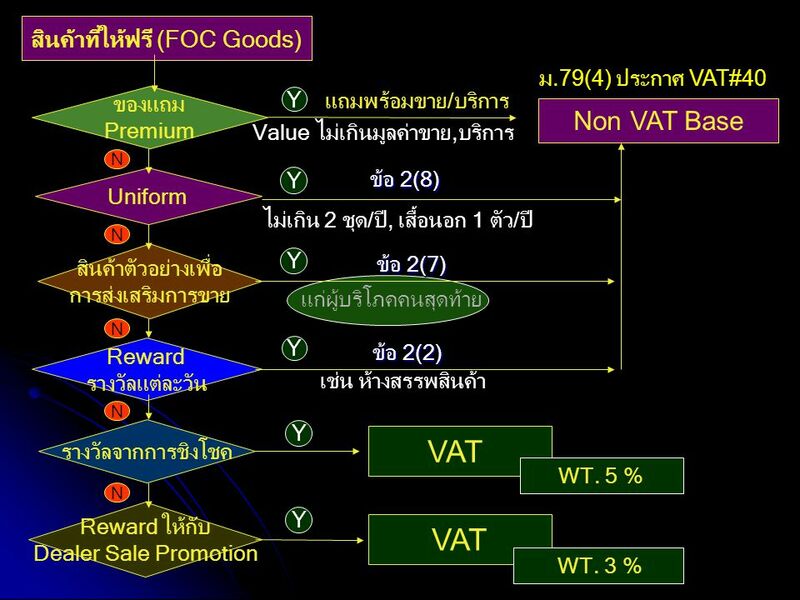 on value of goods only - WT. 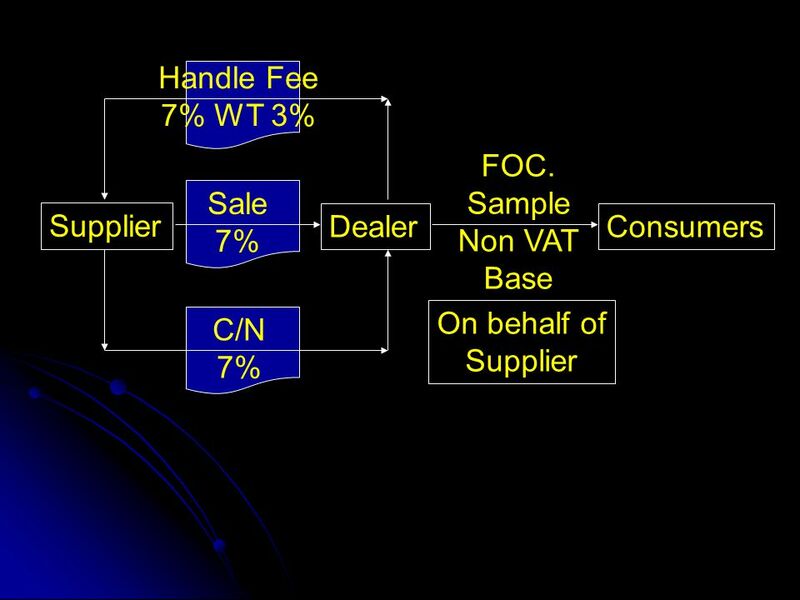 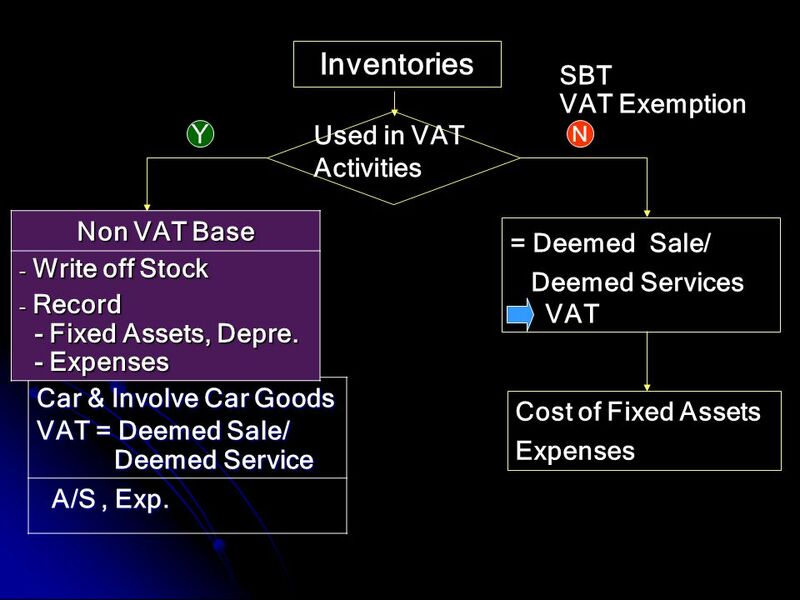 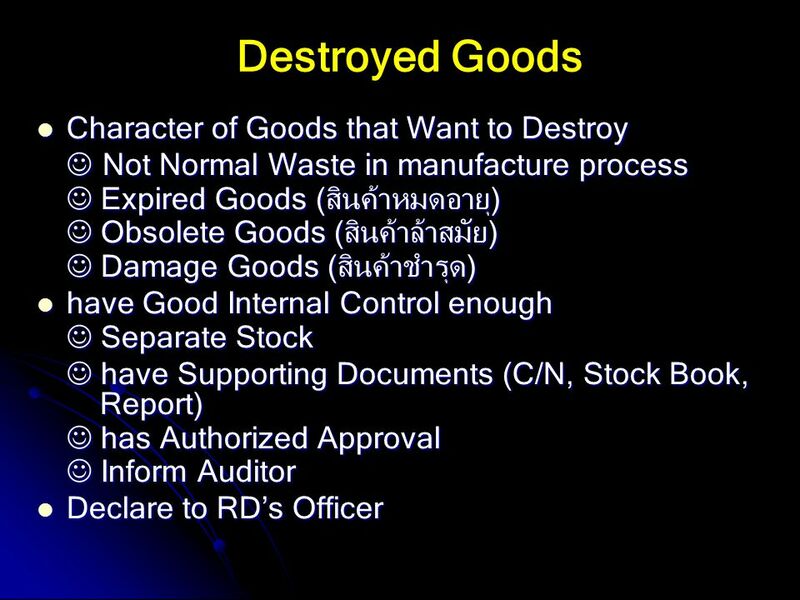 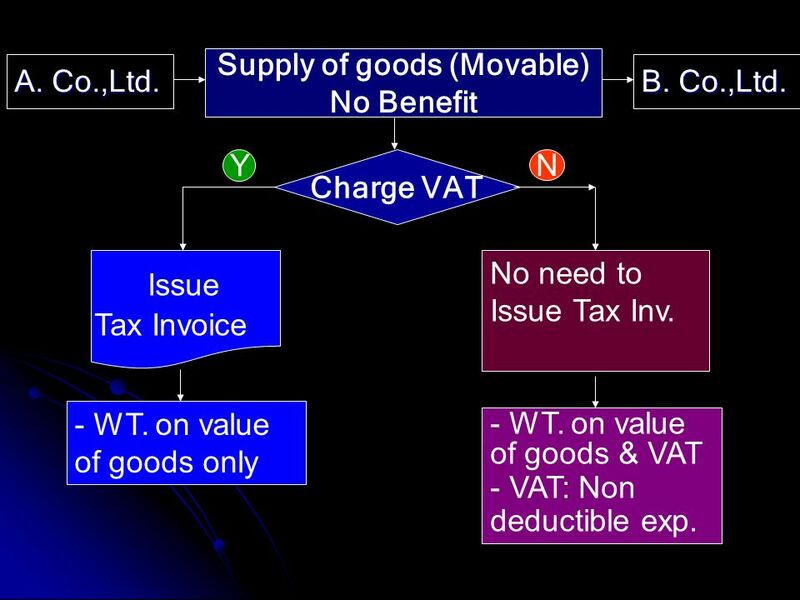 on value of goods & VAT - VAT: Non deductible exp. 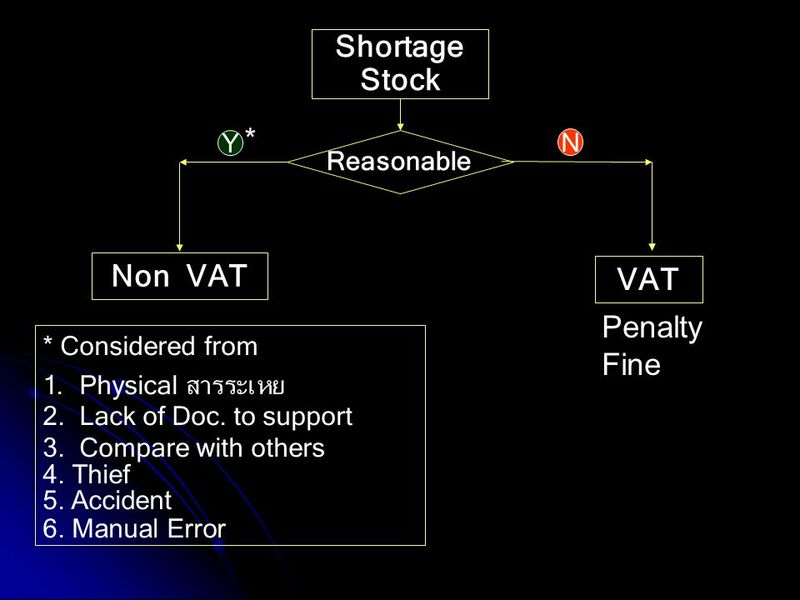 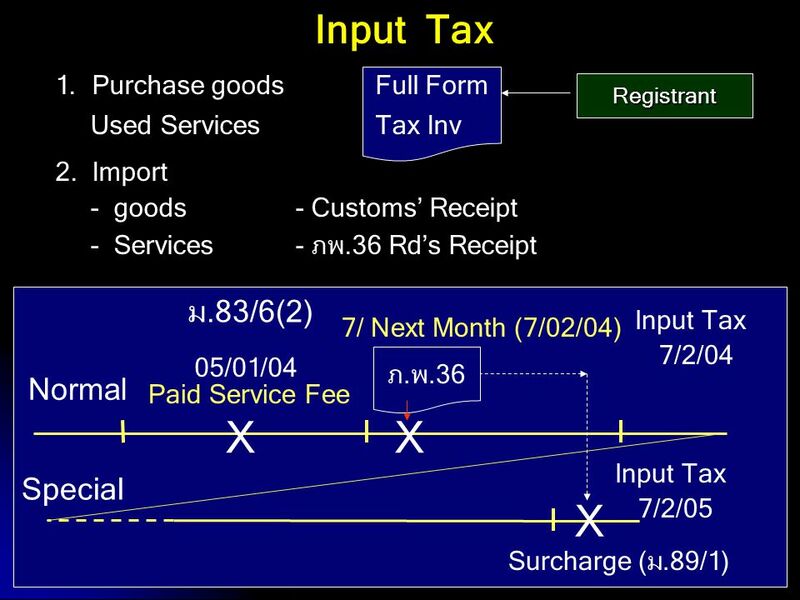 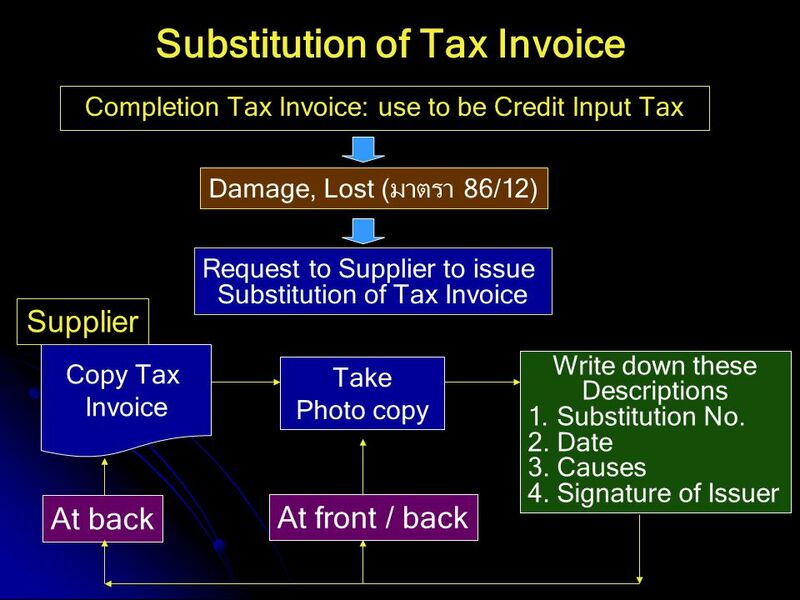 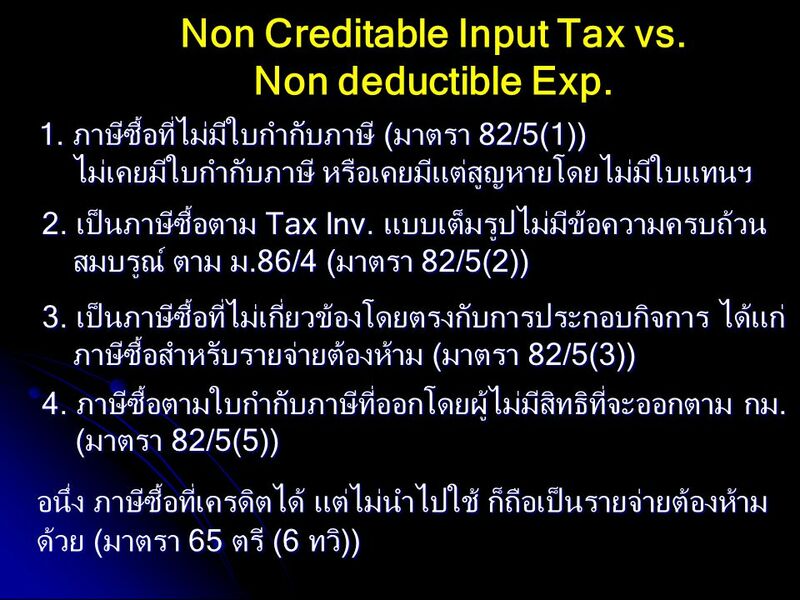 96 Non Creditable Input Tax vs.
102 สรุป: Non Creditable Input Tax vs. 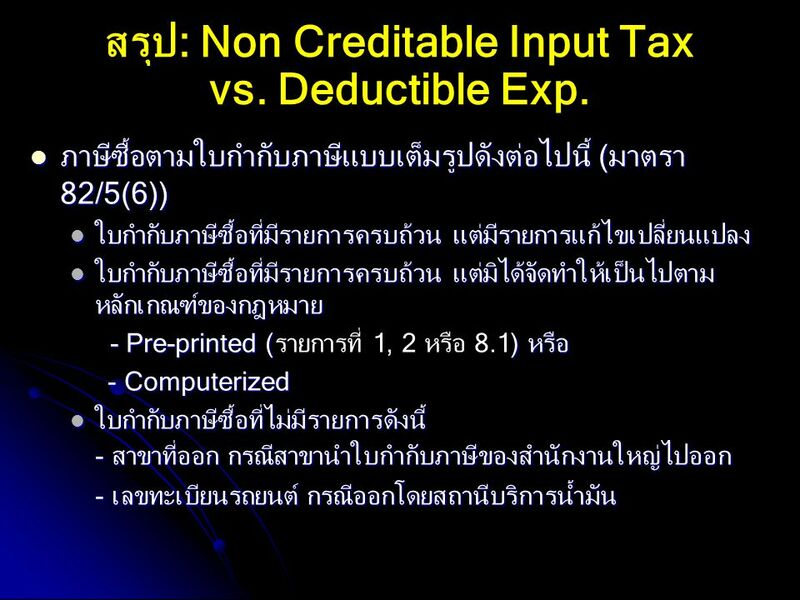 Deductible Exp. 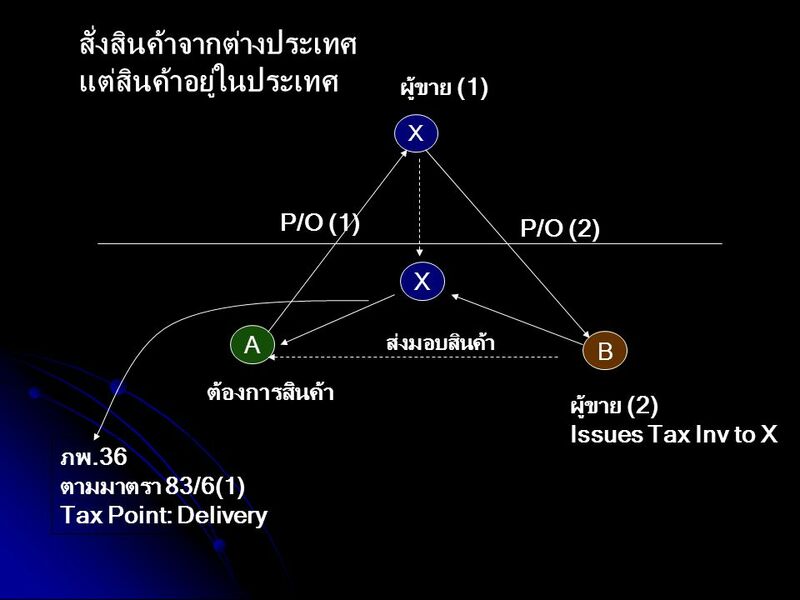 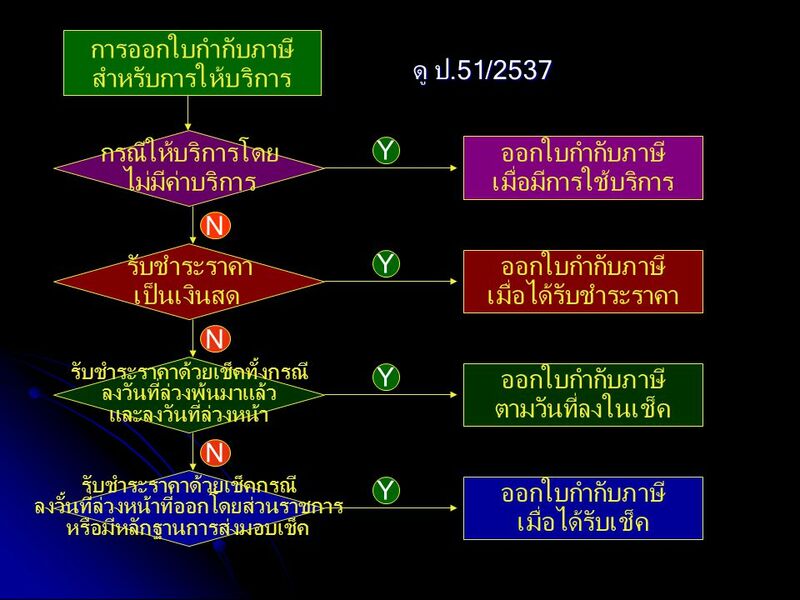 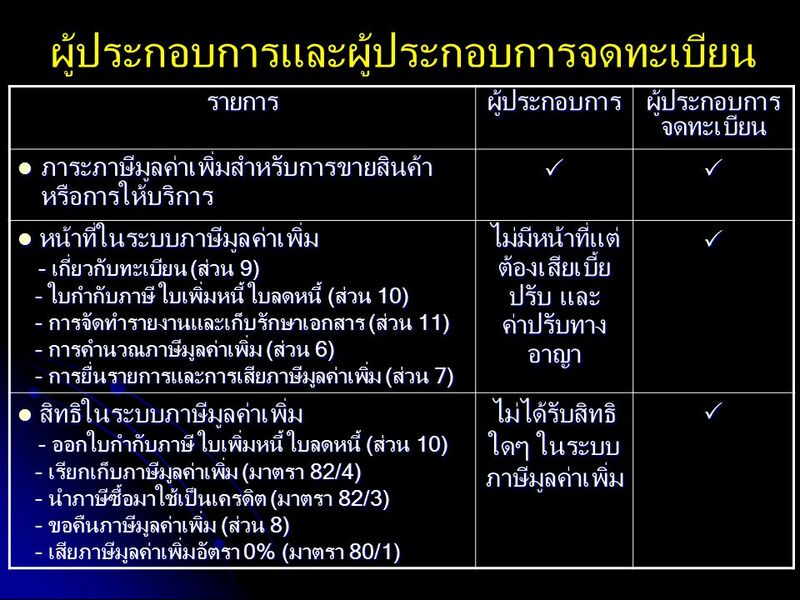 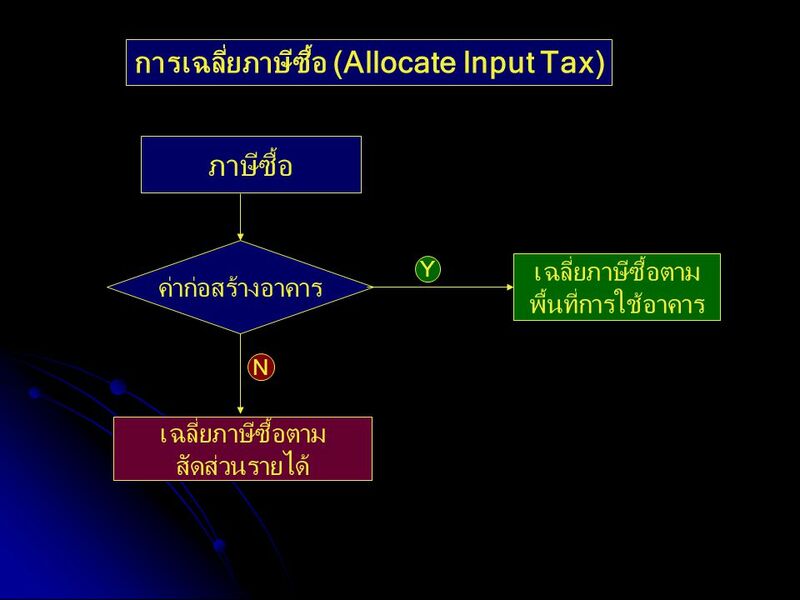 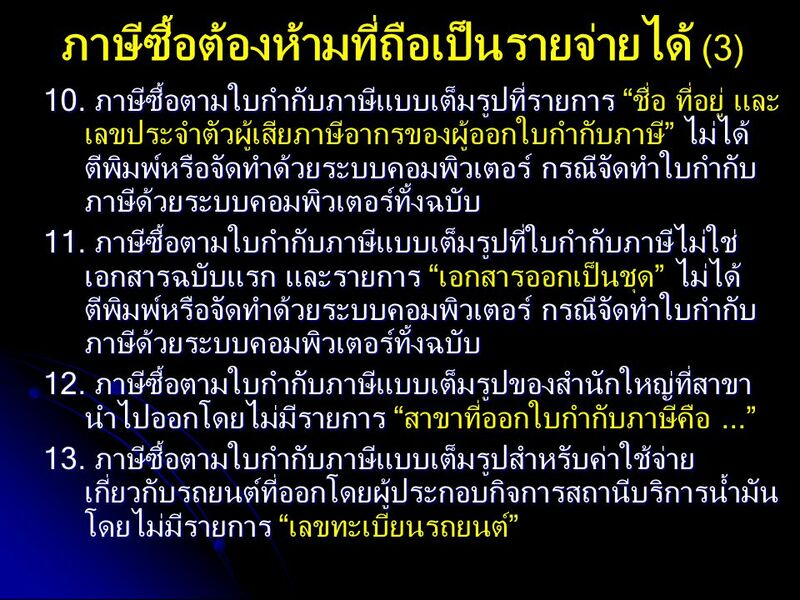 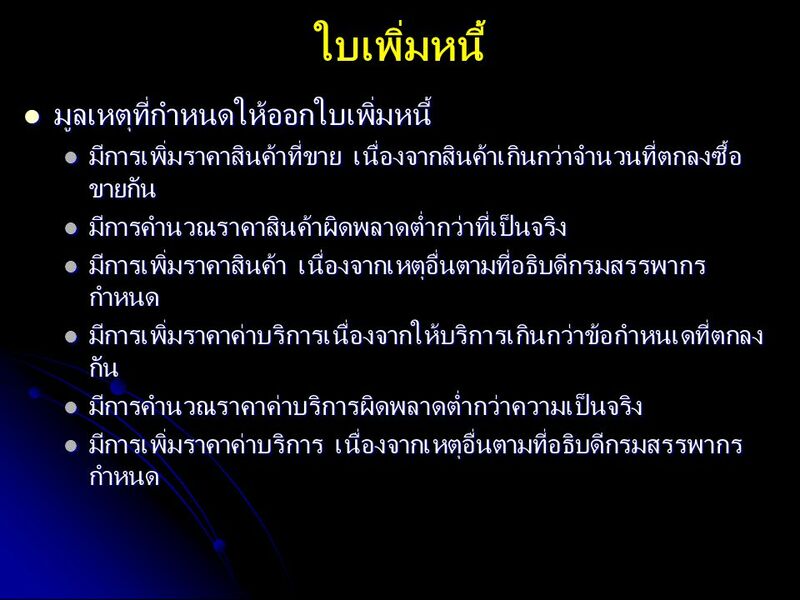 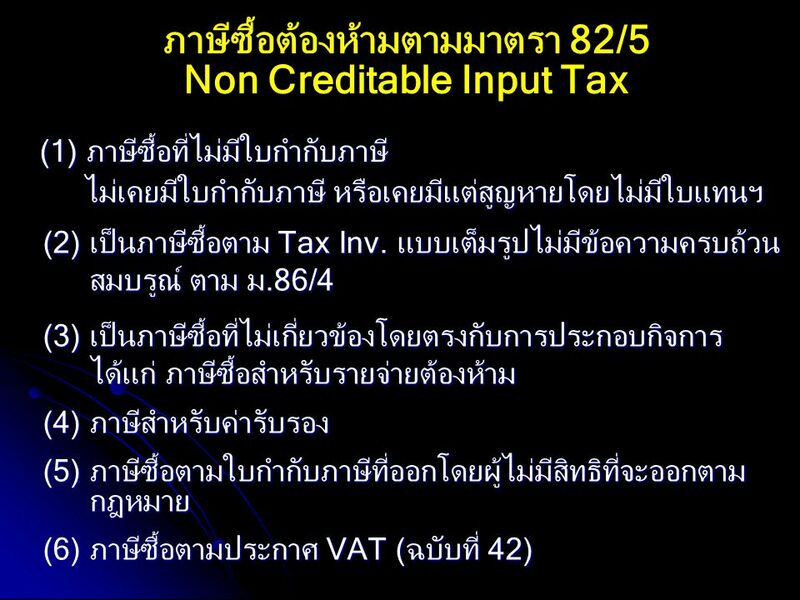 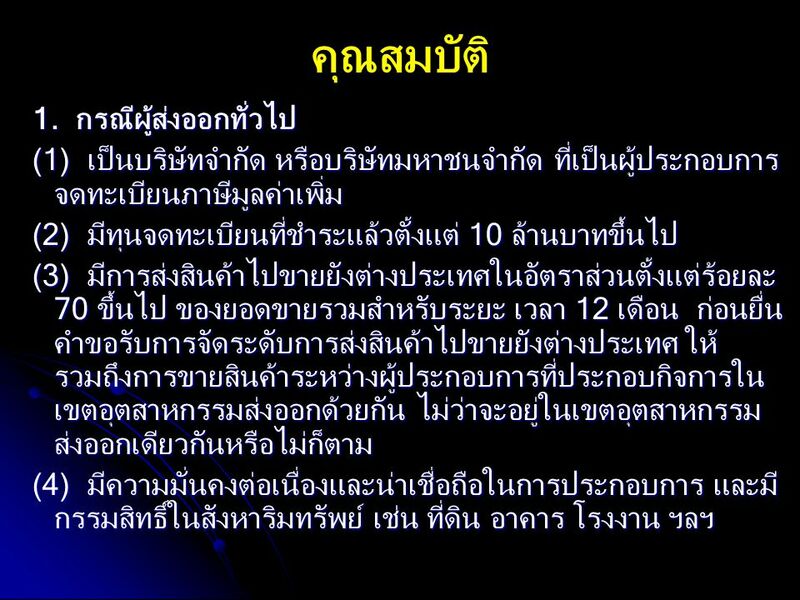 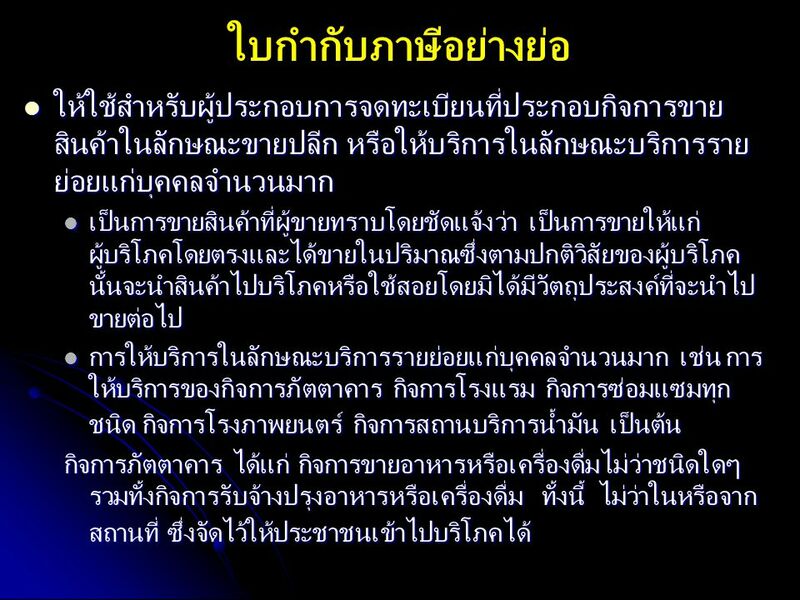 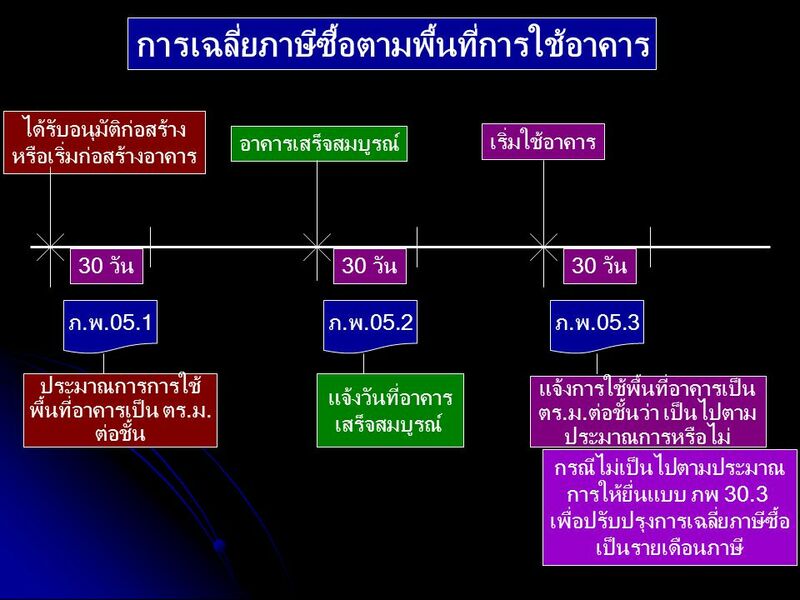 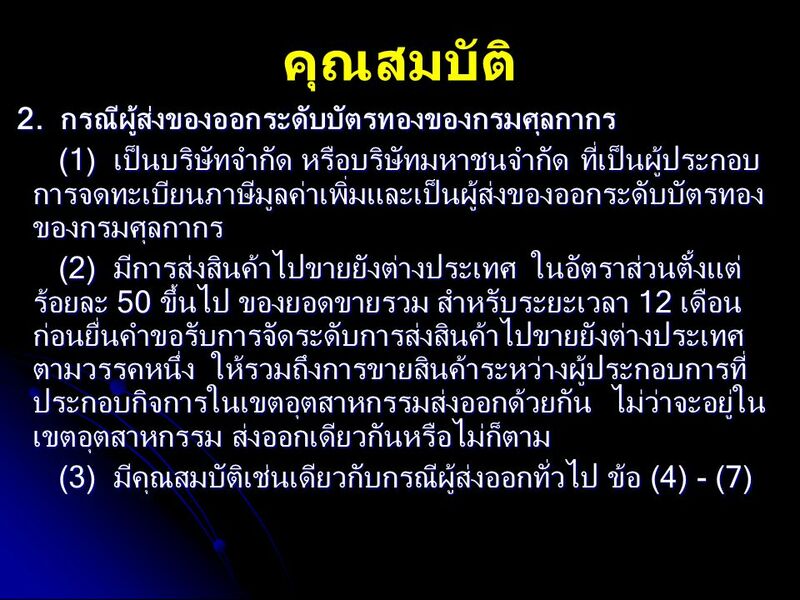 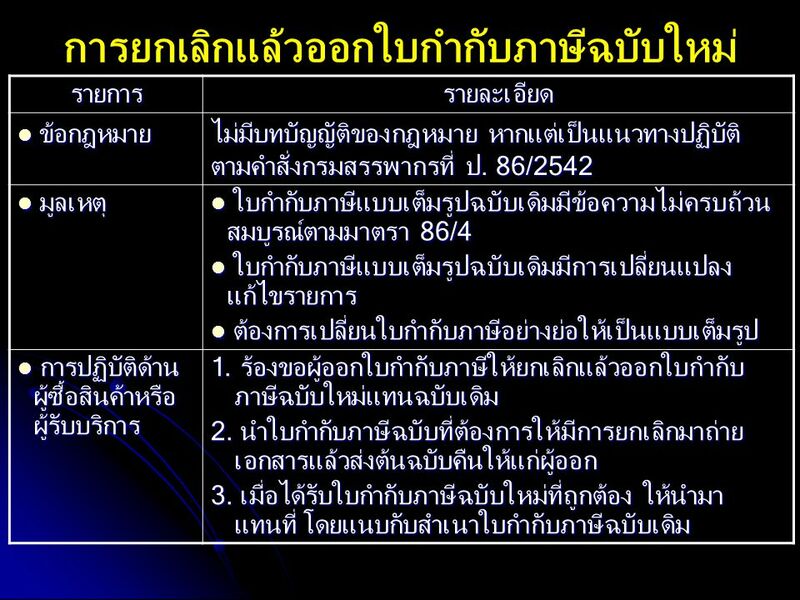 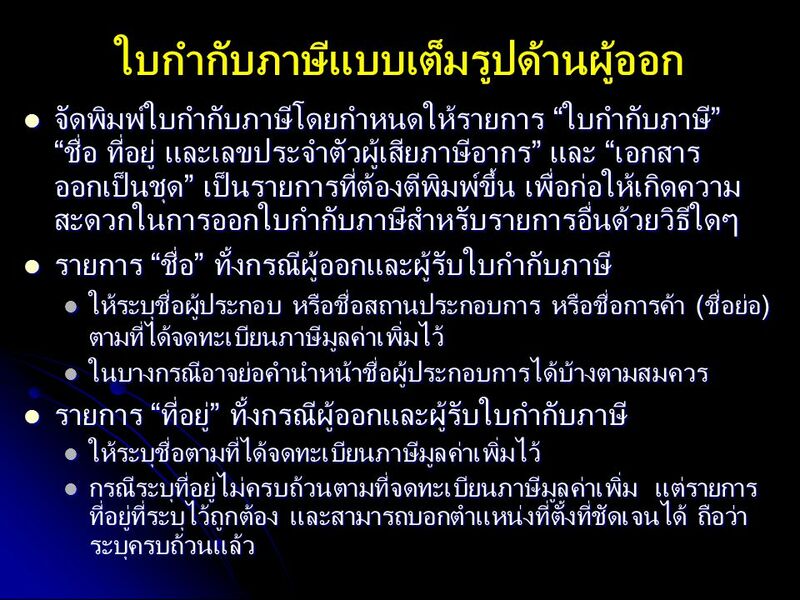 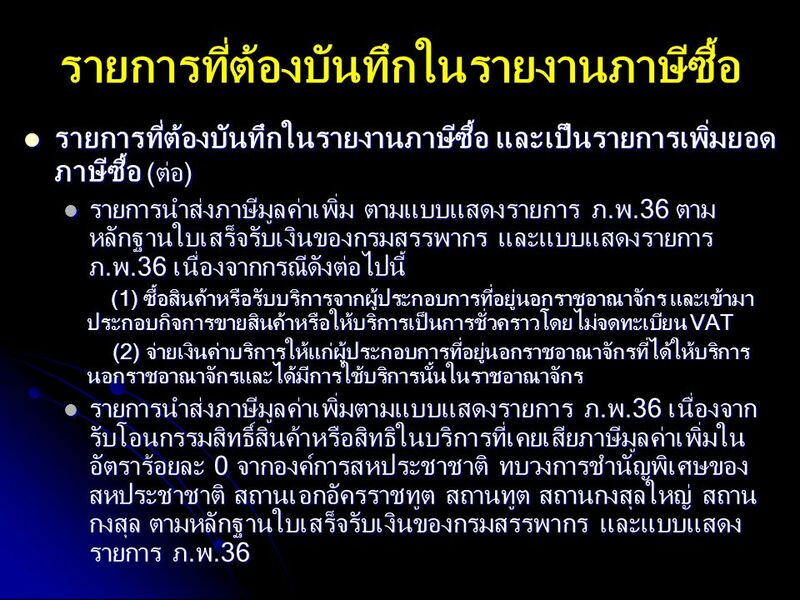 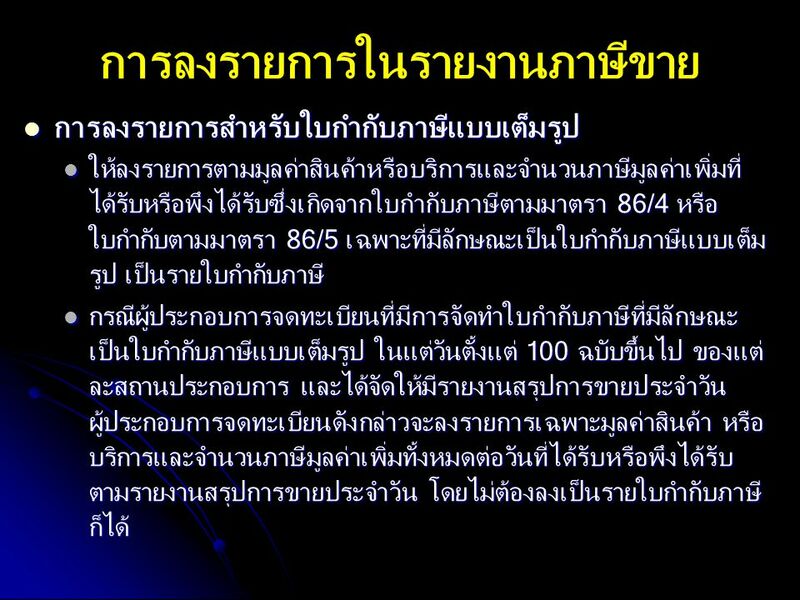 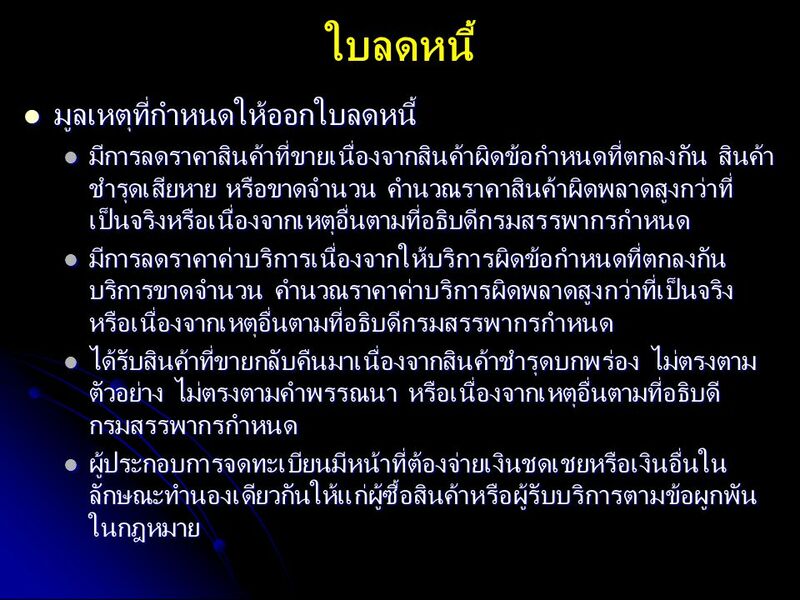 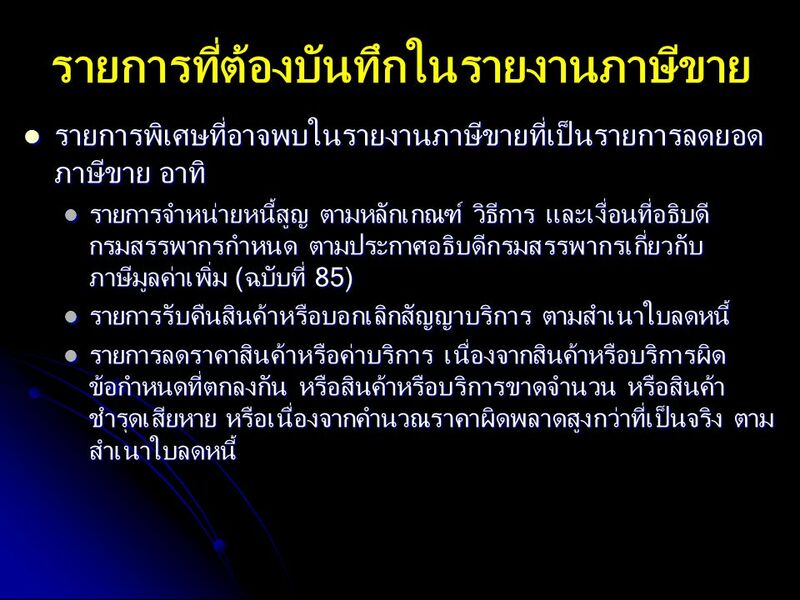 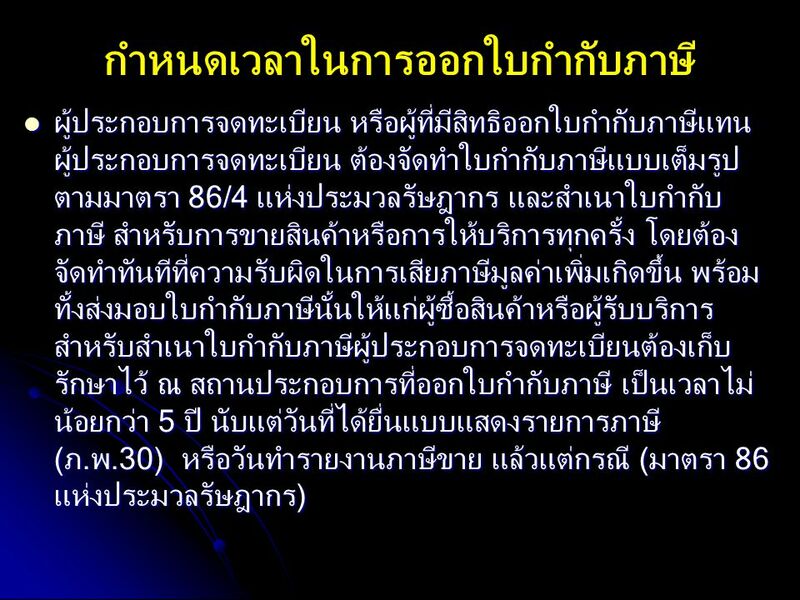 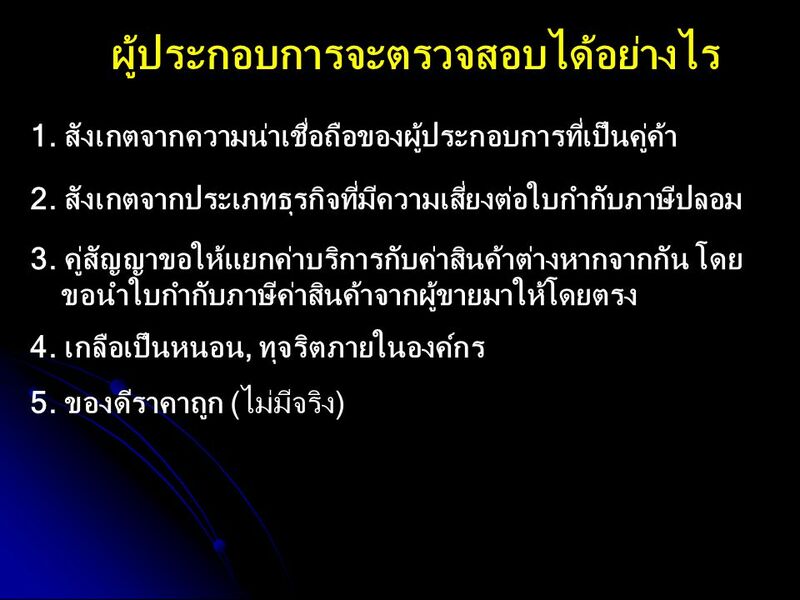 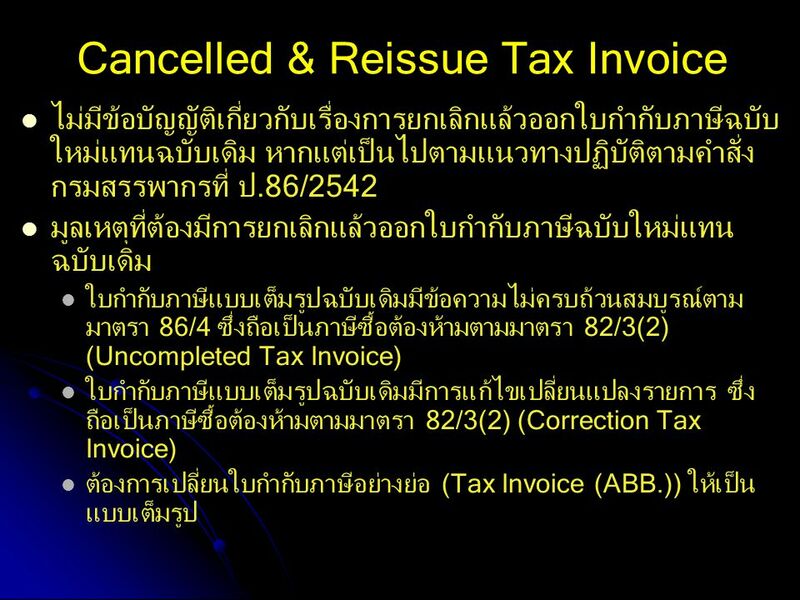 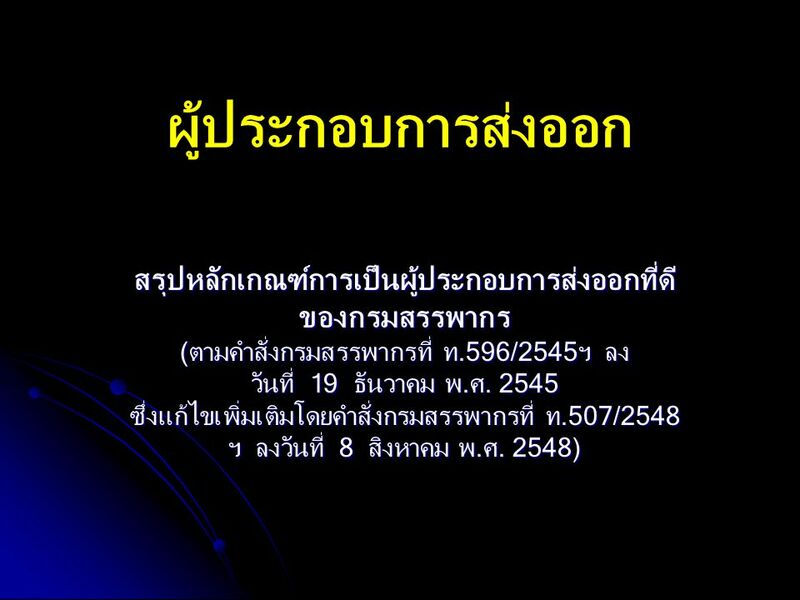 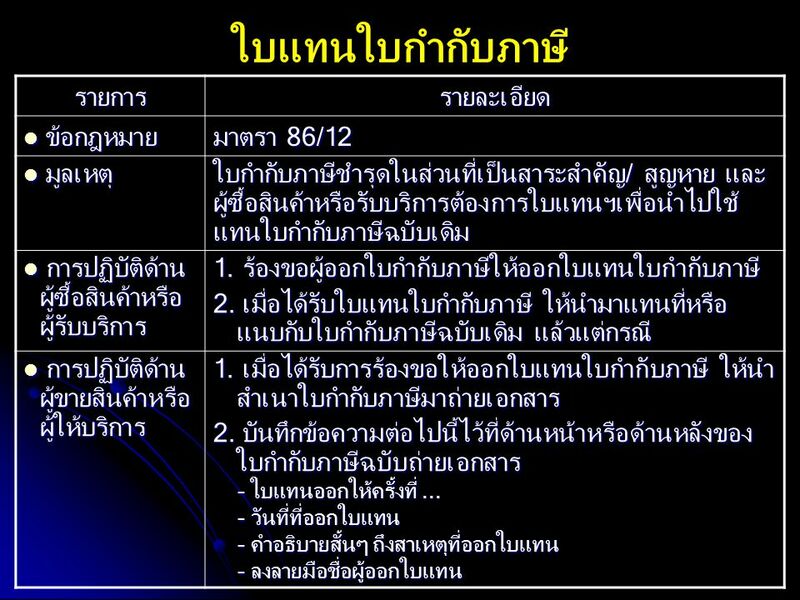 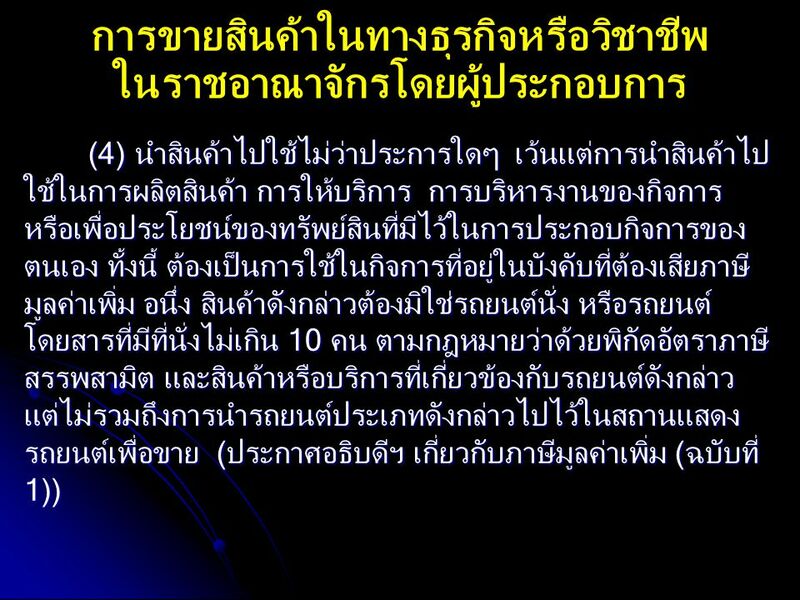 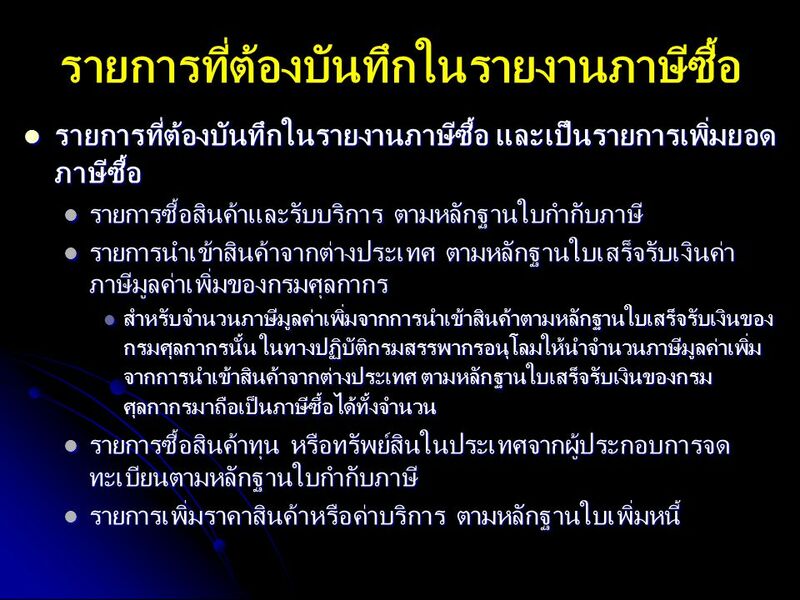 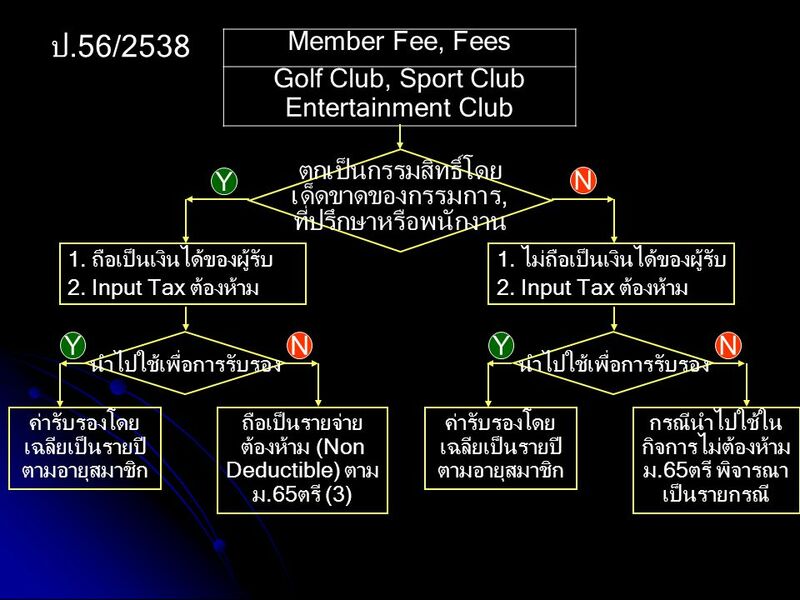 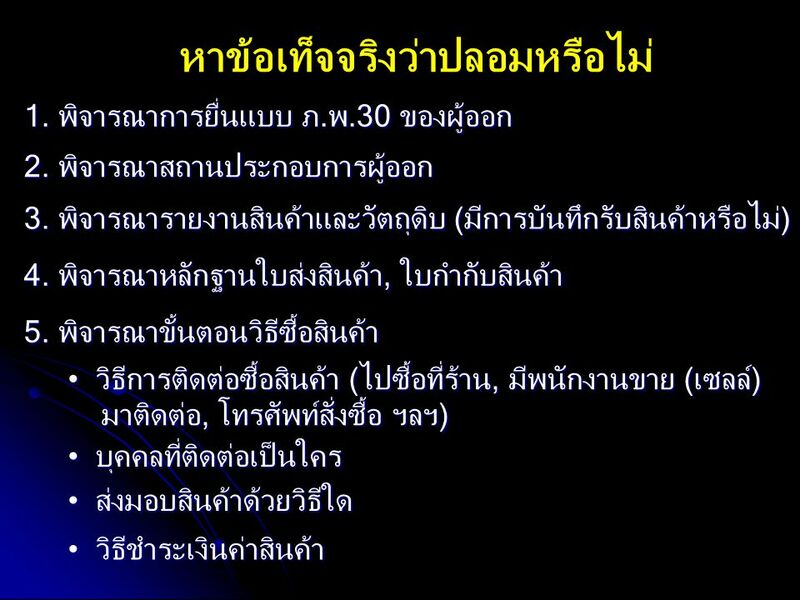 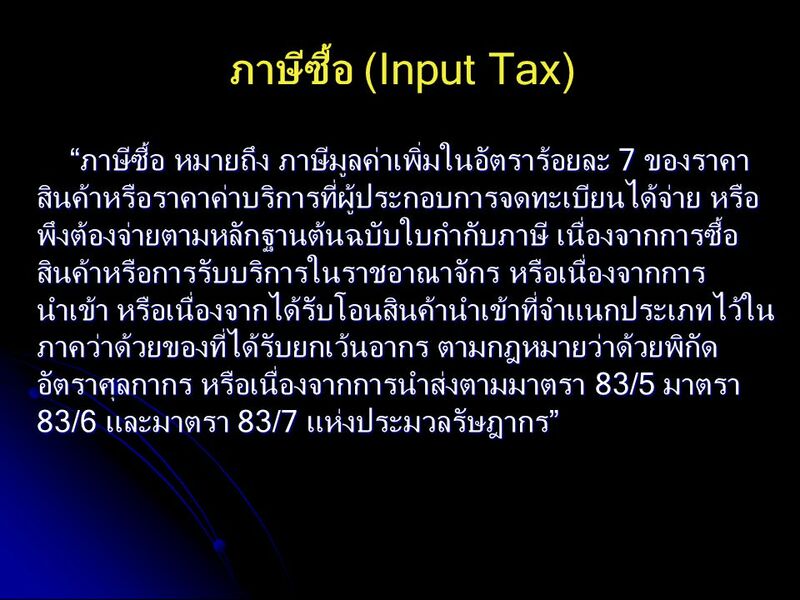 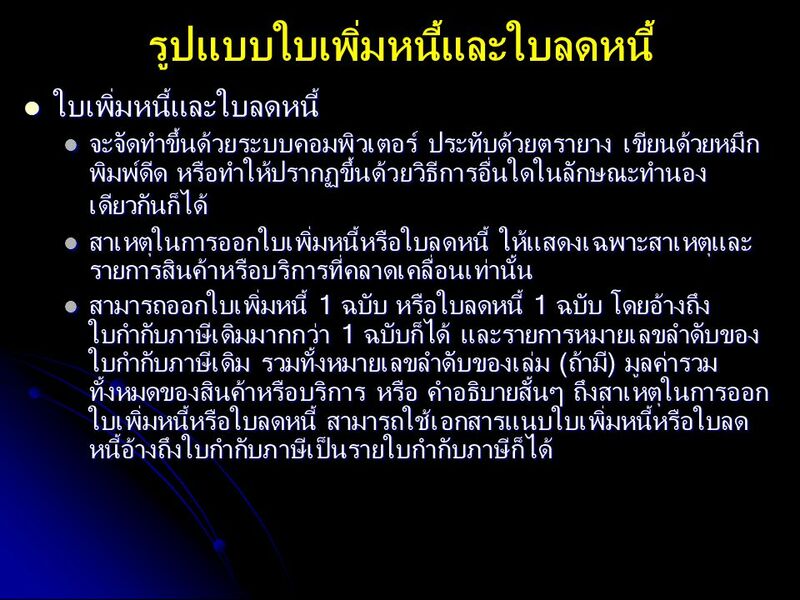 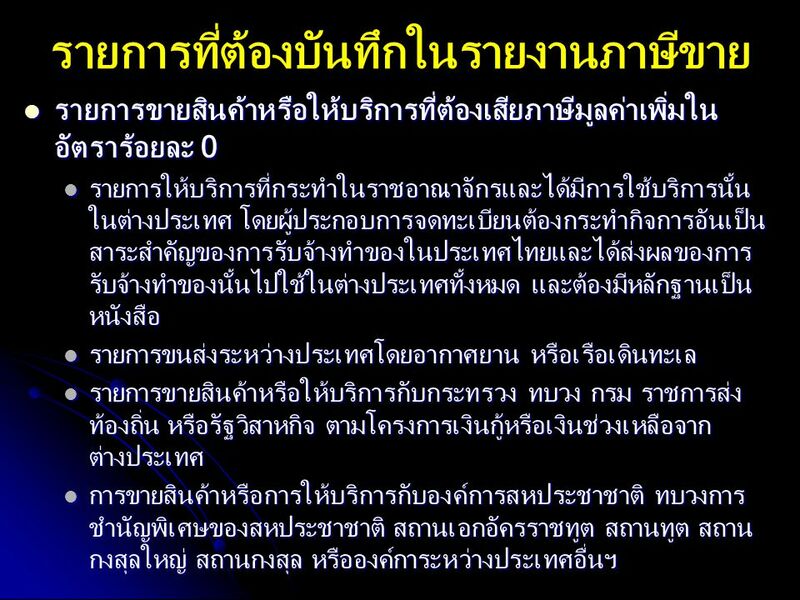 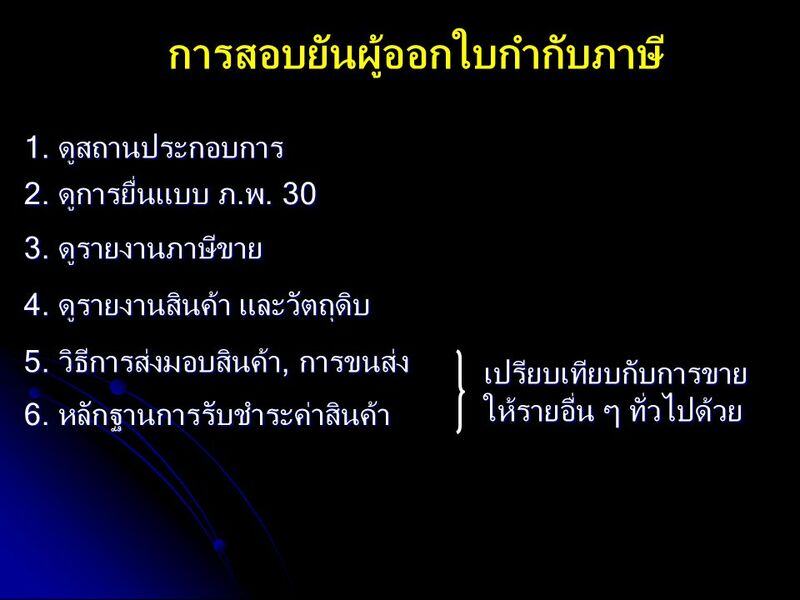 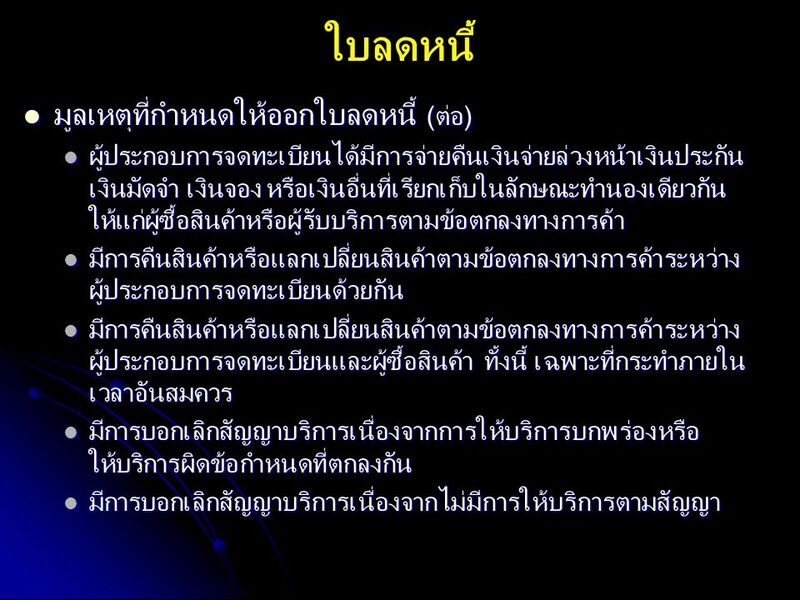 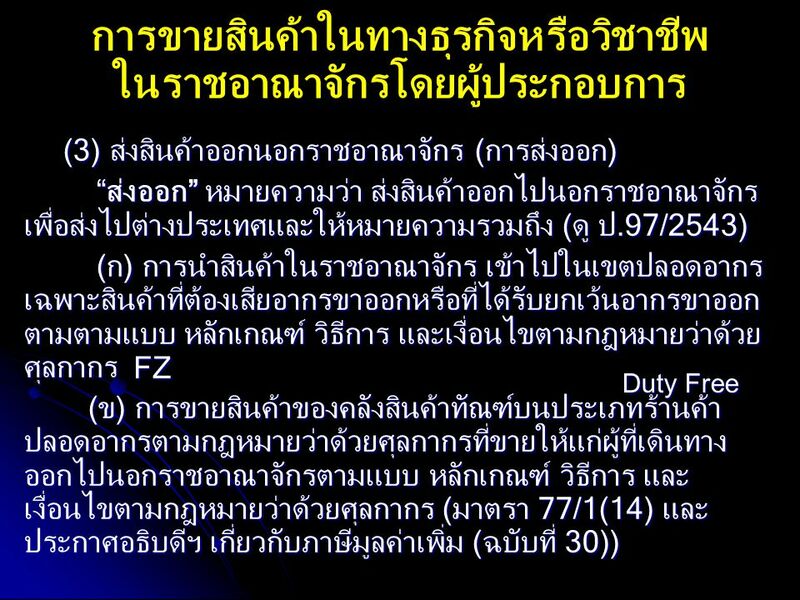 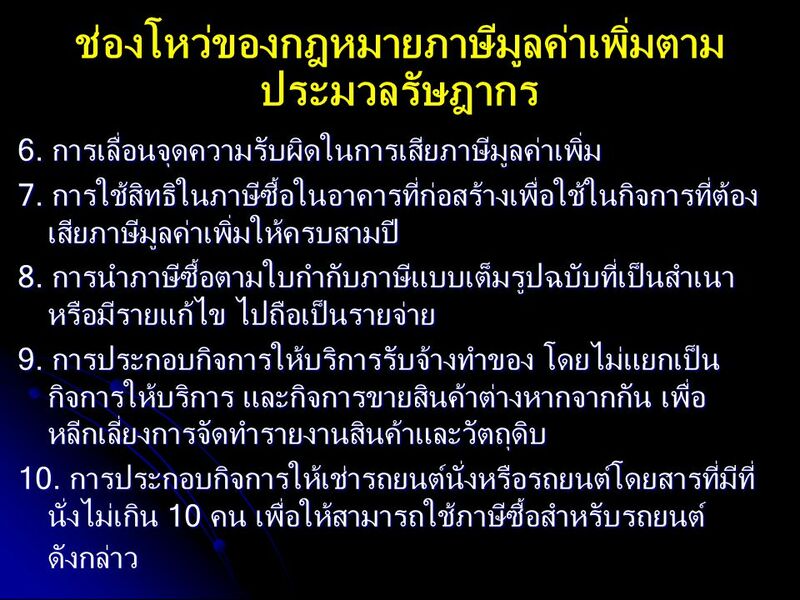 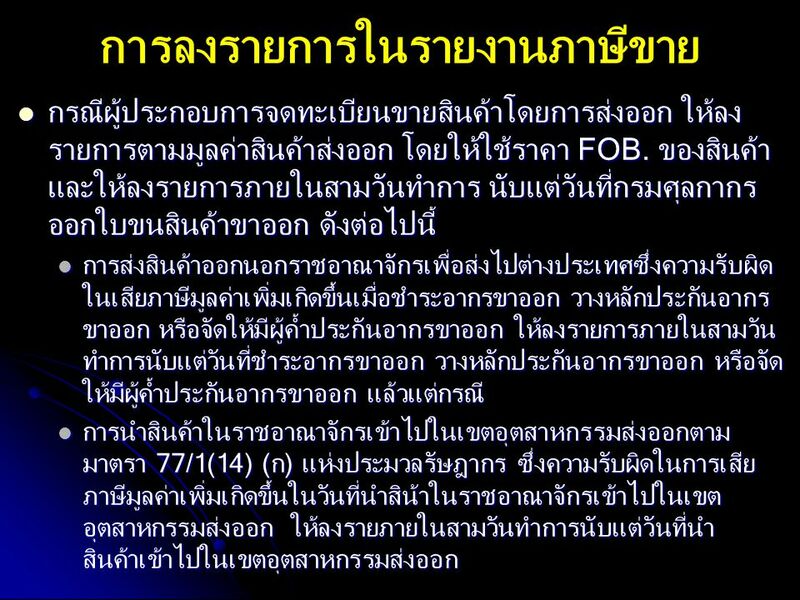 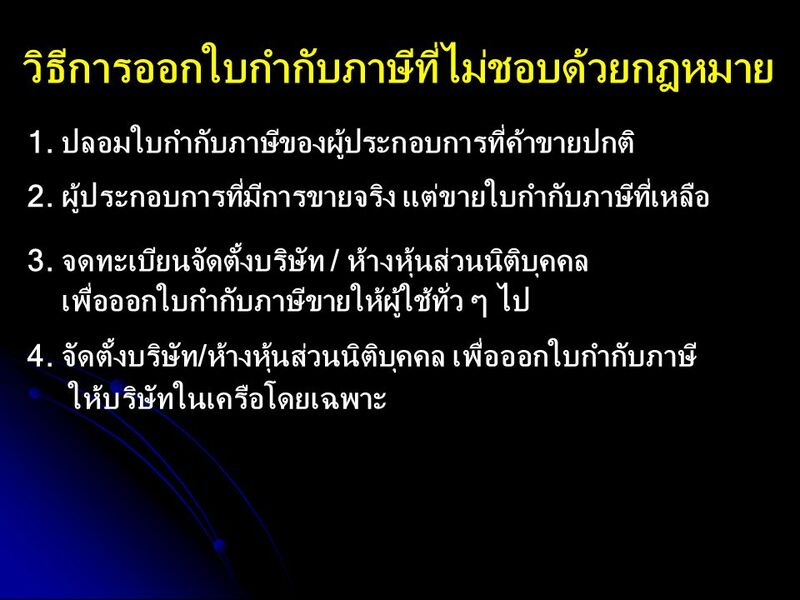 103 สรุป: Non Creditable Input Tax vs. 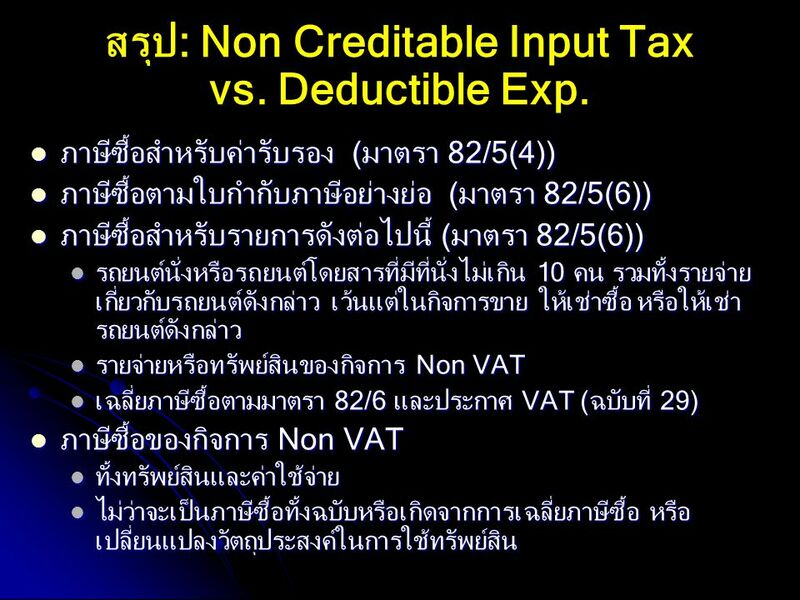 Deductible Exp.